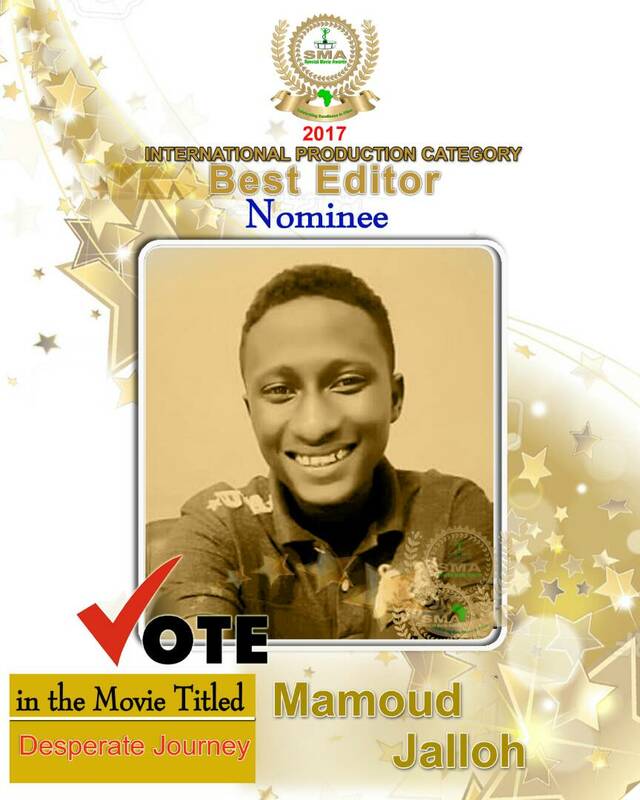 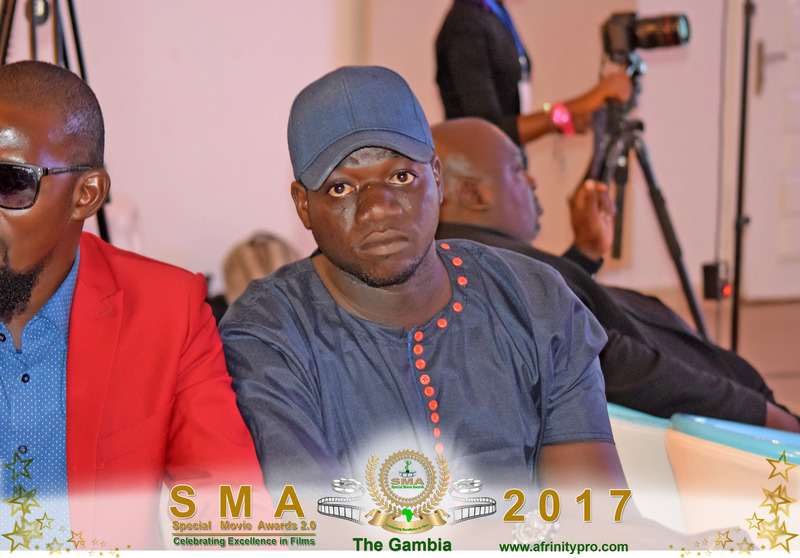 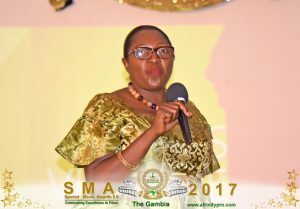 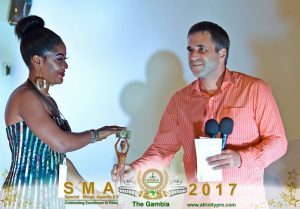 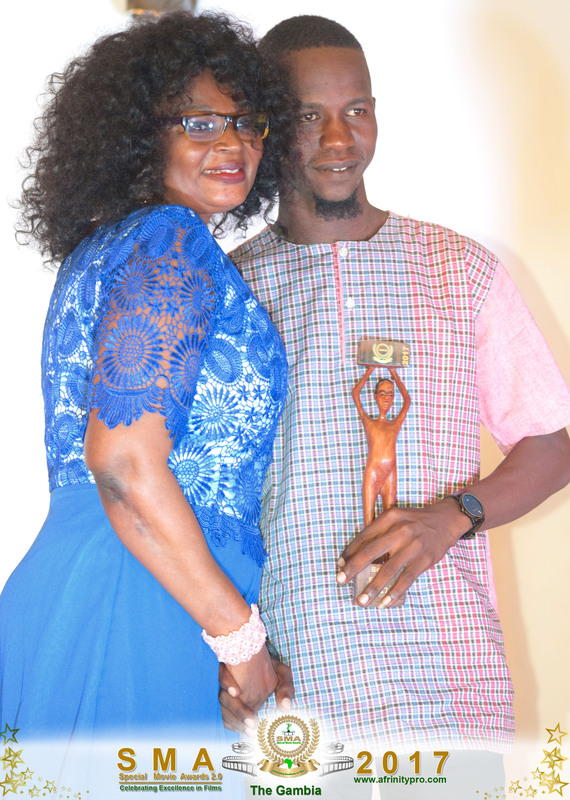 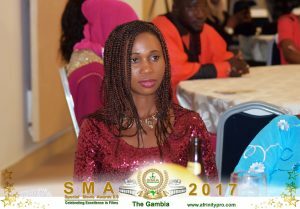 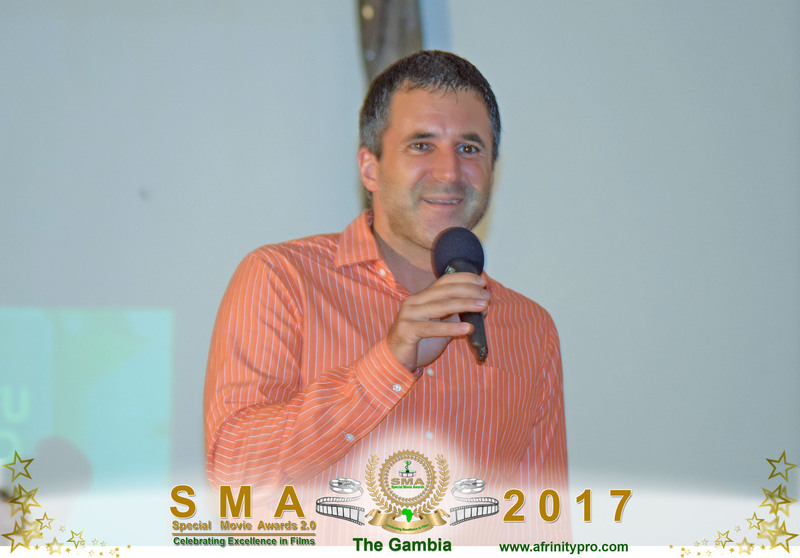 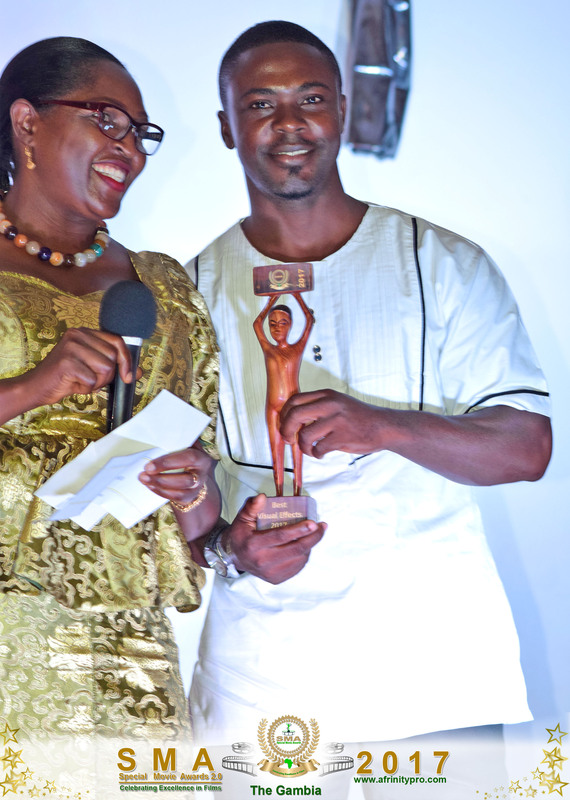 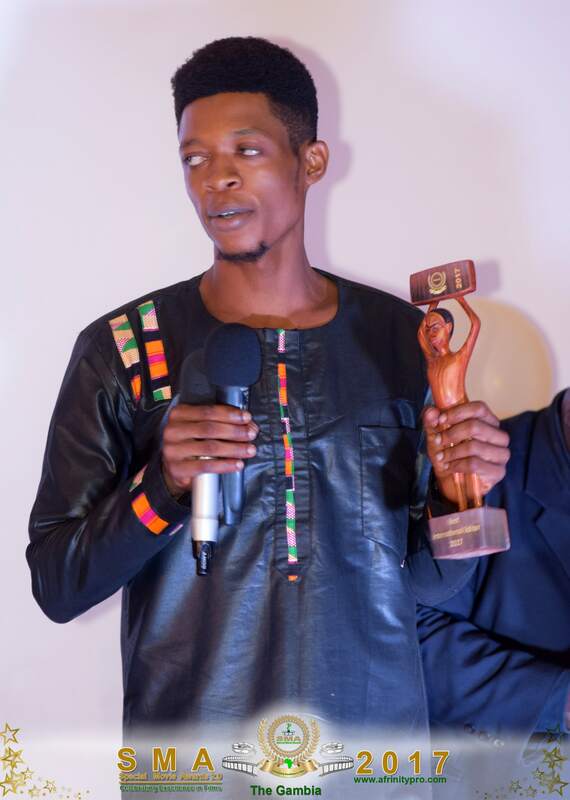 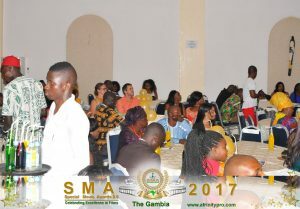 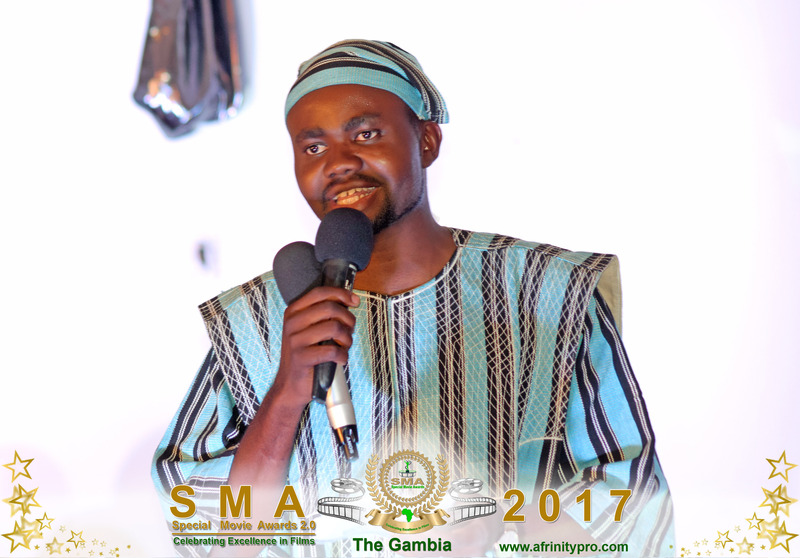 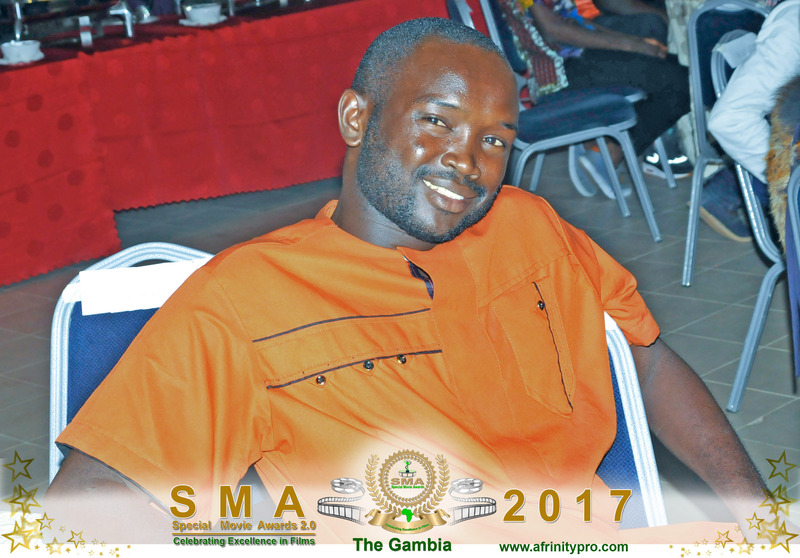 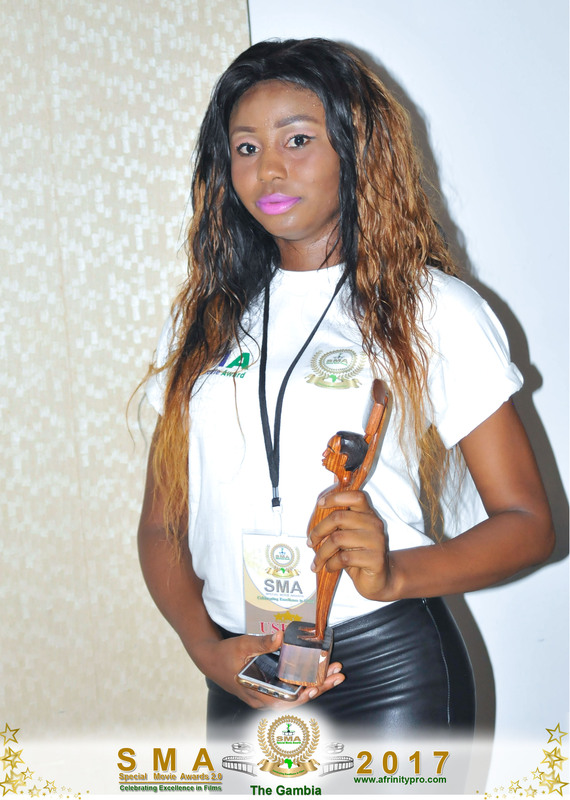 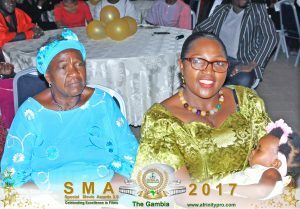 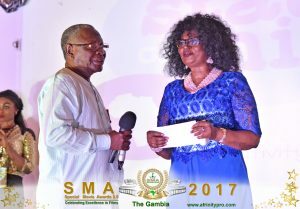 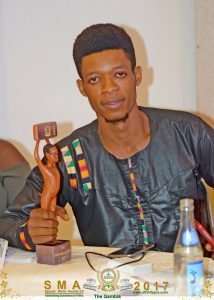 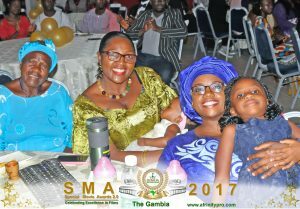 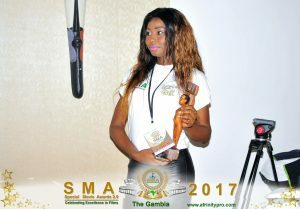 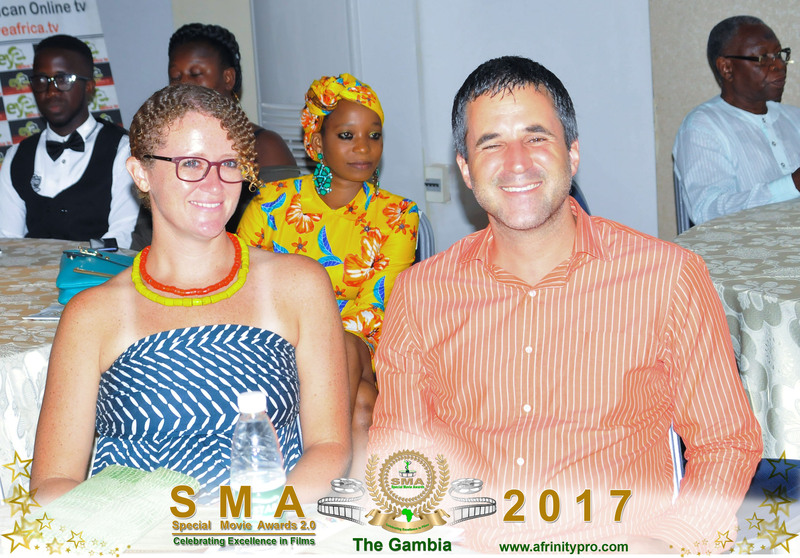 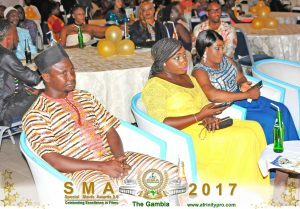 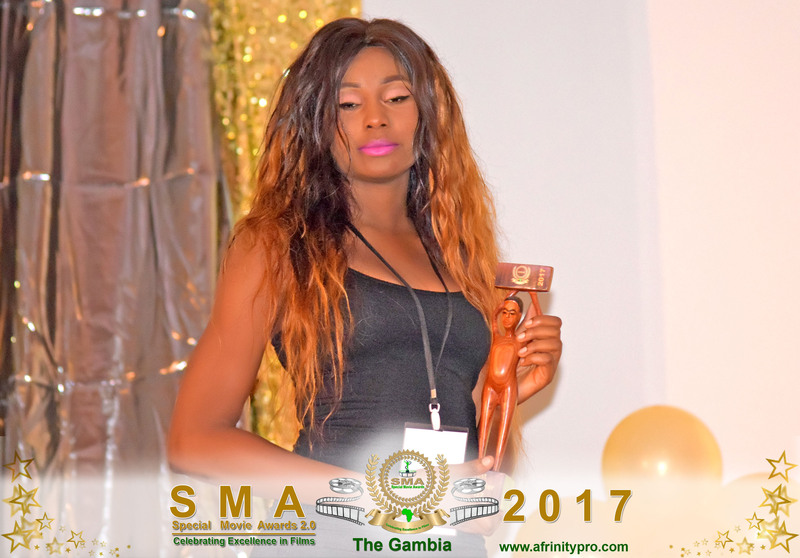 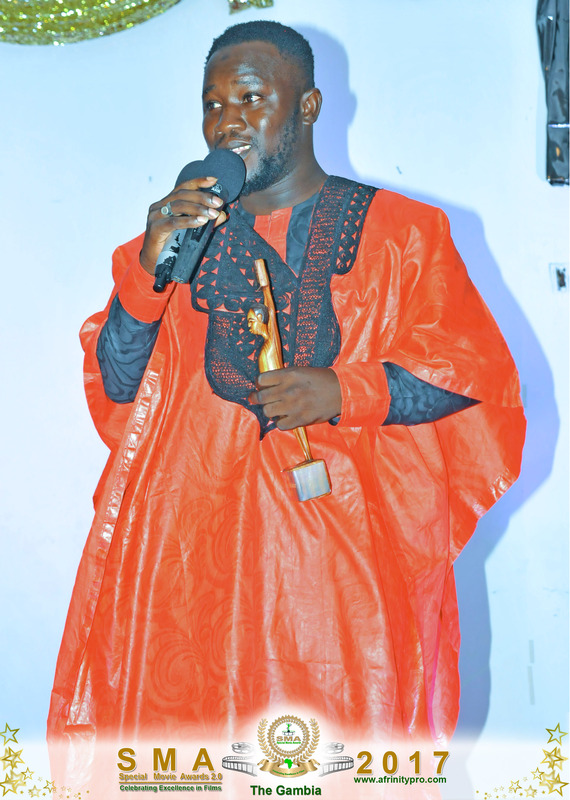 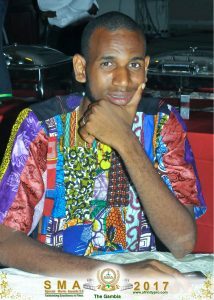 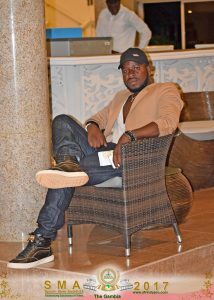 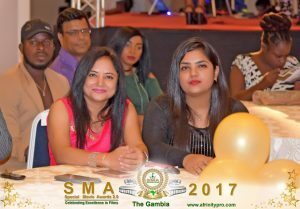 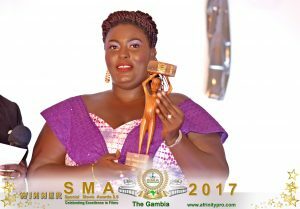 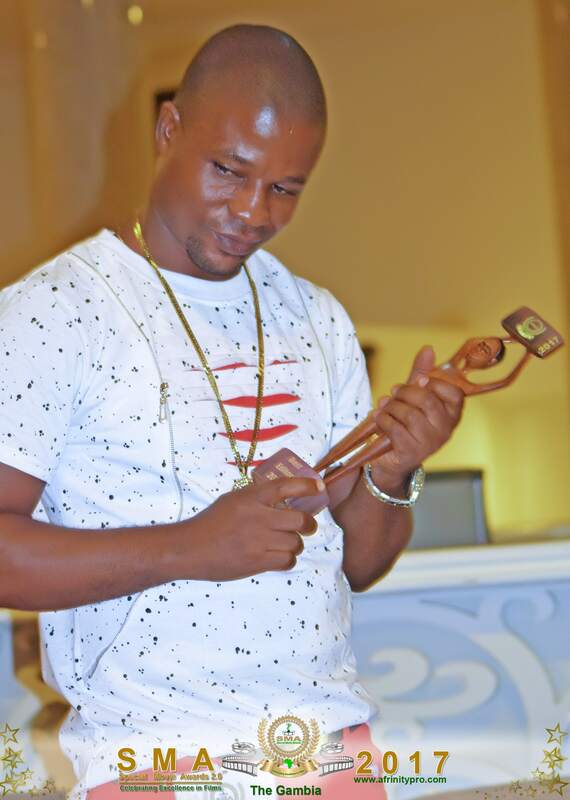 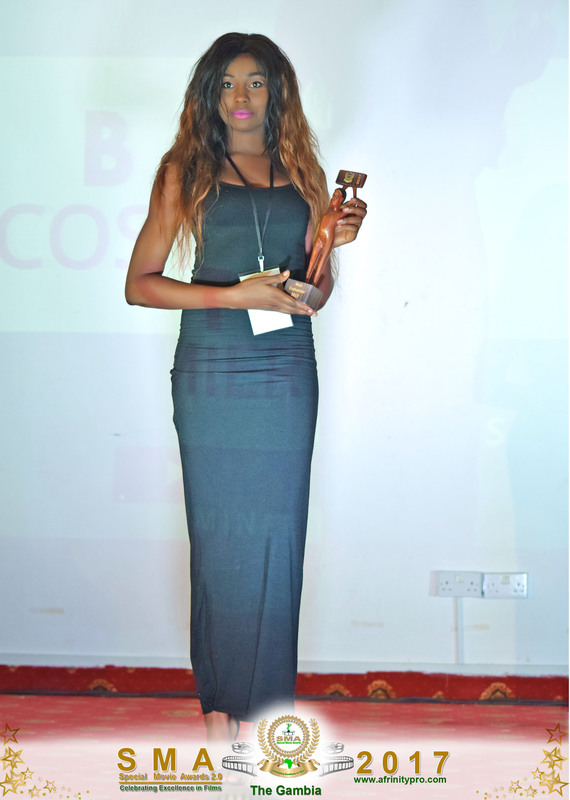 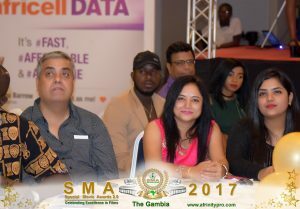 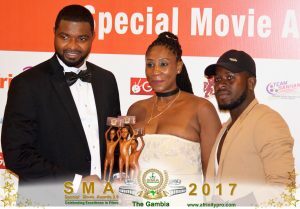 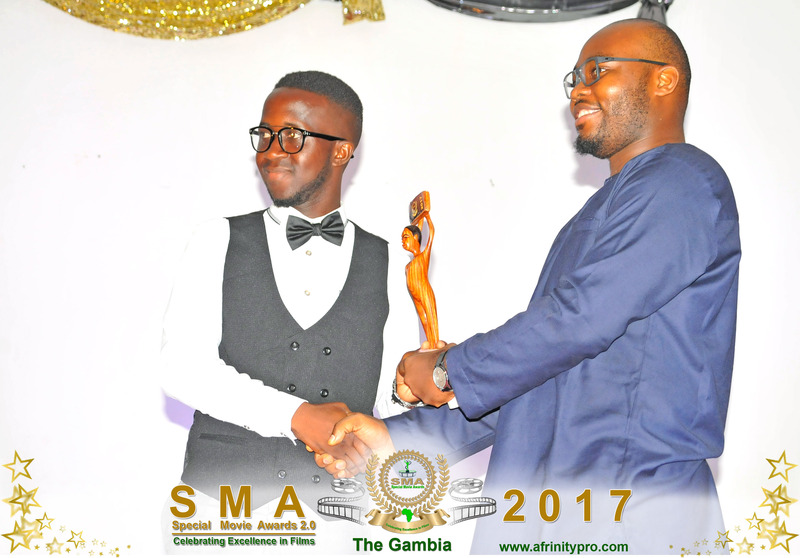 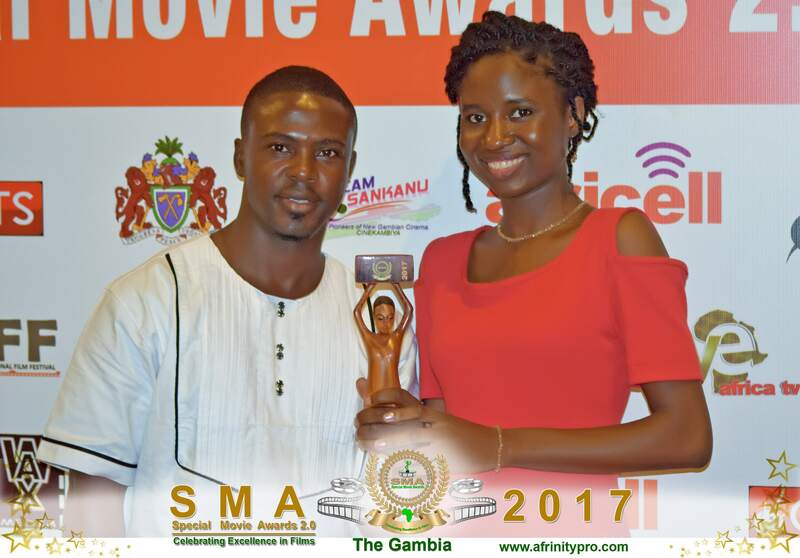 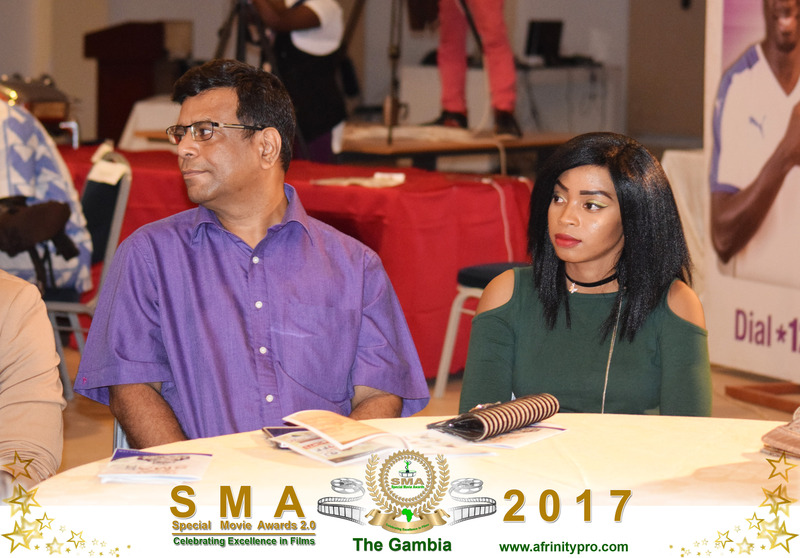 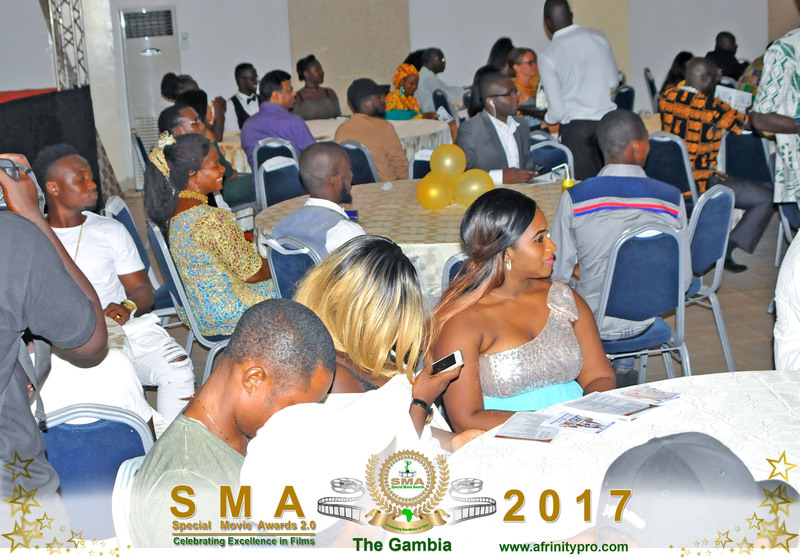 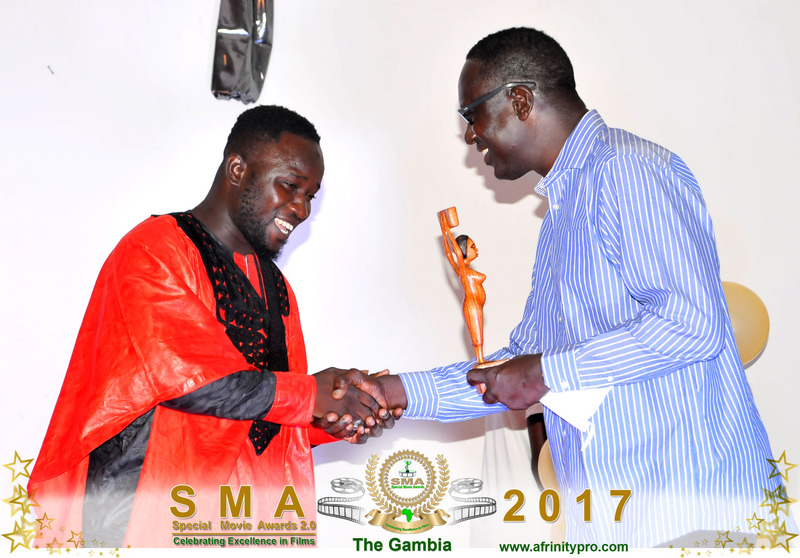 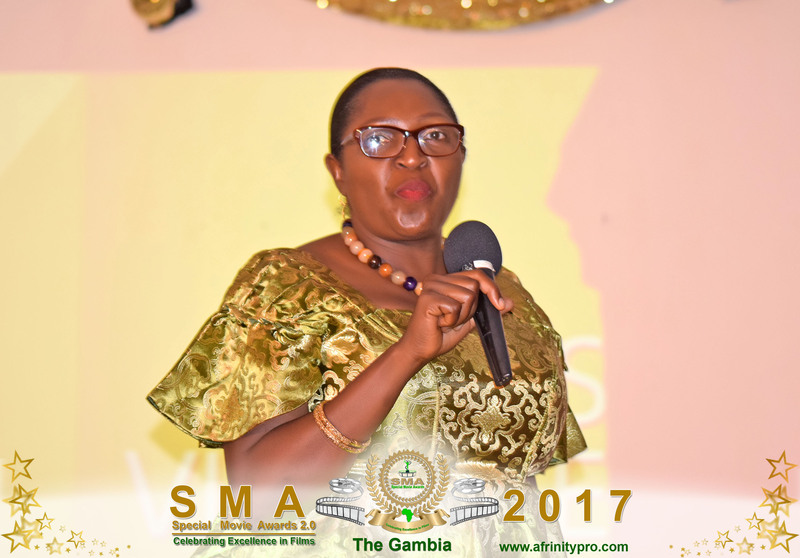 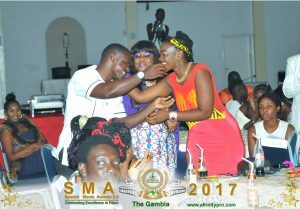 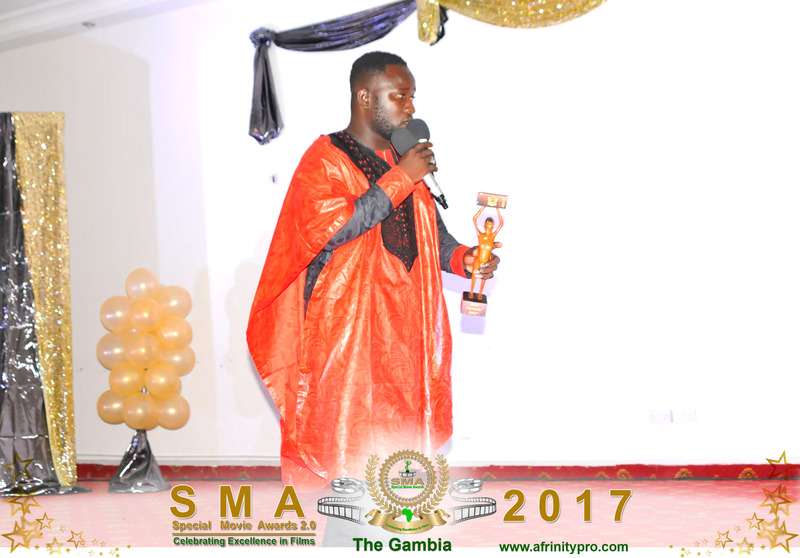 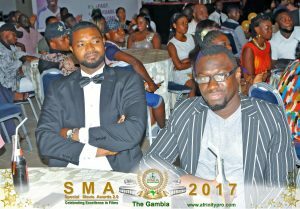 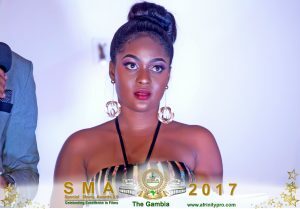 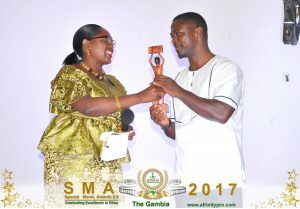 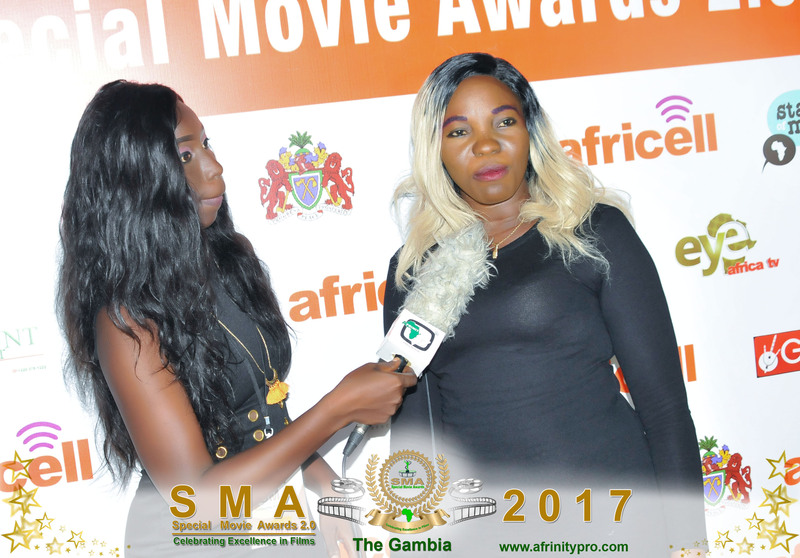 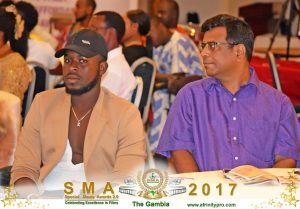 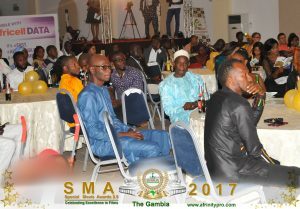 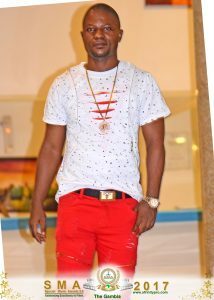 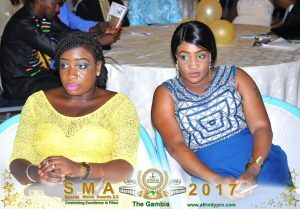 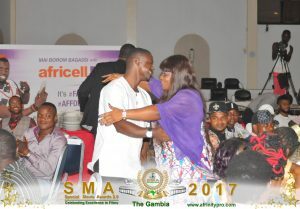 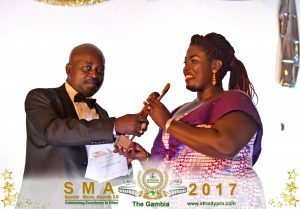 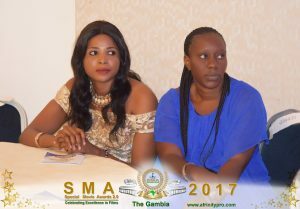 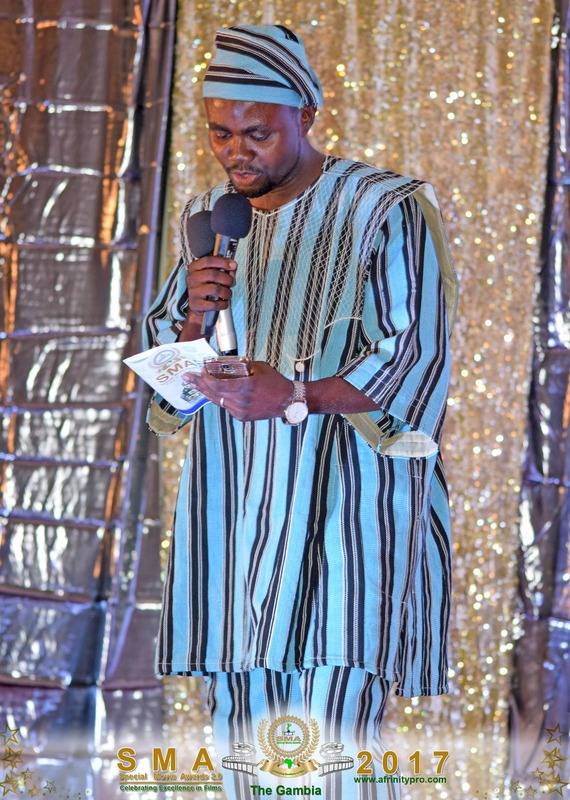 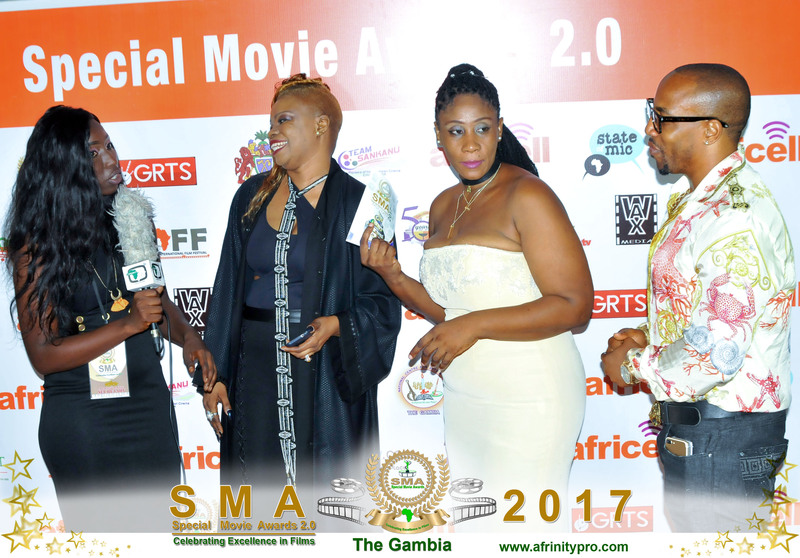 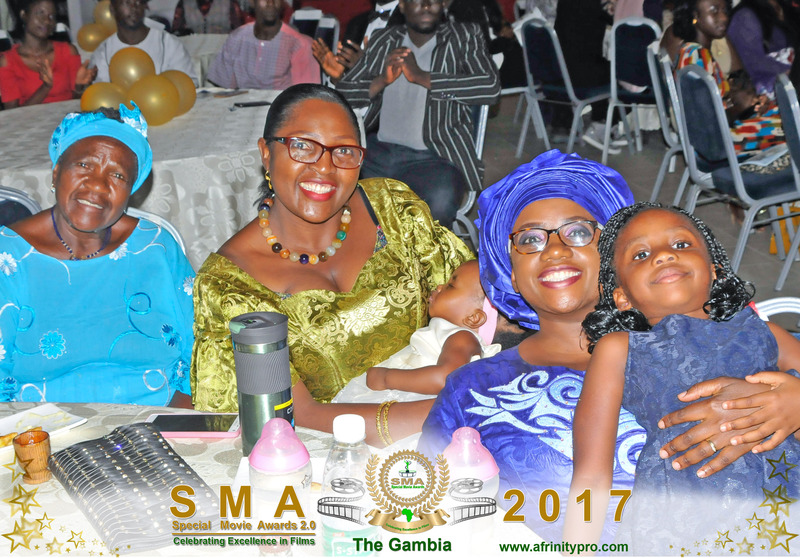 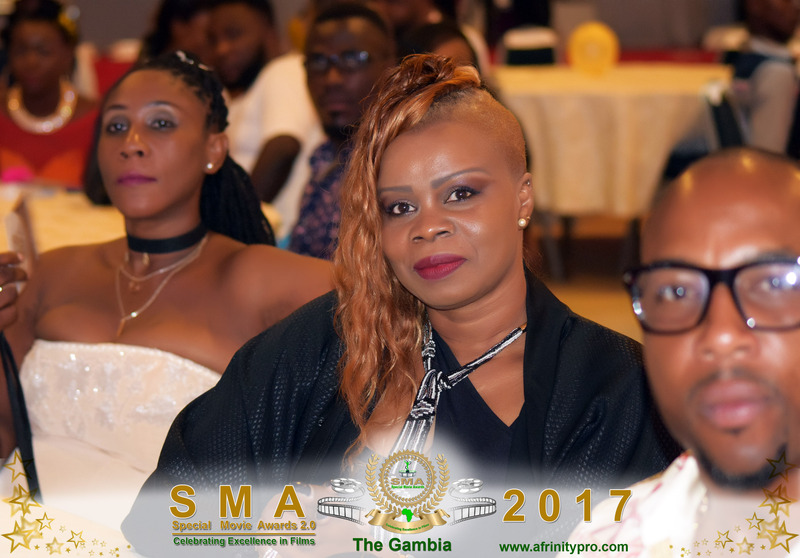 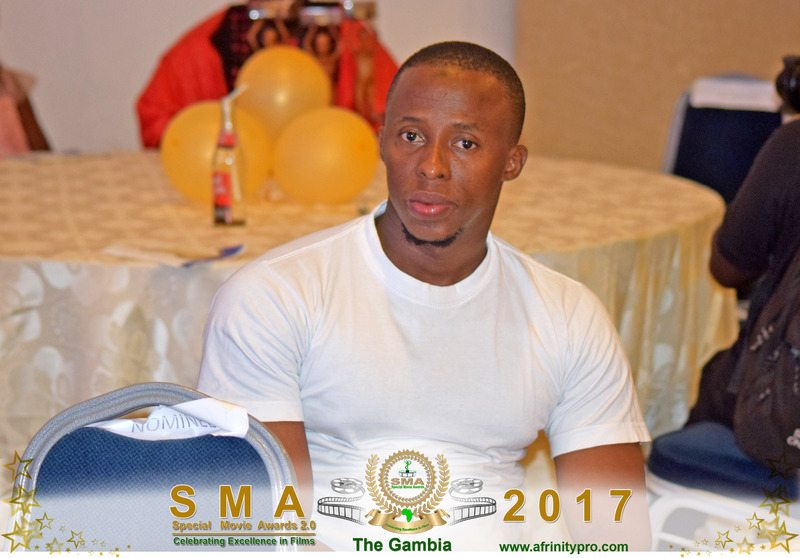 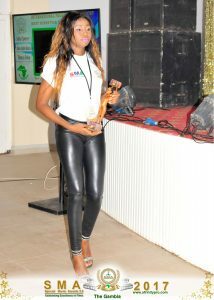 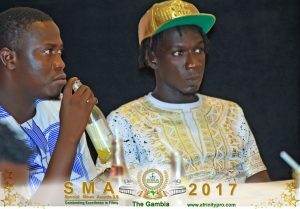 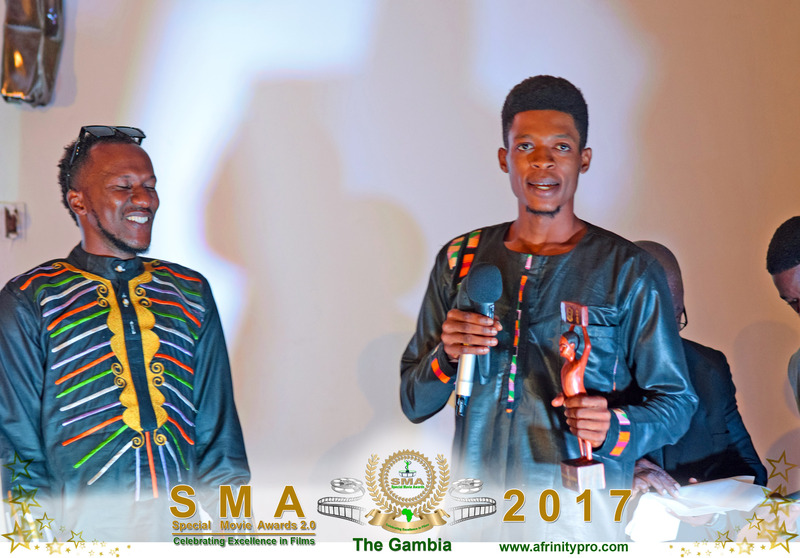 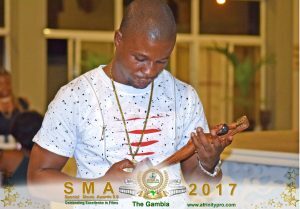 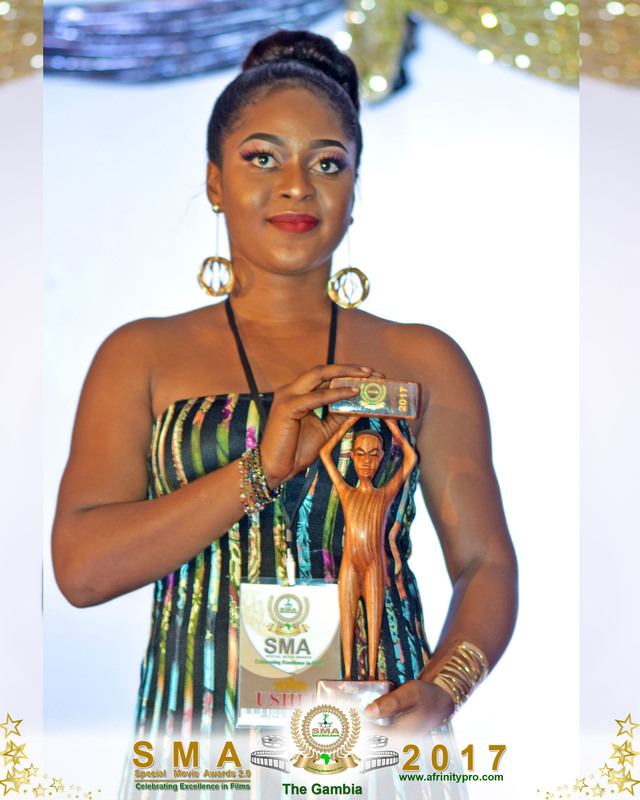 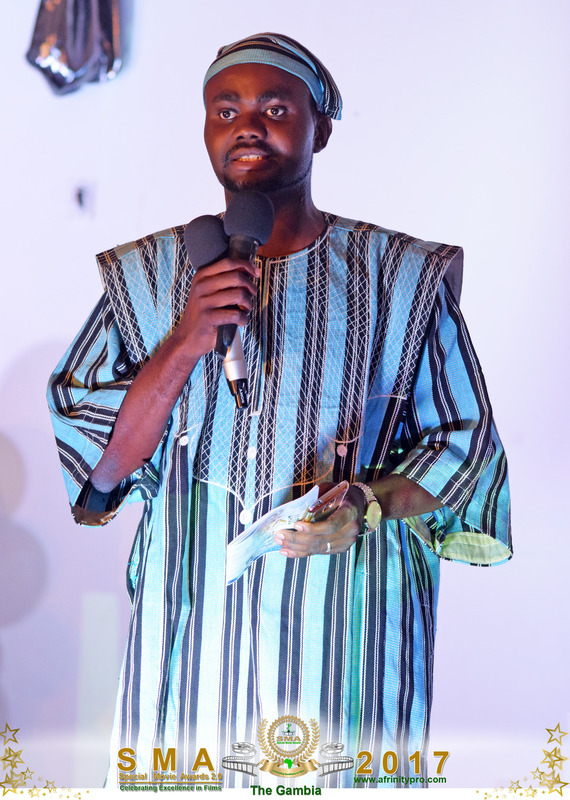 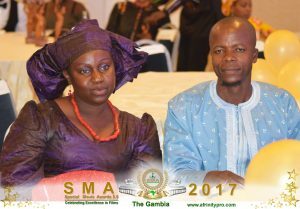 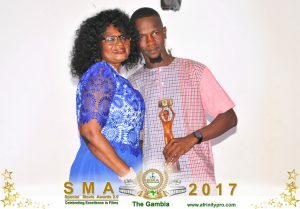 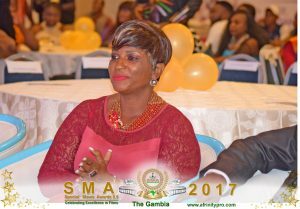 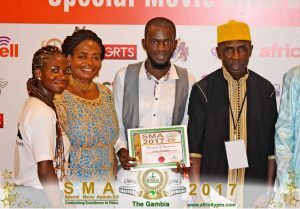 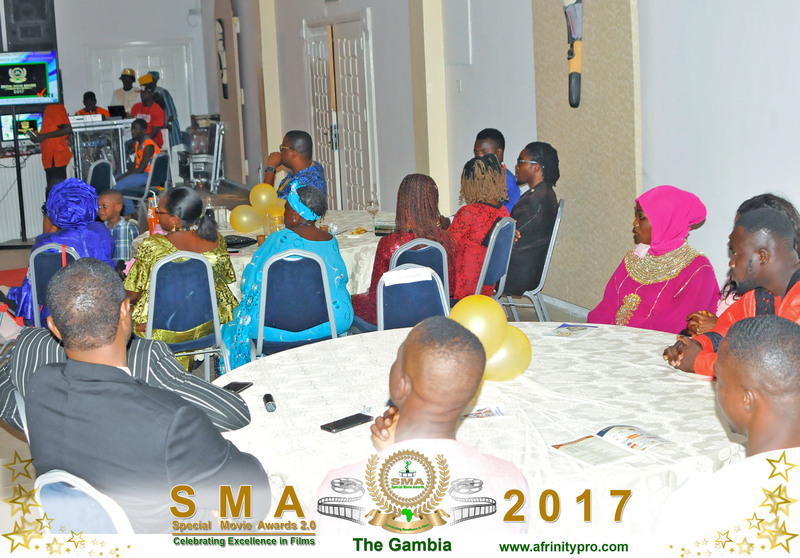 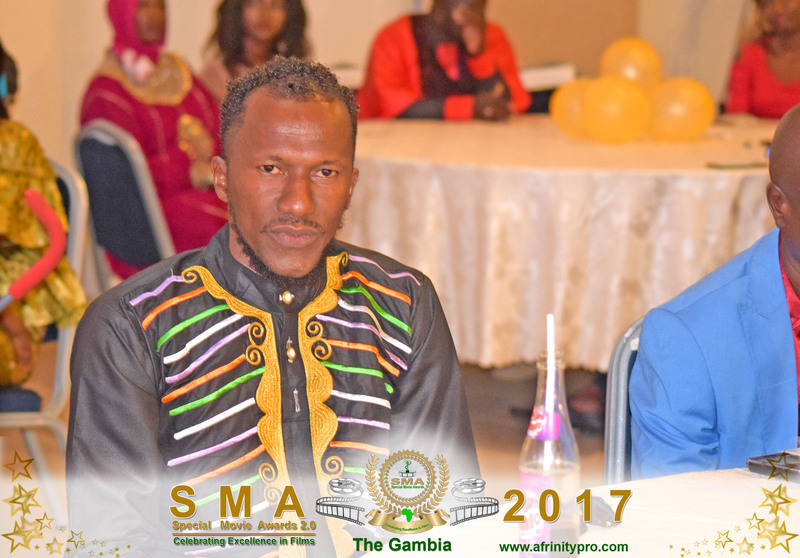 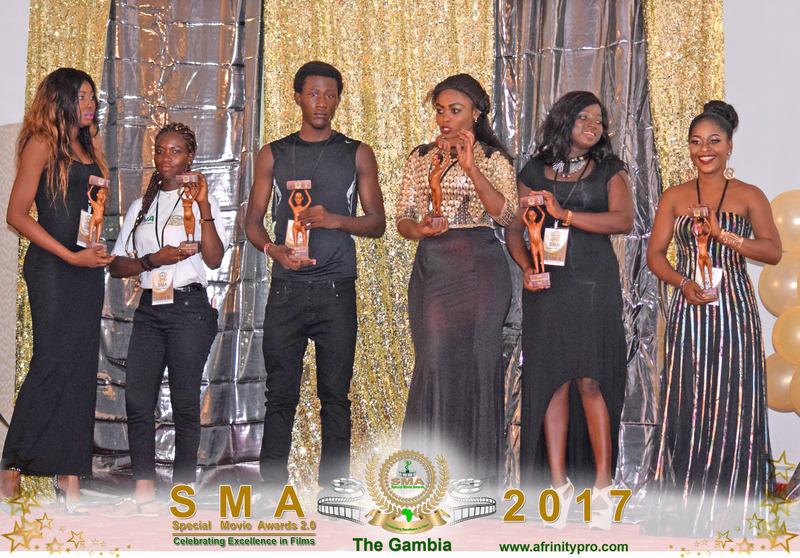 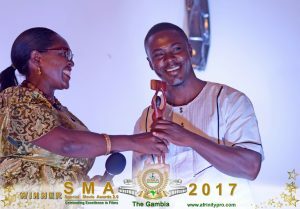 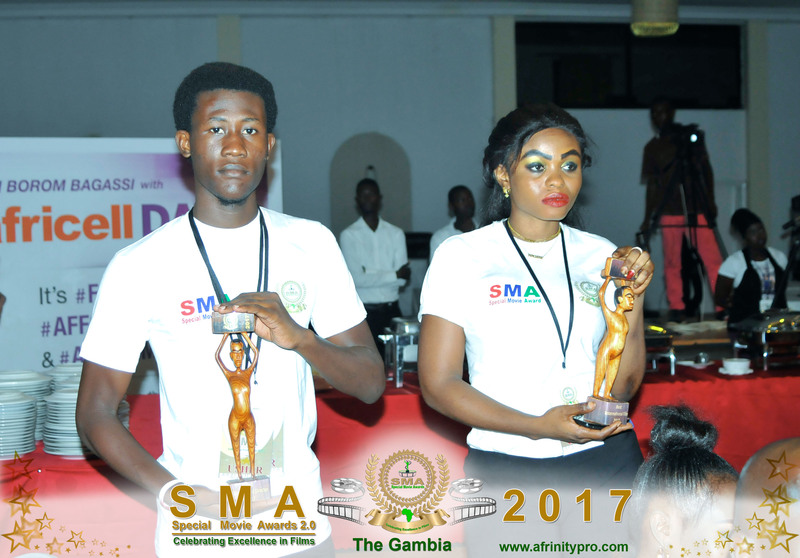 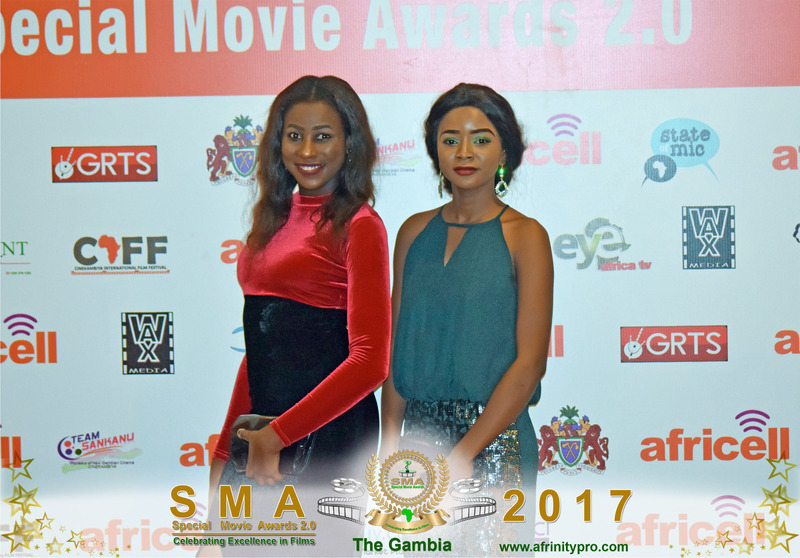 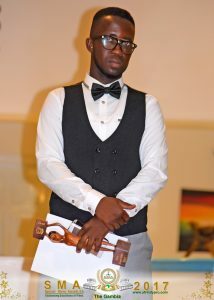 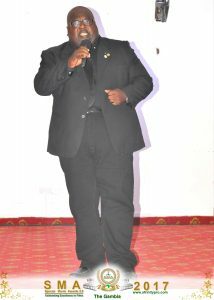 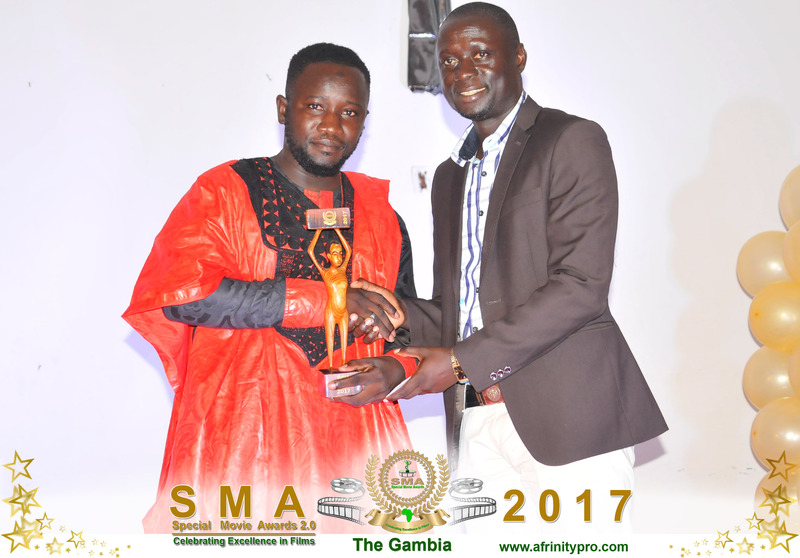 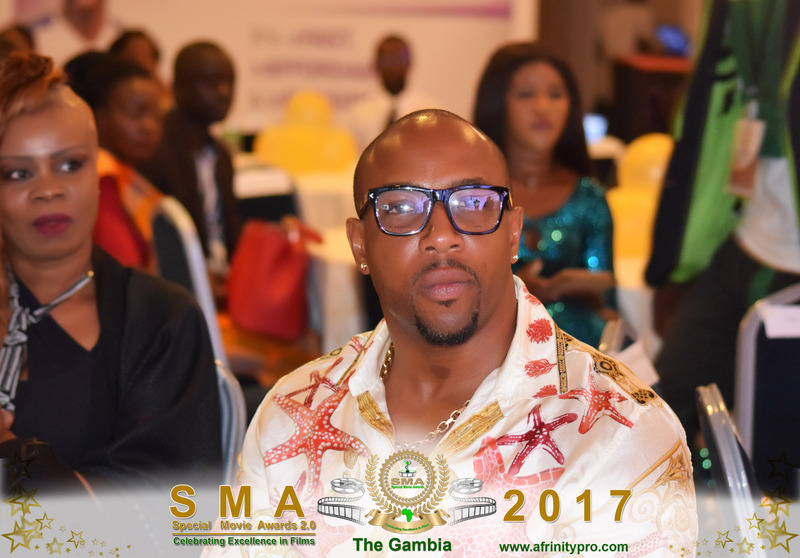 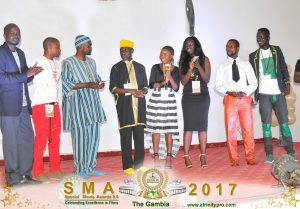 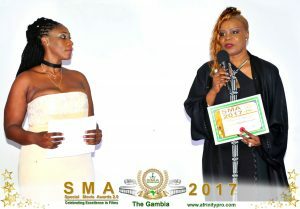 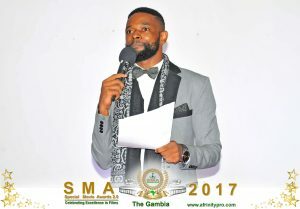 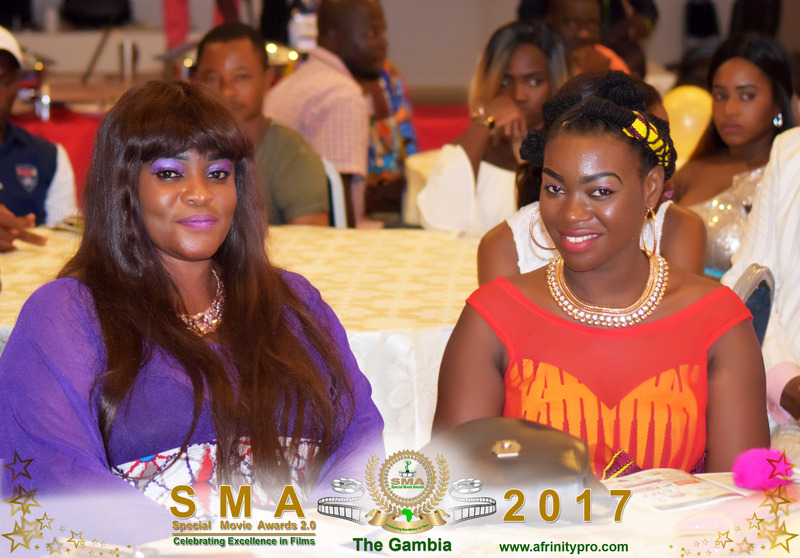 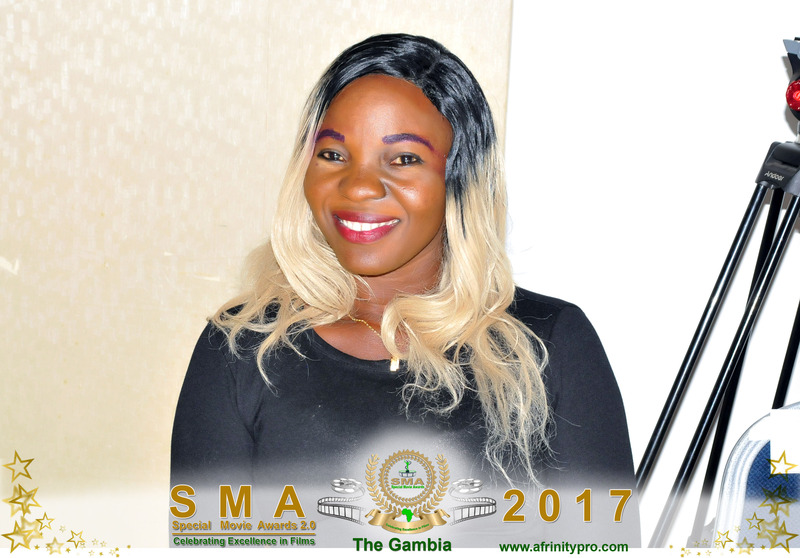 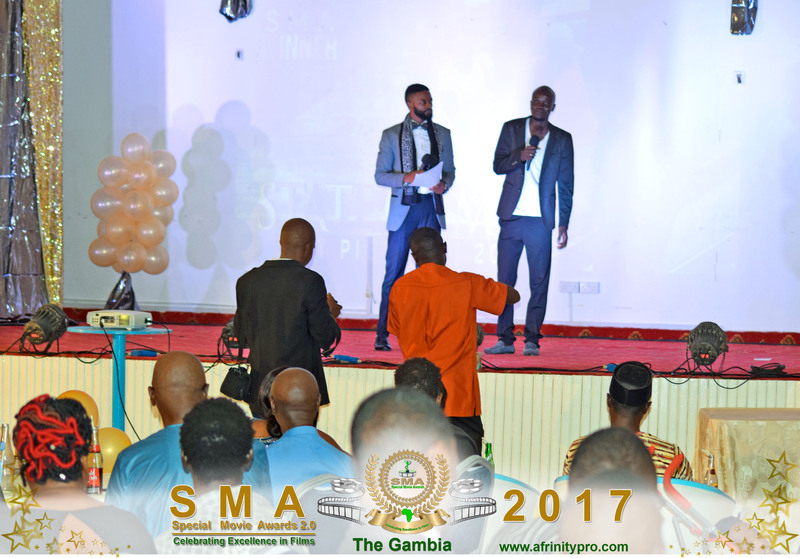 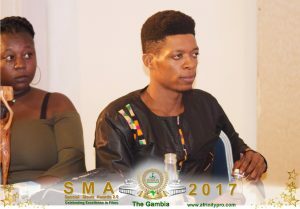 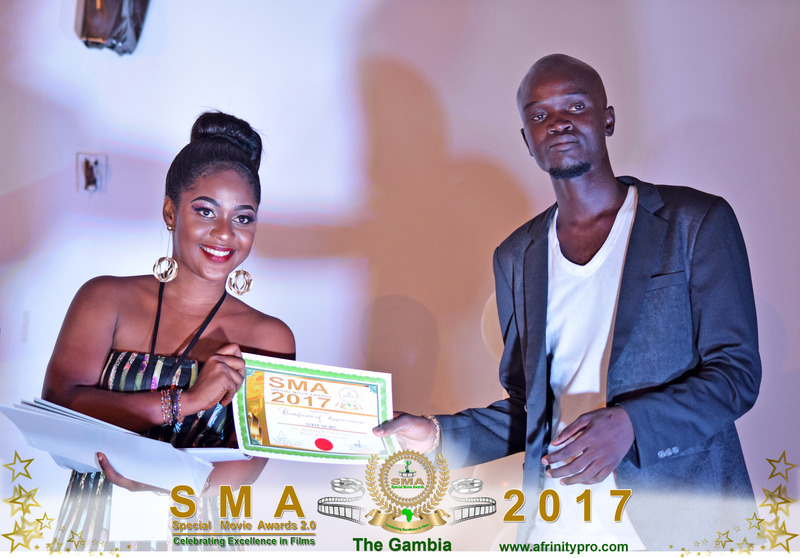 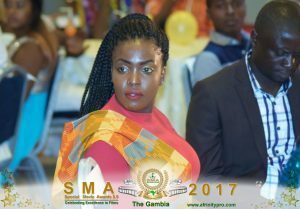 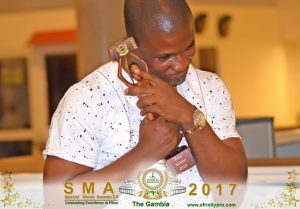 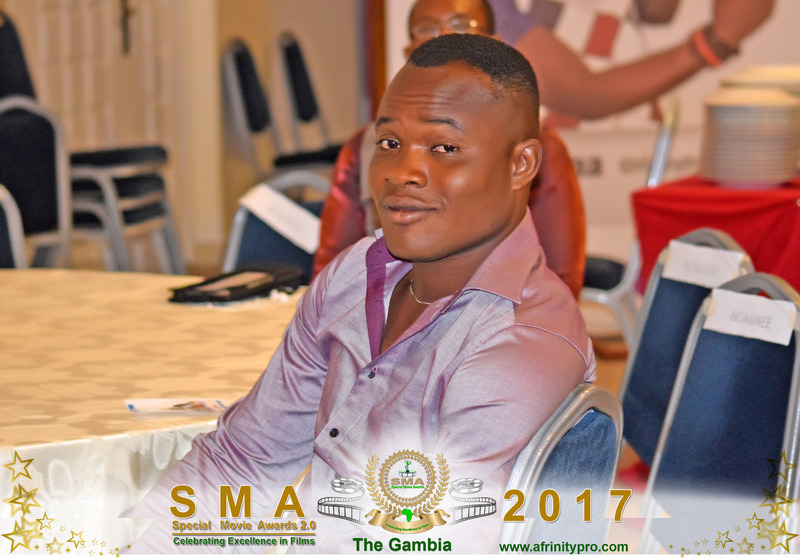 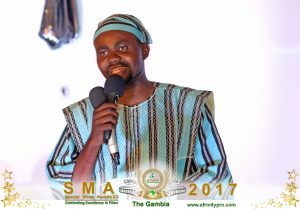 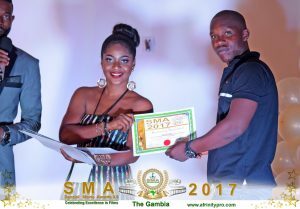 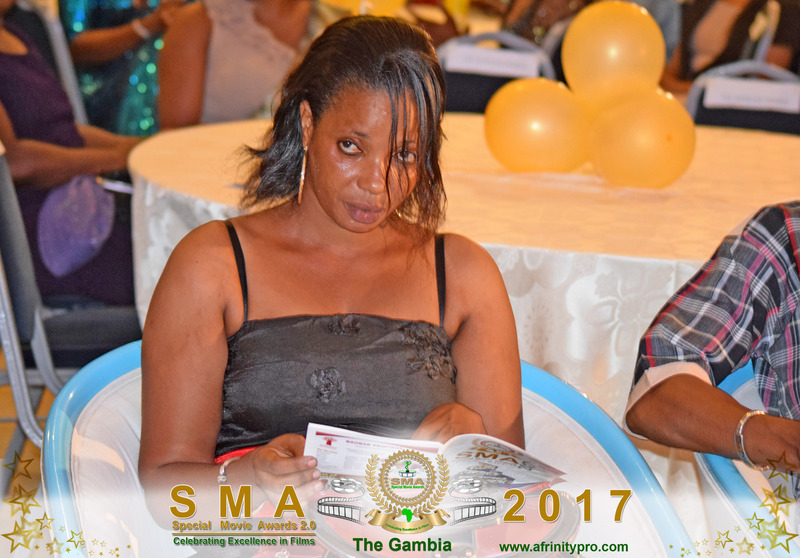 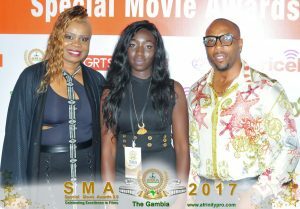 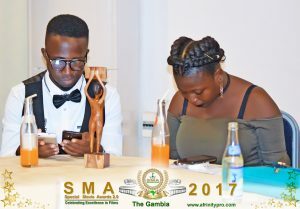 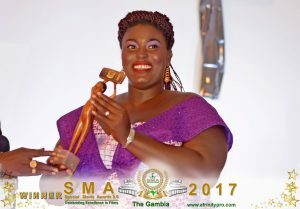 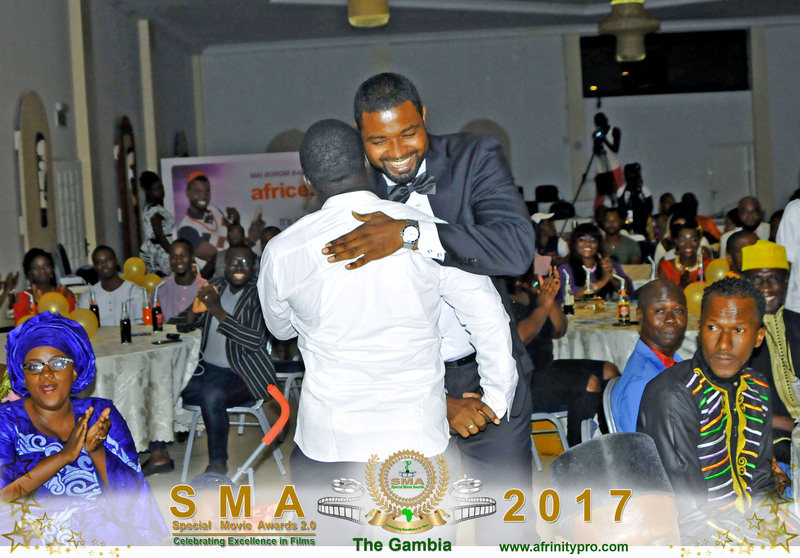 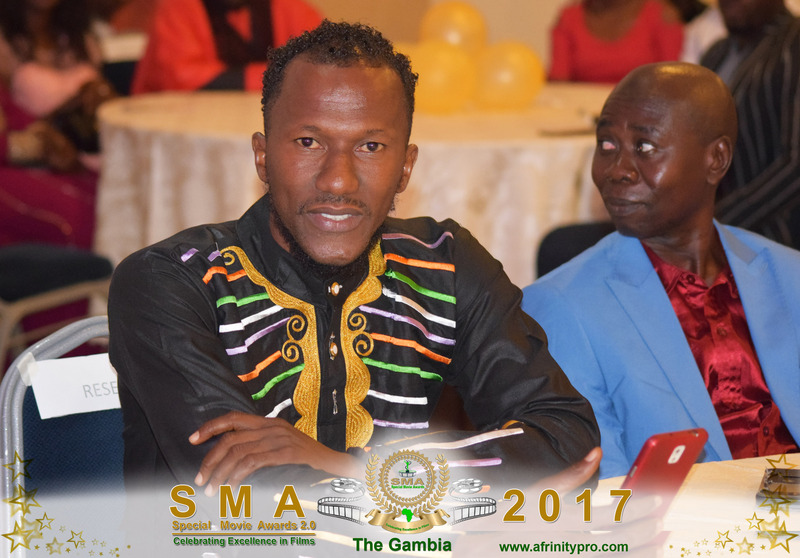 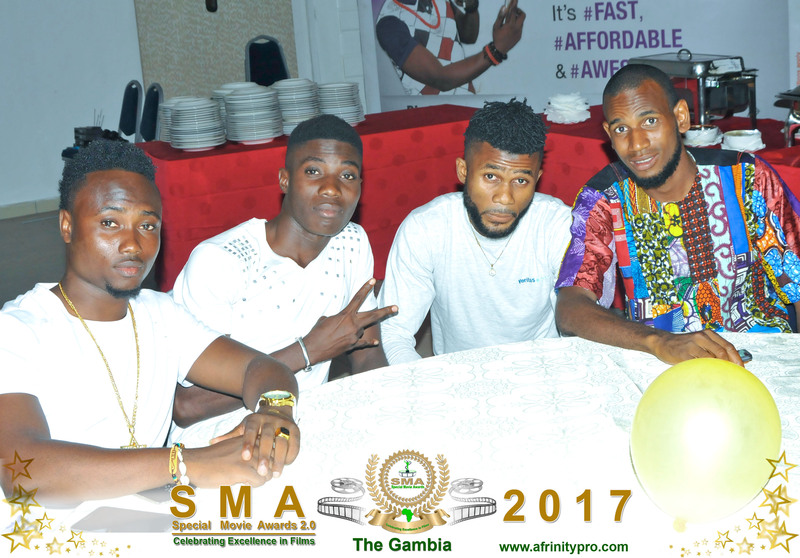 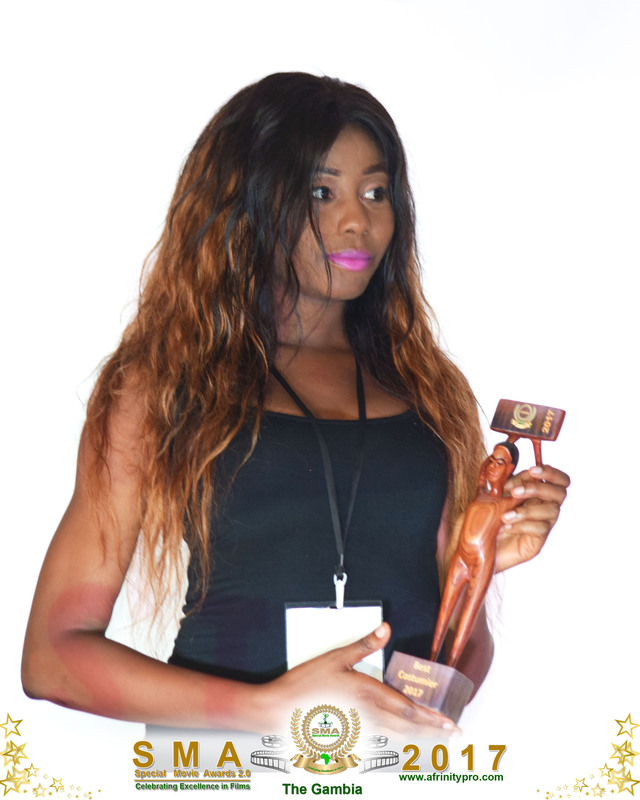 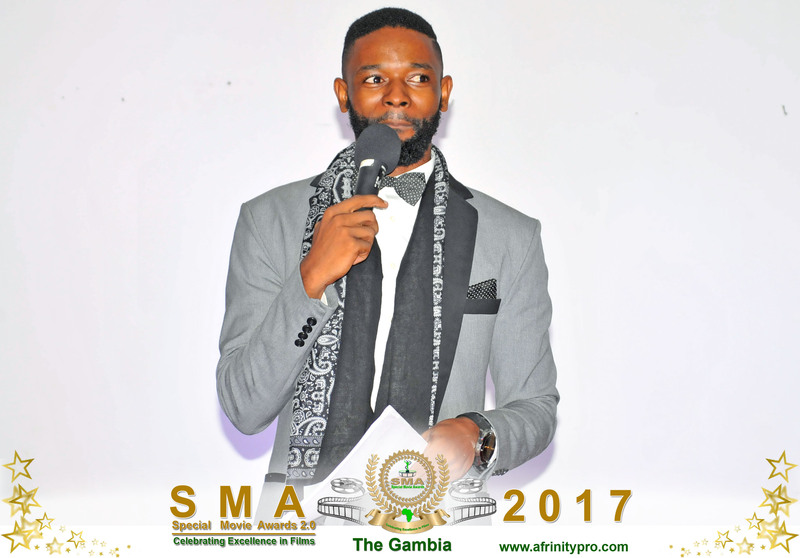 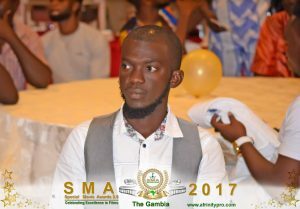 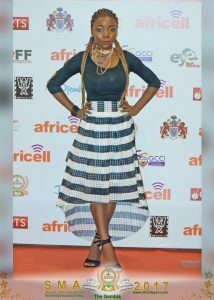 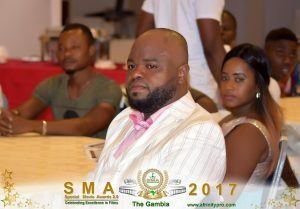 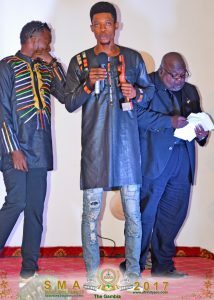 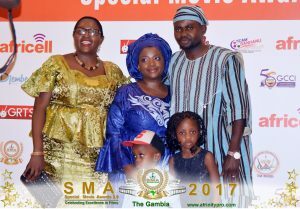 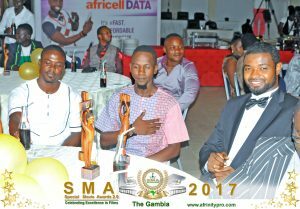 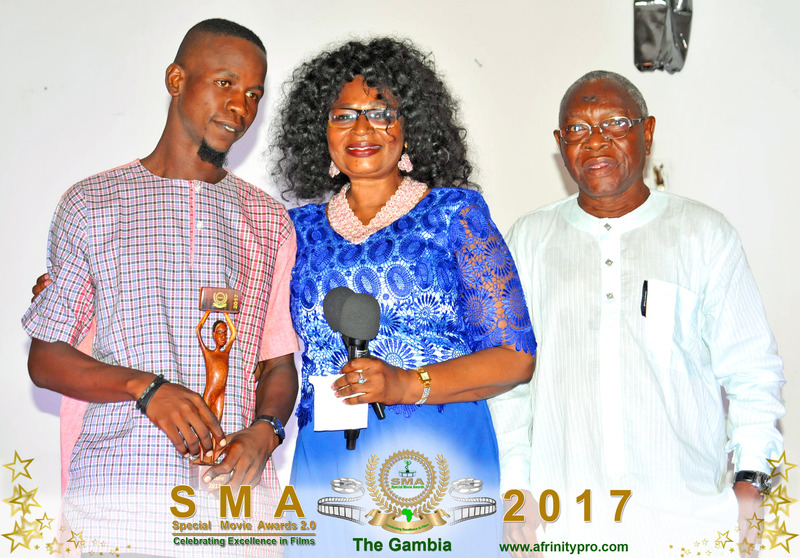 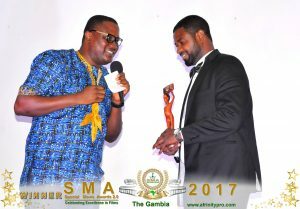 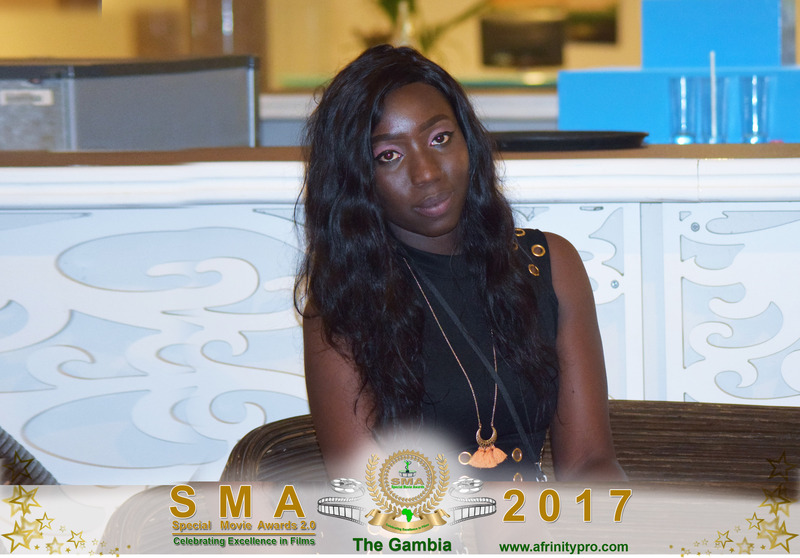 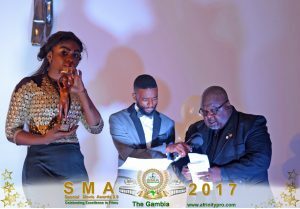 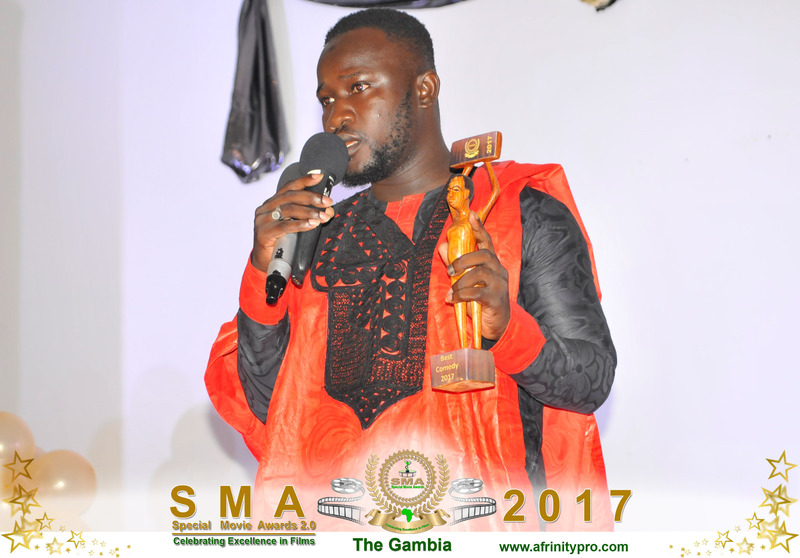 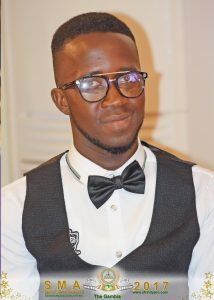 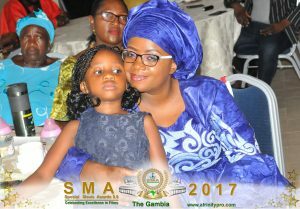 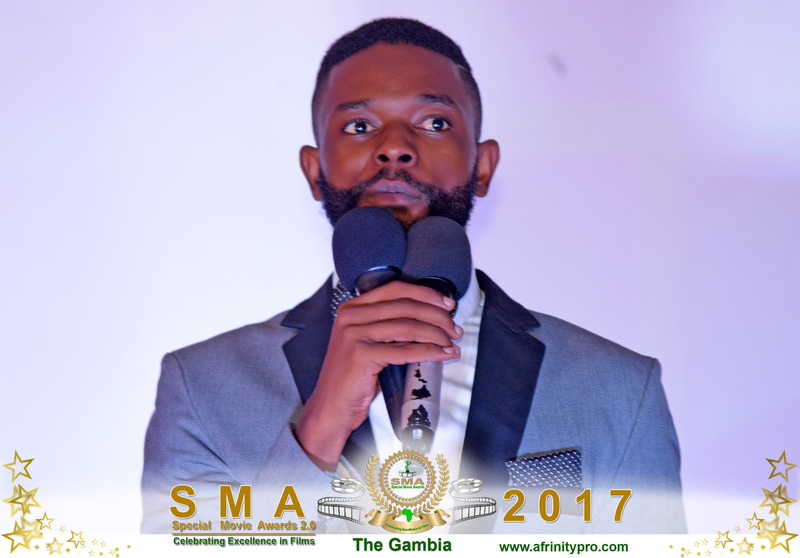 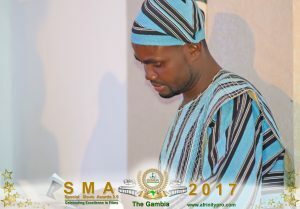 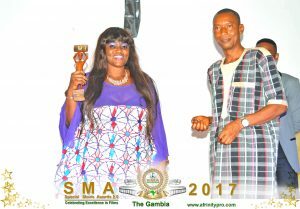 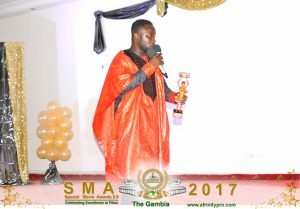 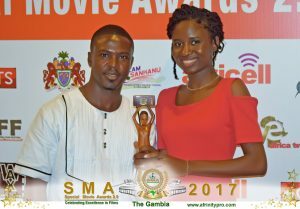 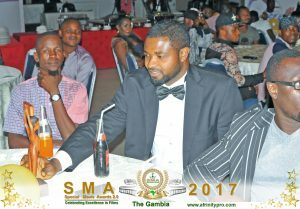 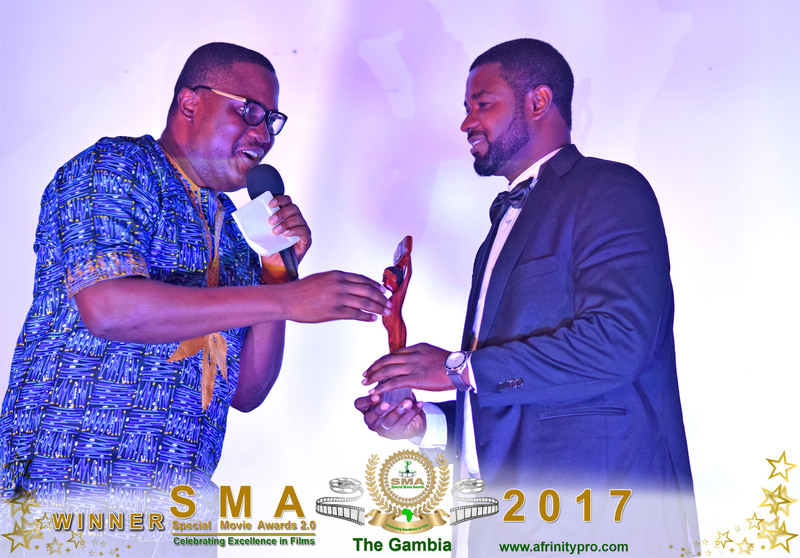 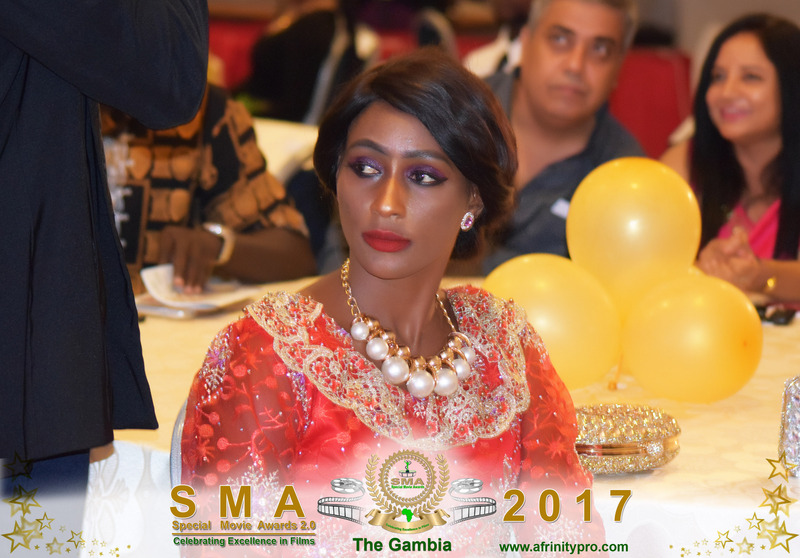 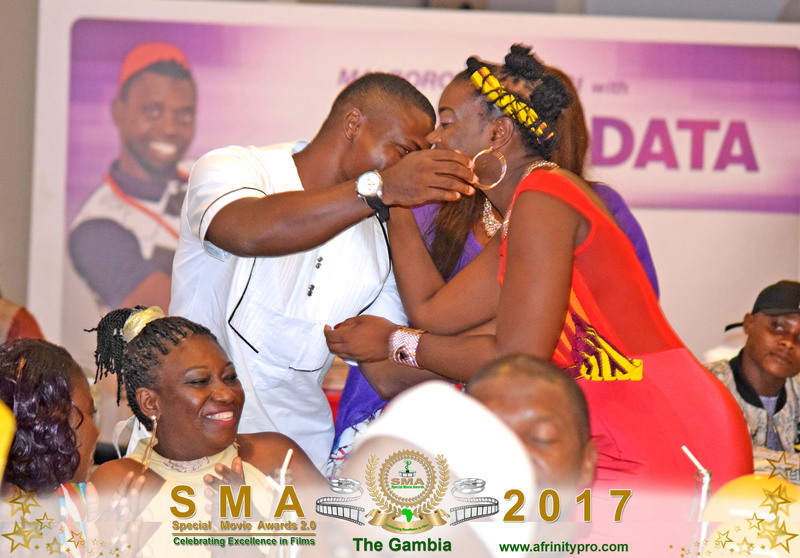 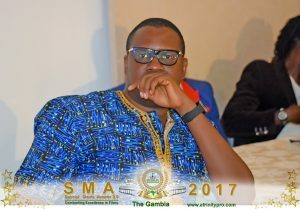 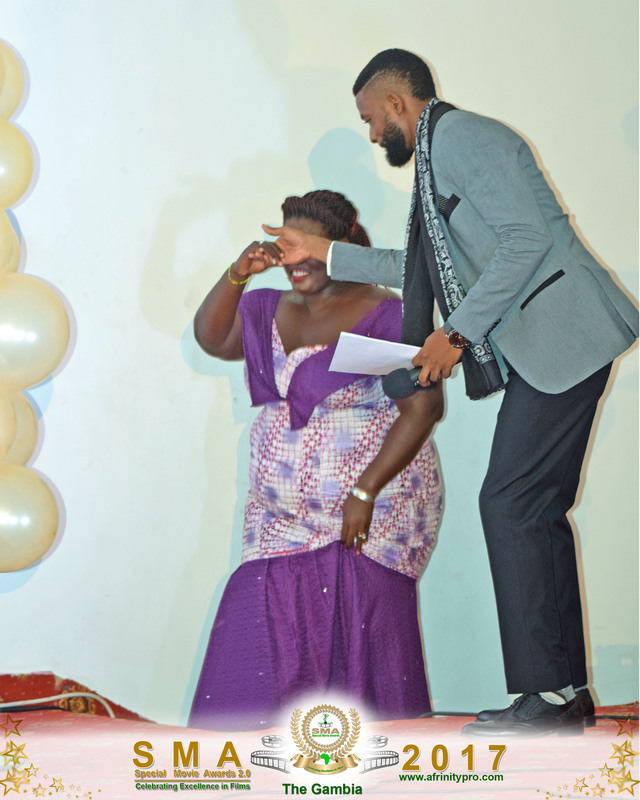 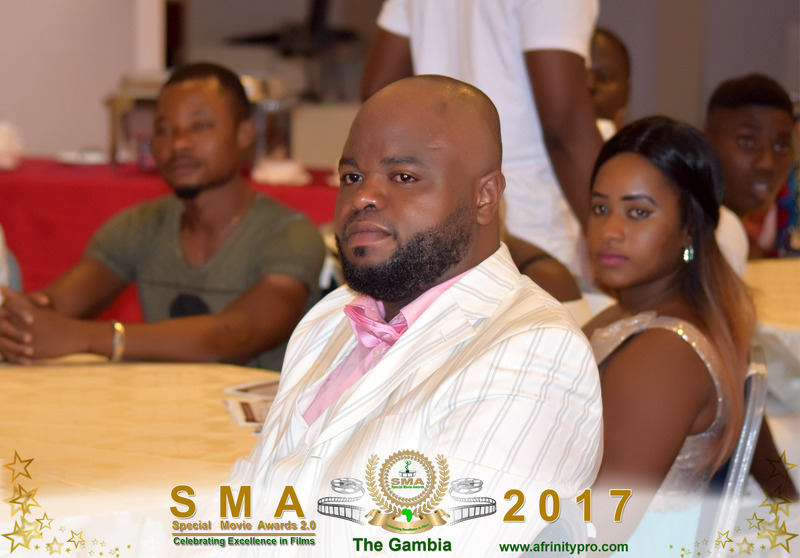 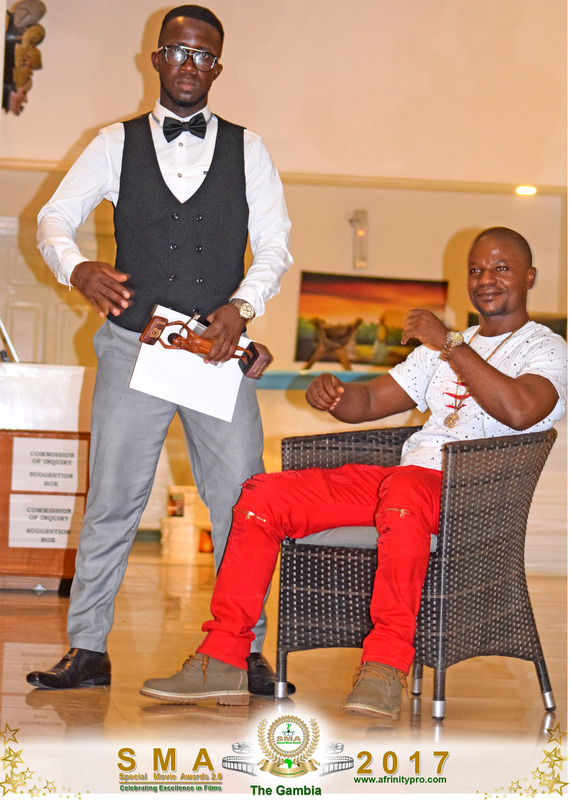 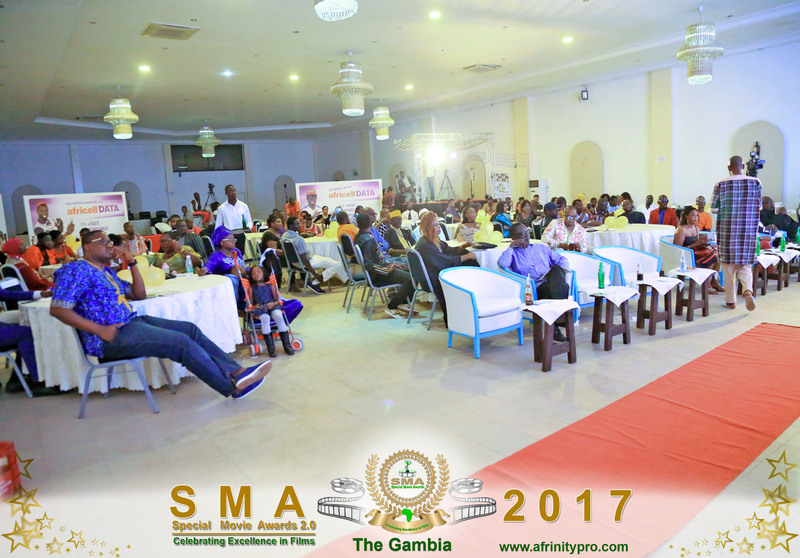 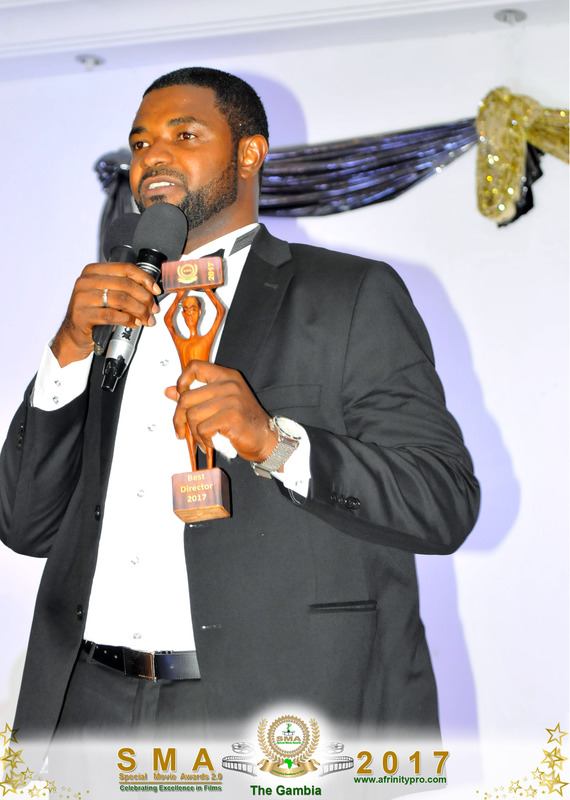 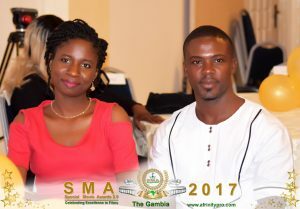 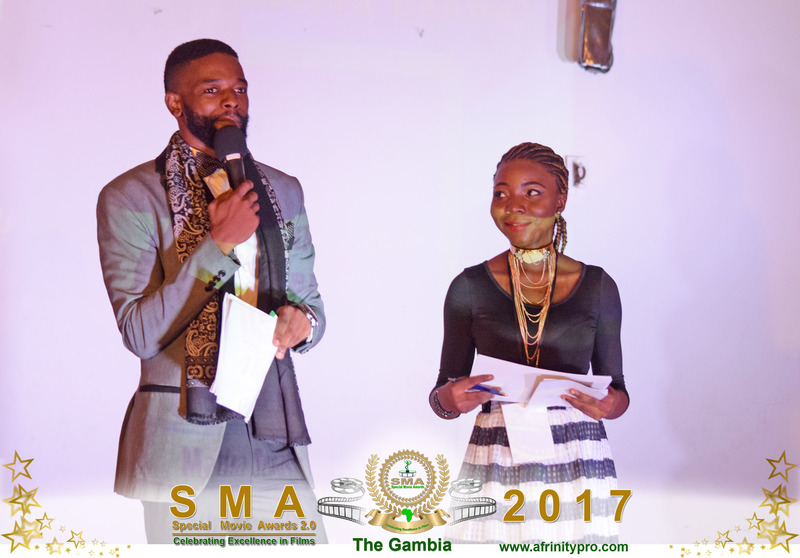 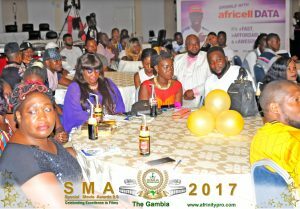 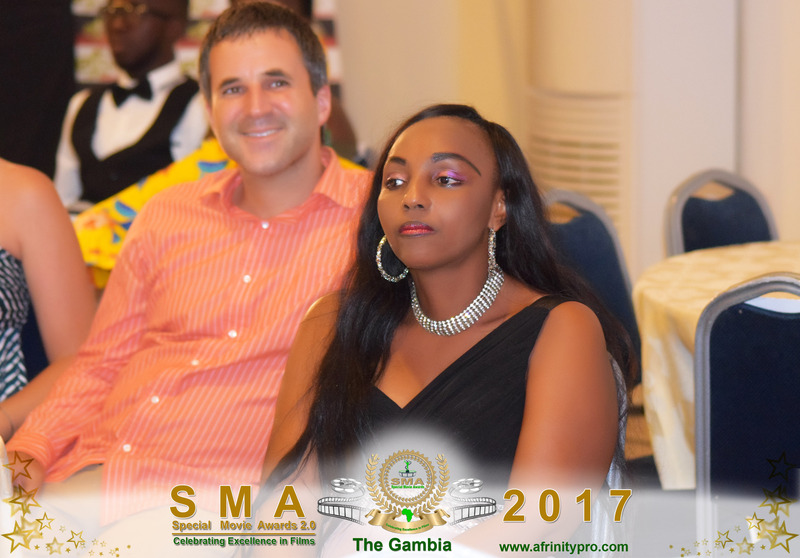 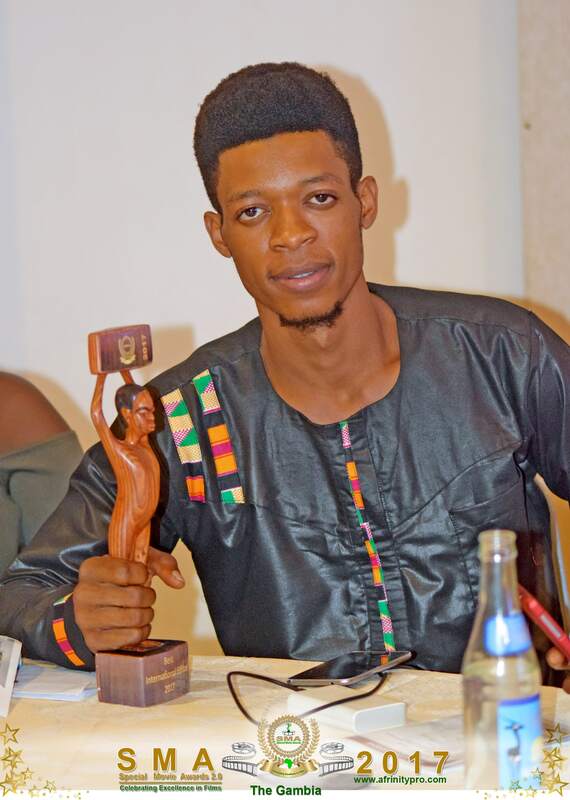 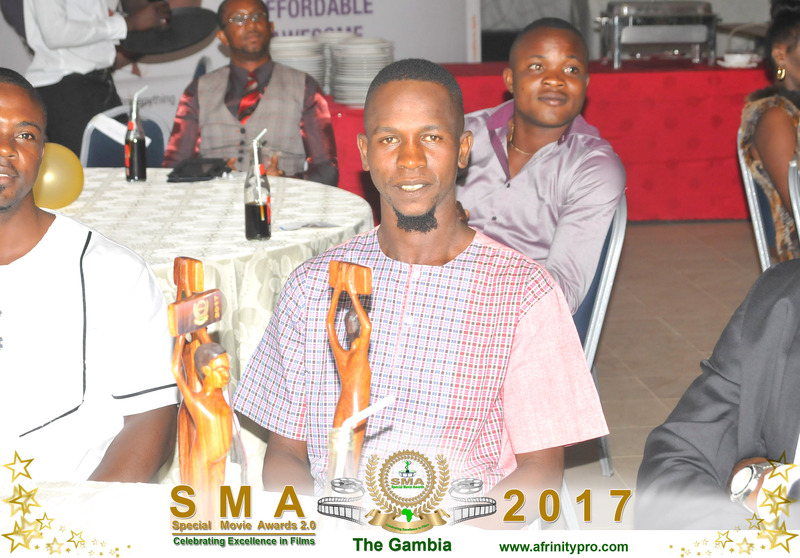 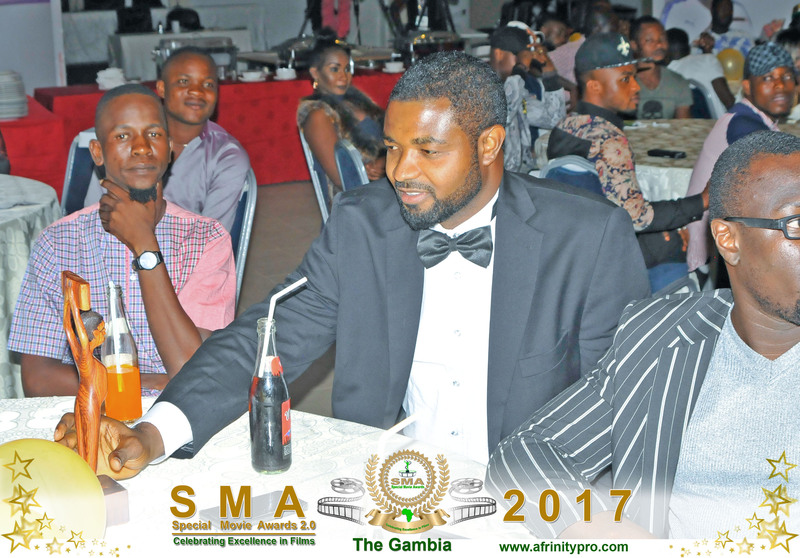 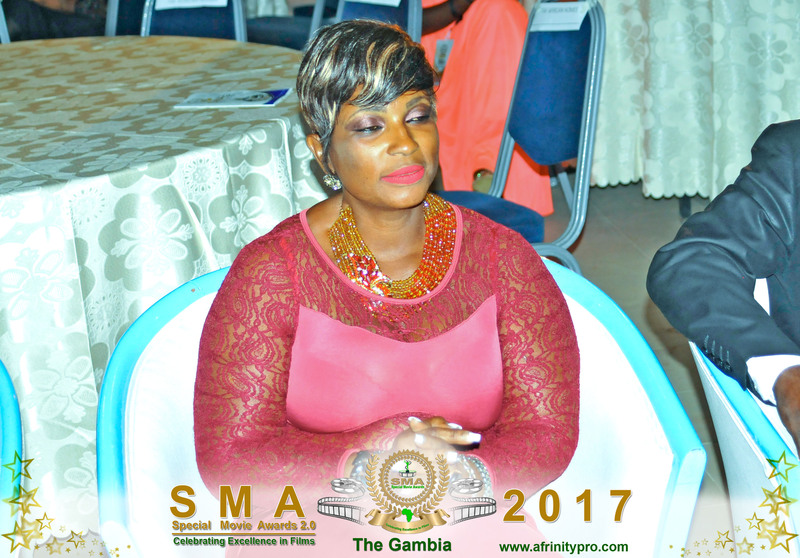 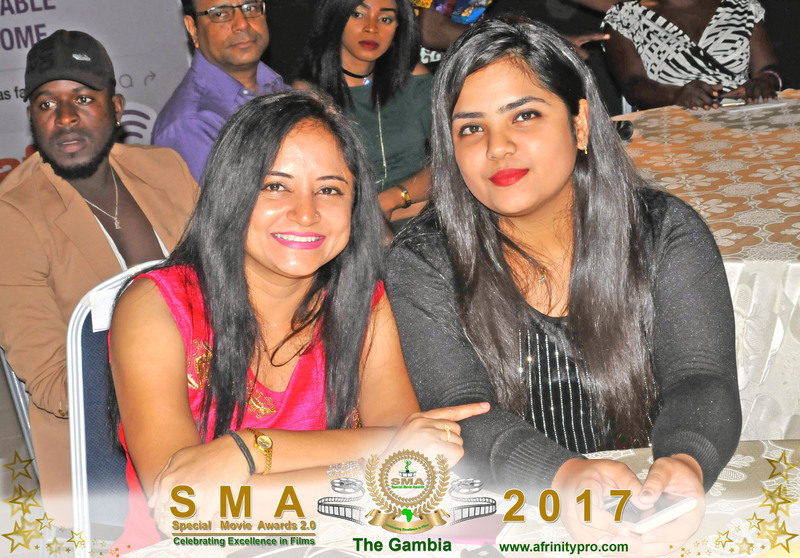 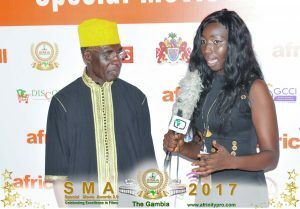 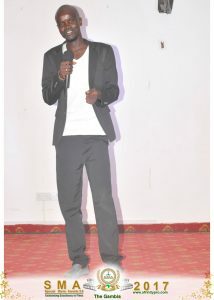 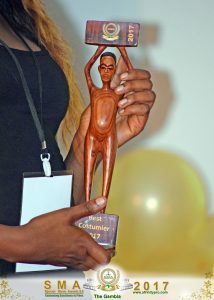 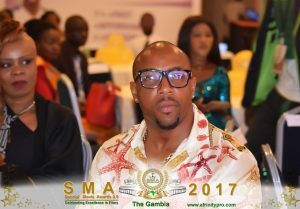 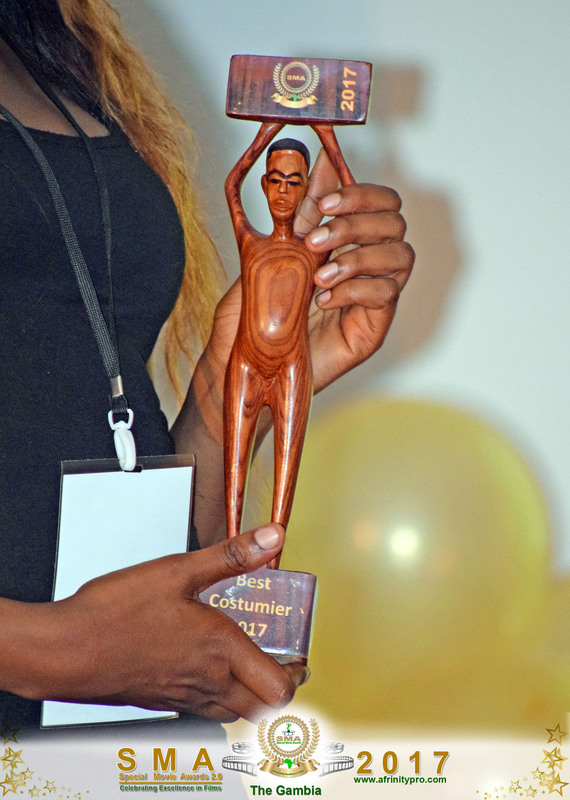 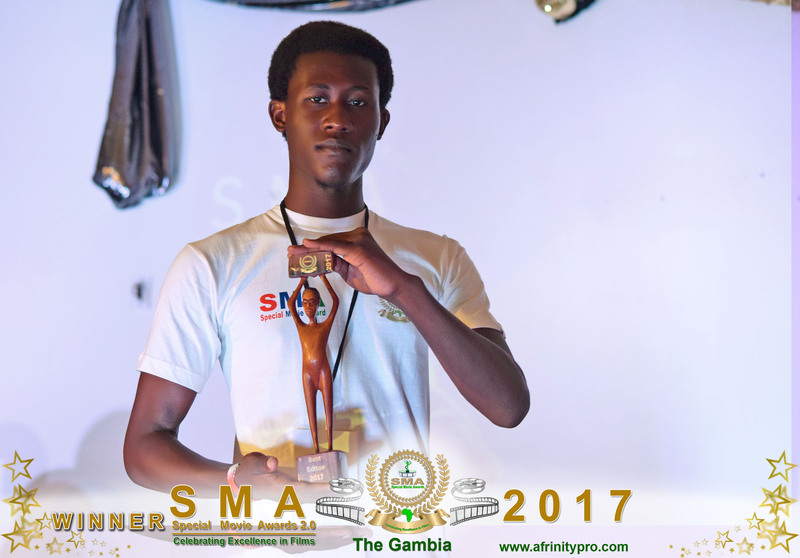 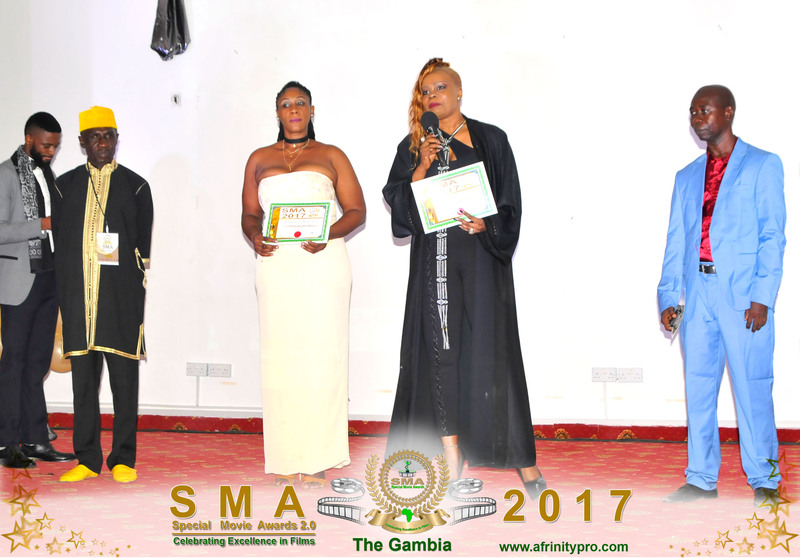 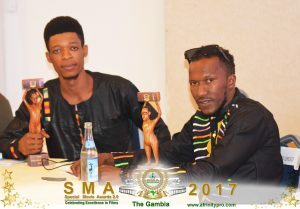 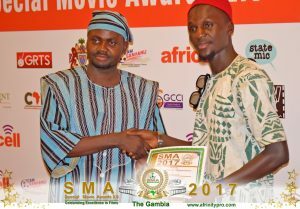 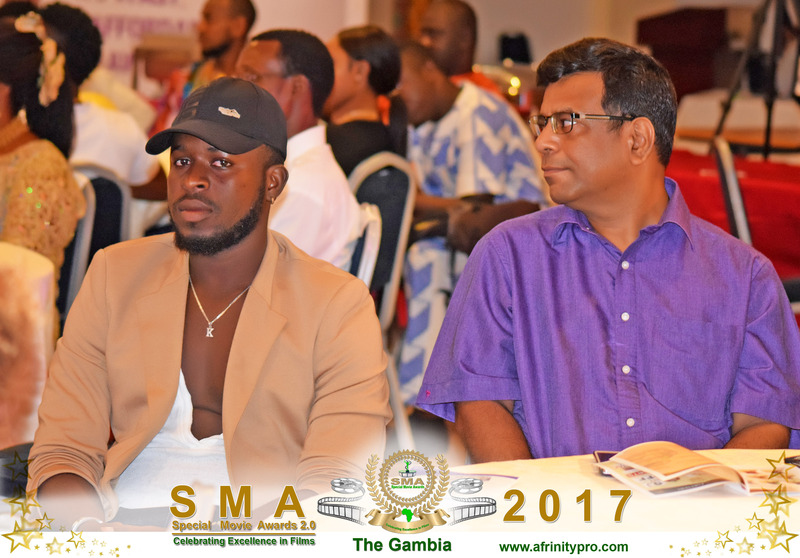 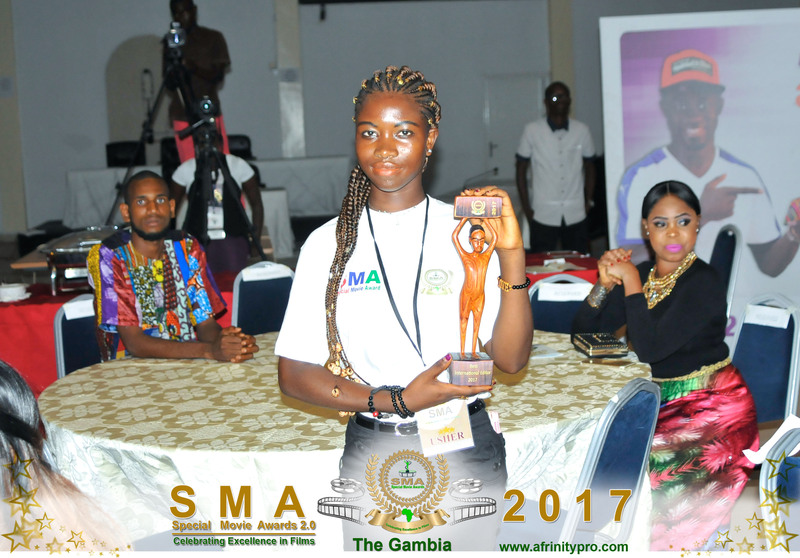 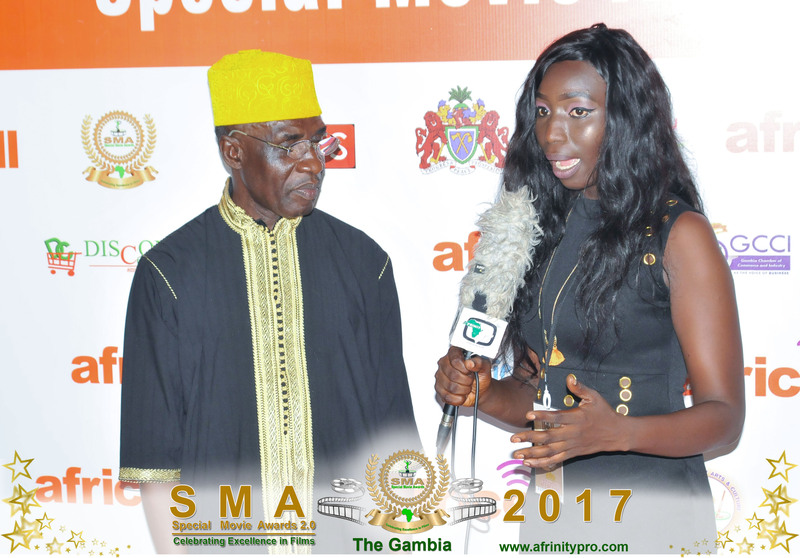 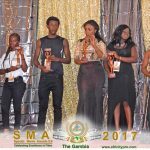 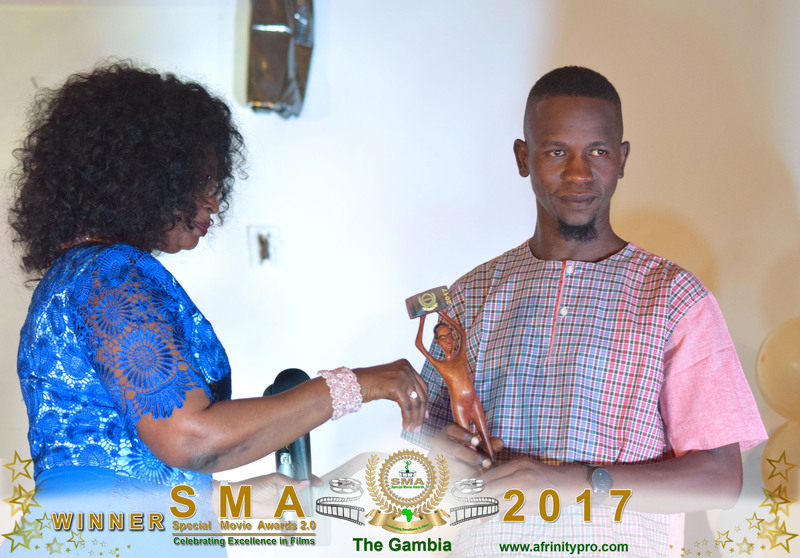 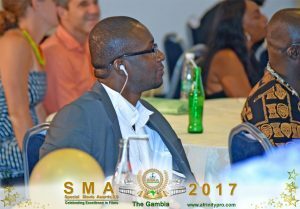 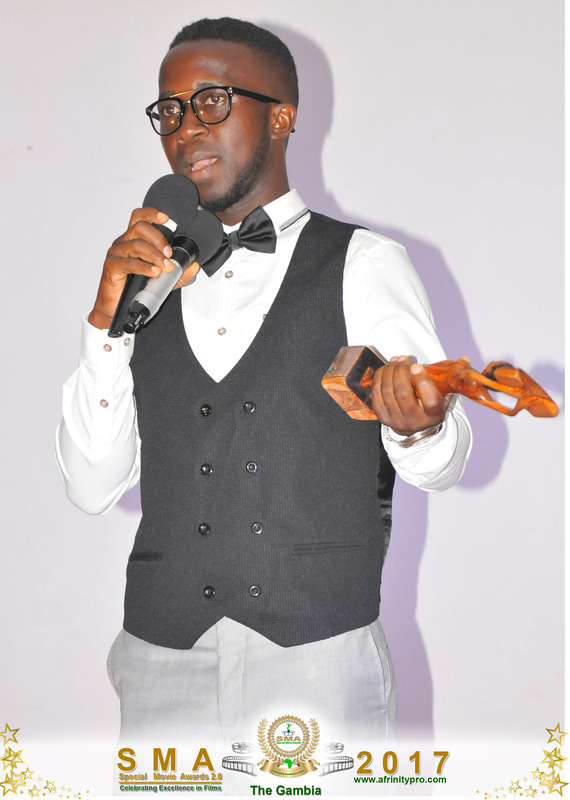 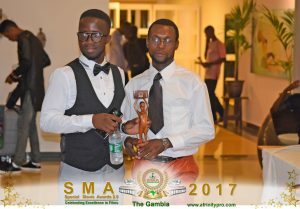 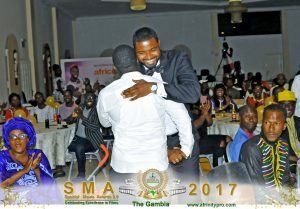 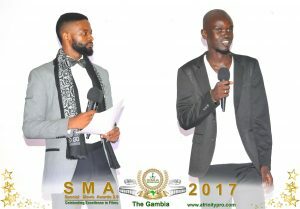 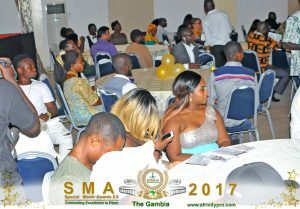 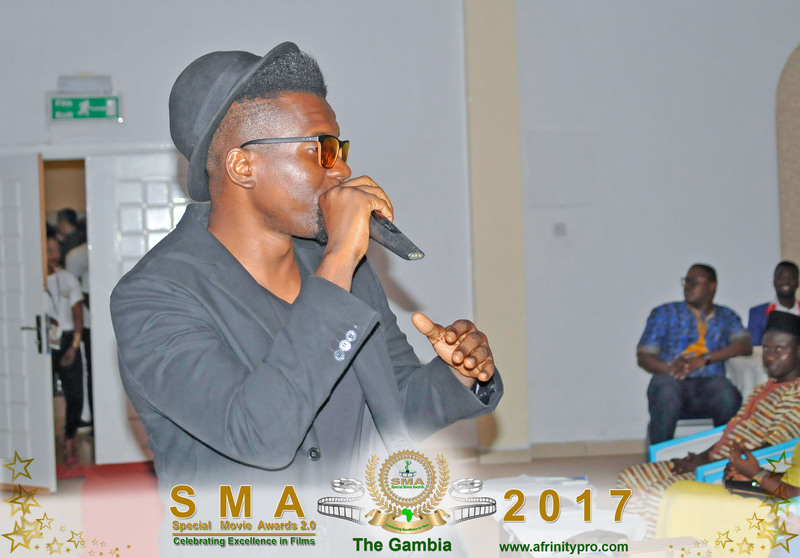 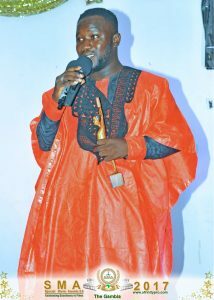 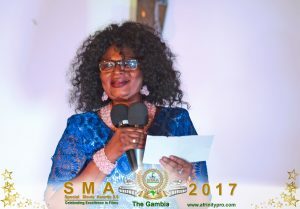 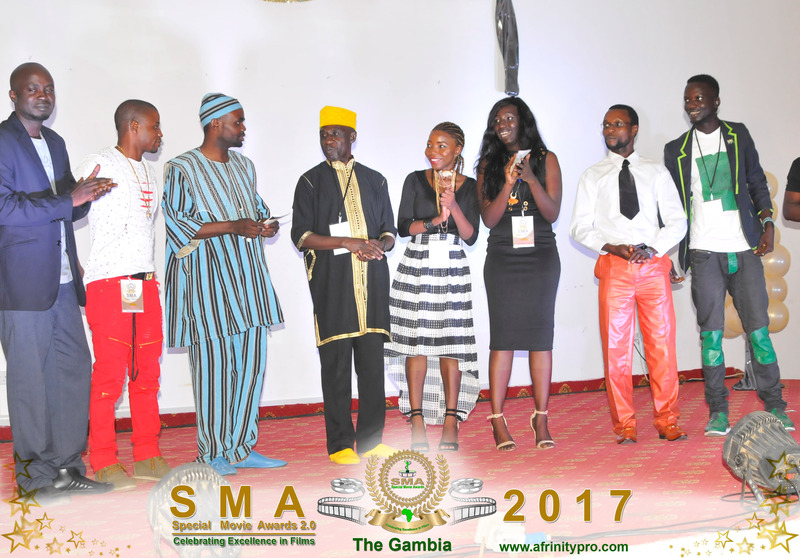 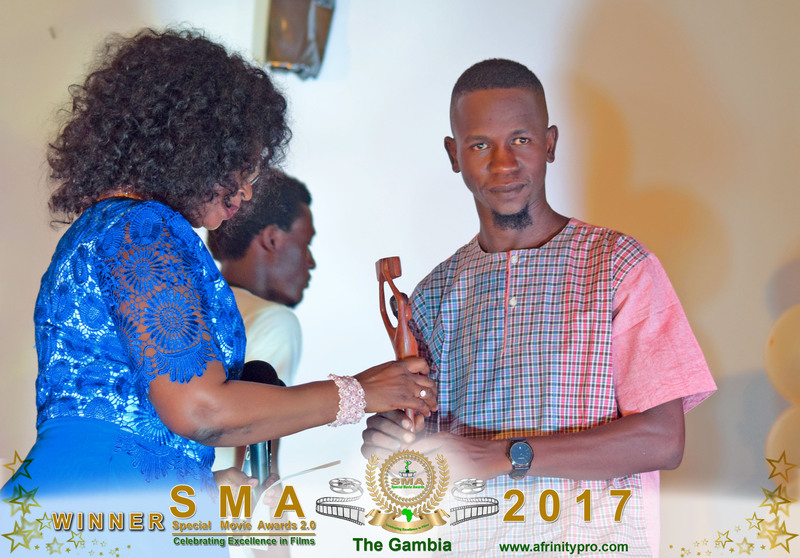 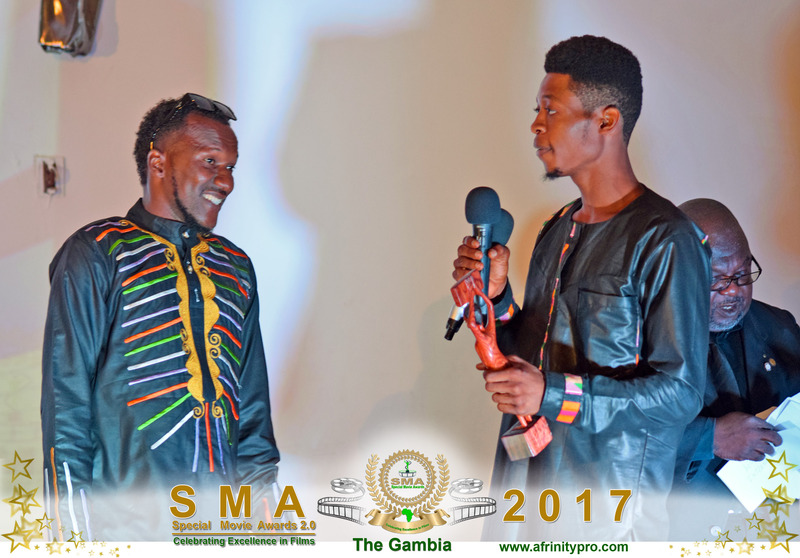 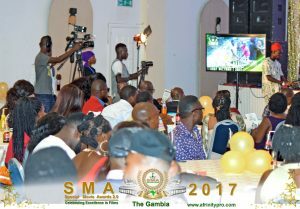 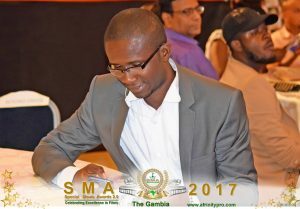 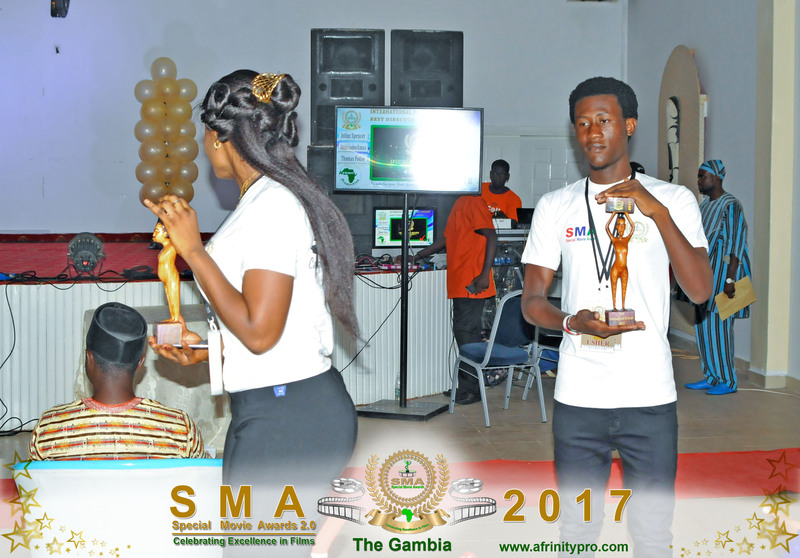 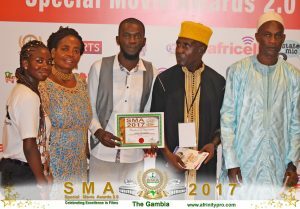 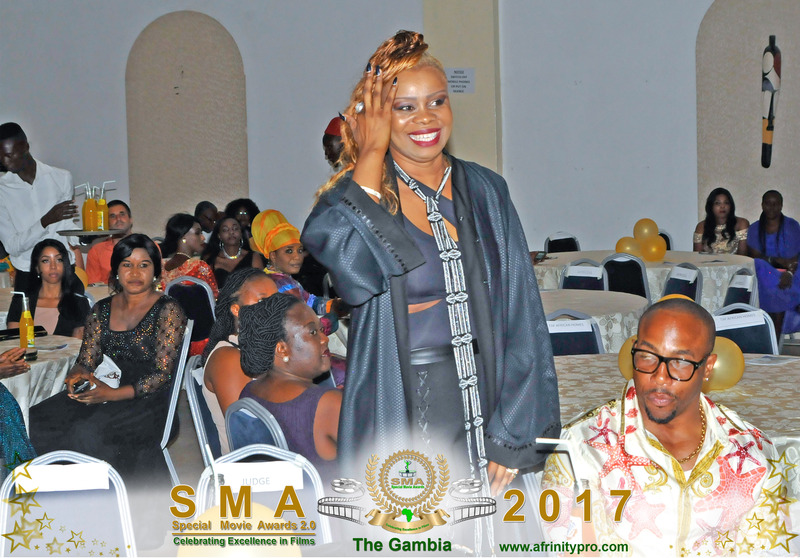 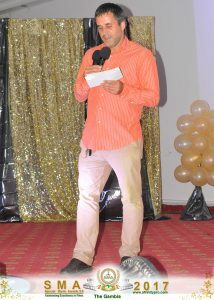 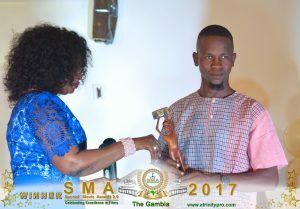 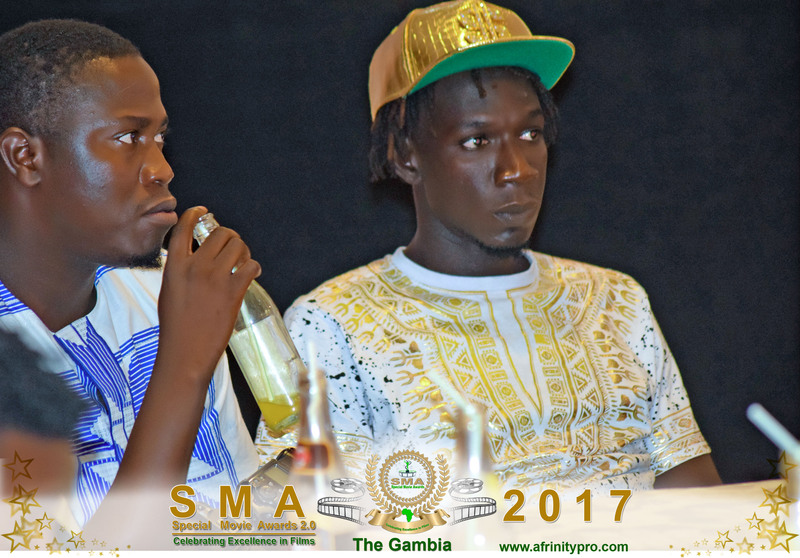 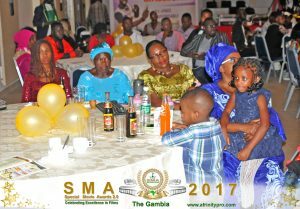 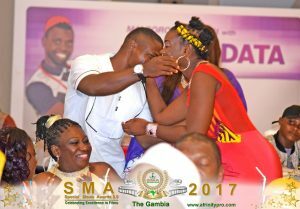 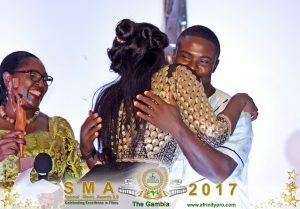 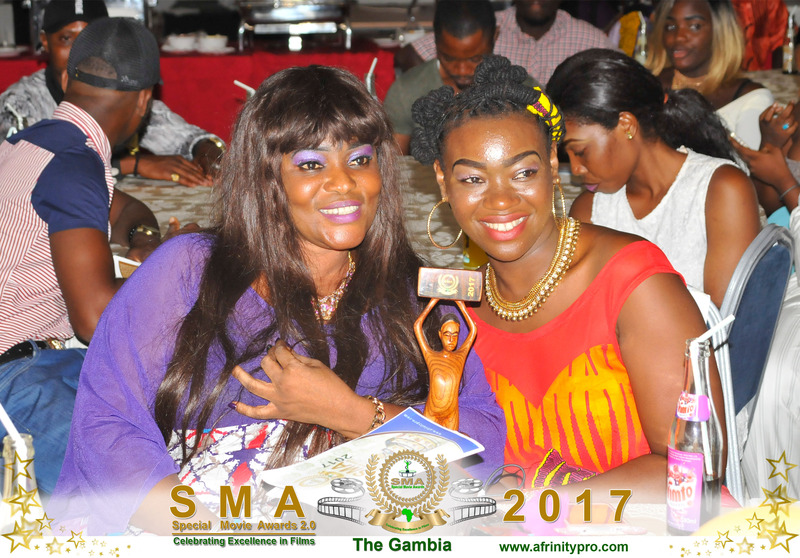 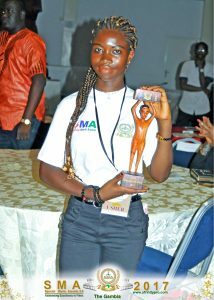 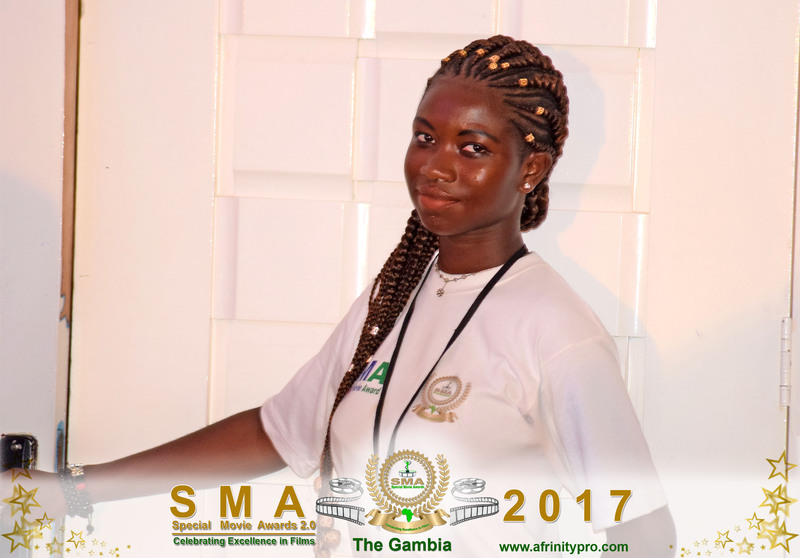 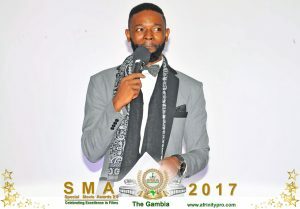 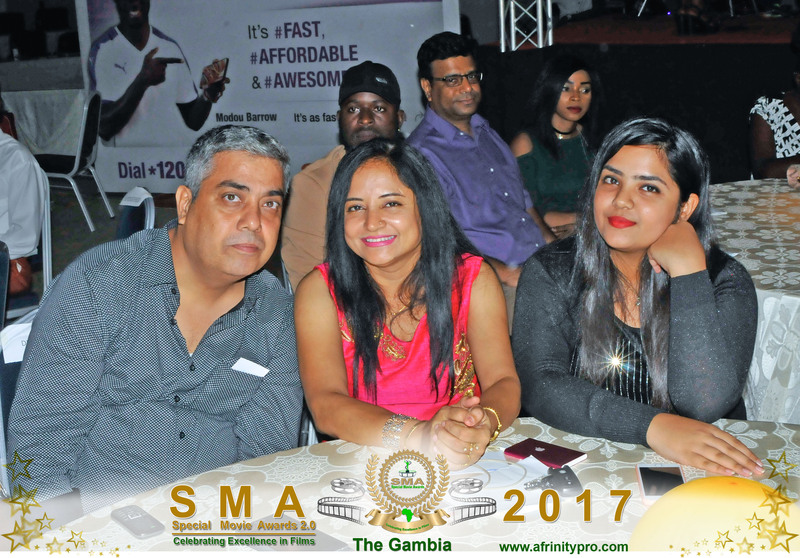 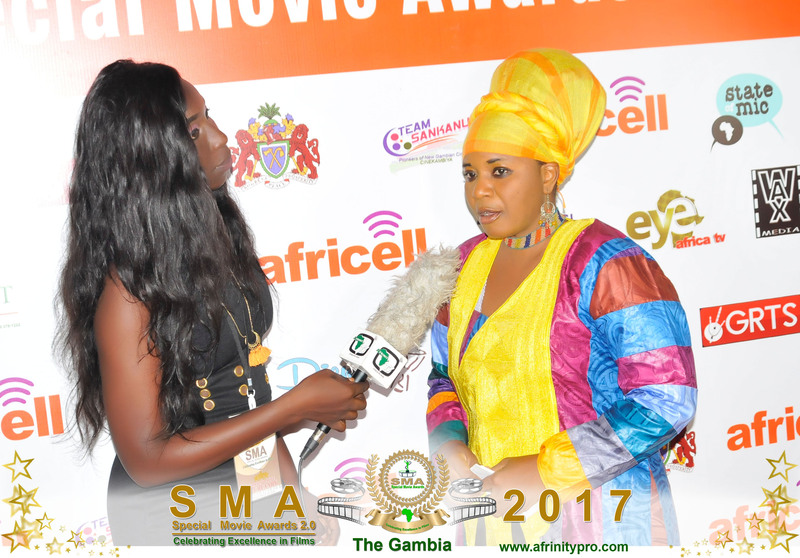 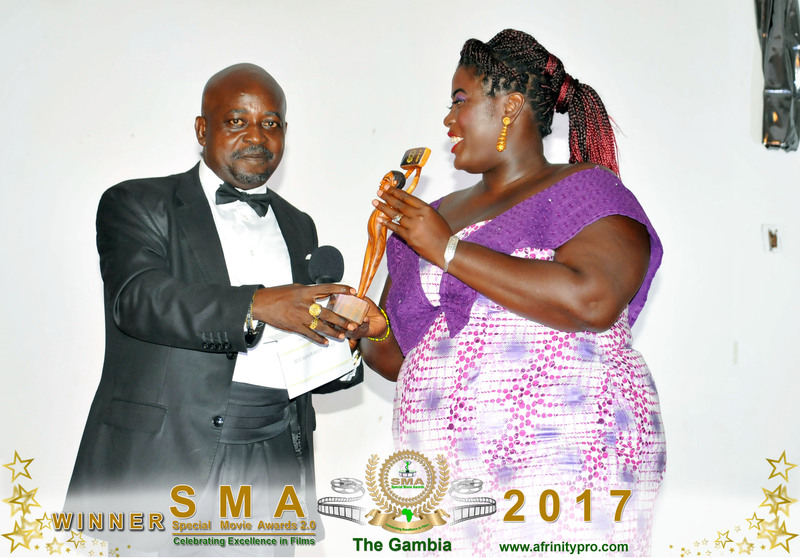 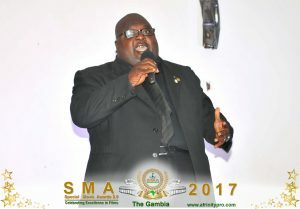 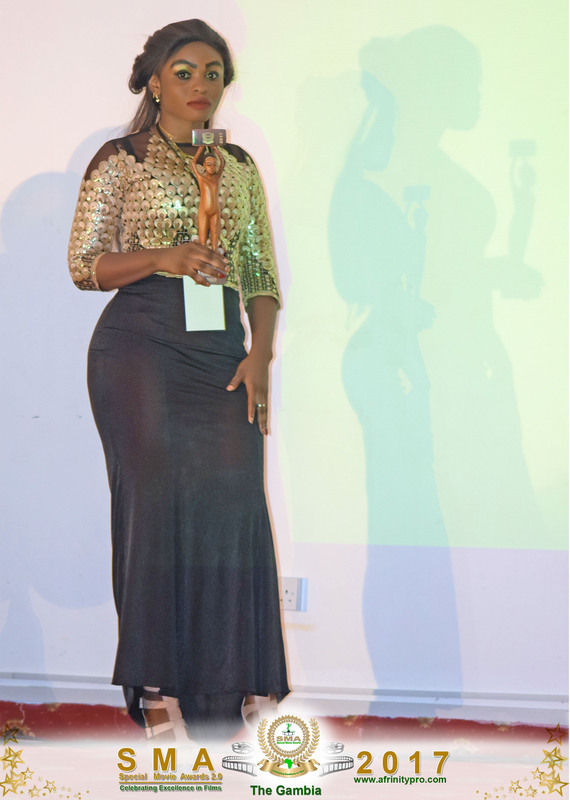 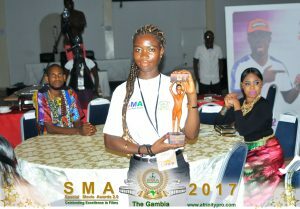 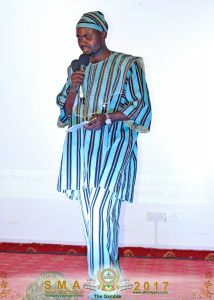 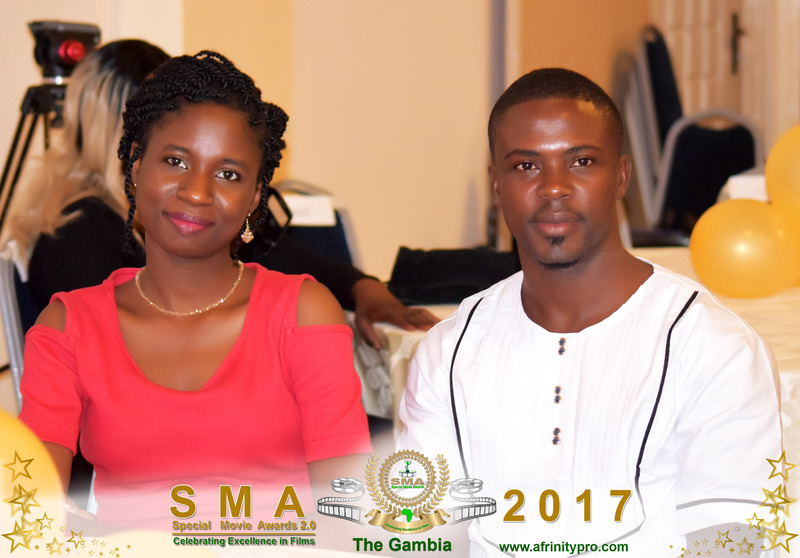 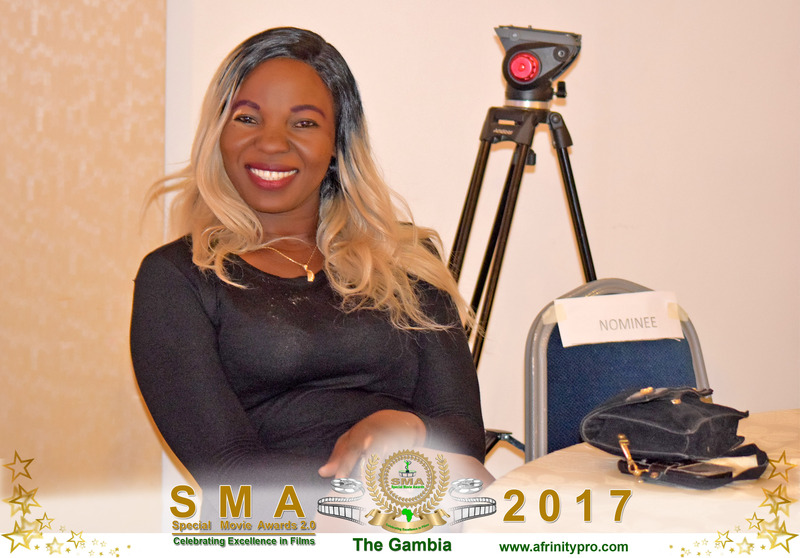 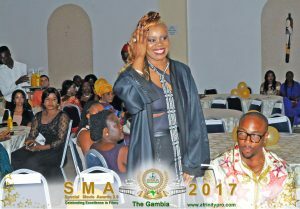 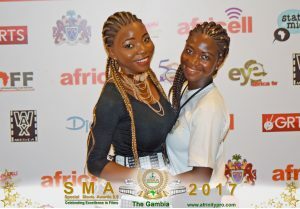 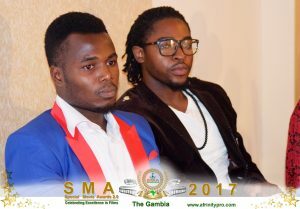 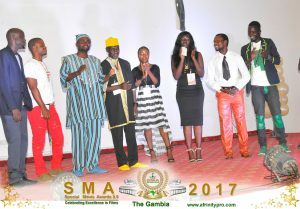 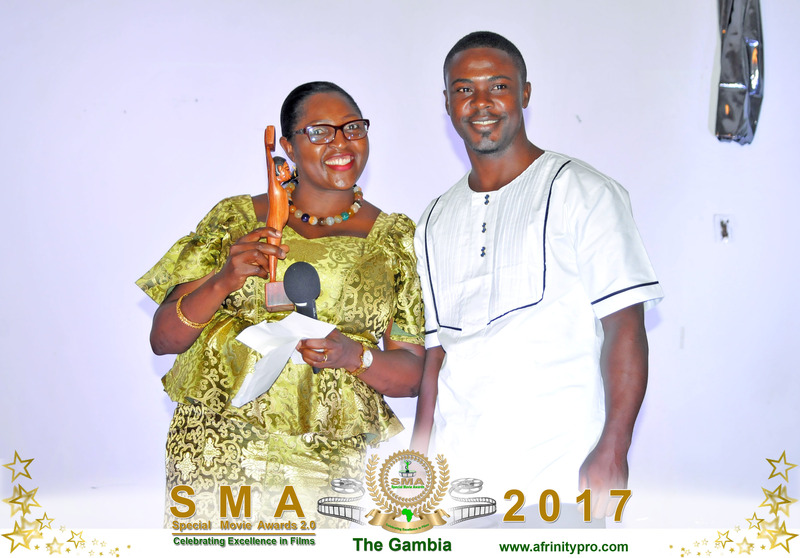 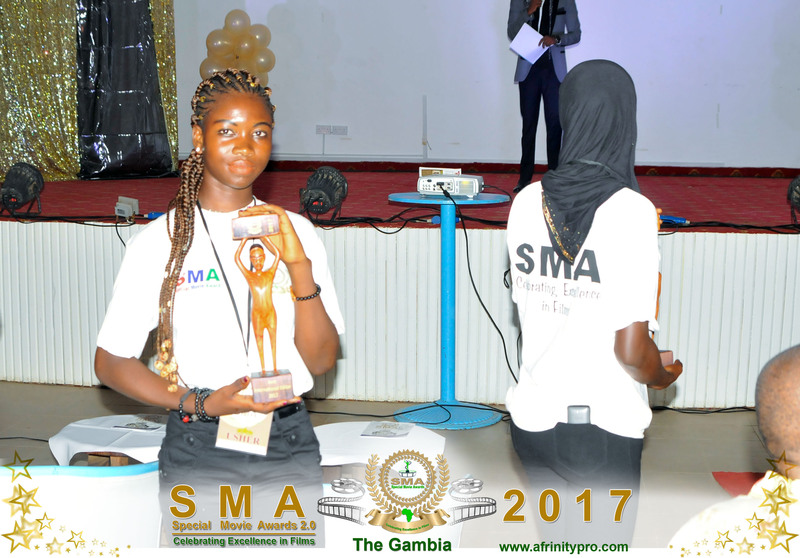 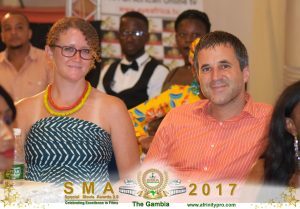 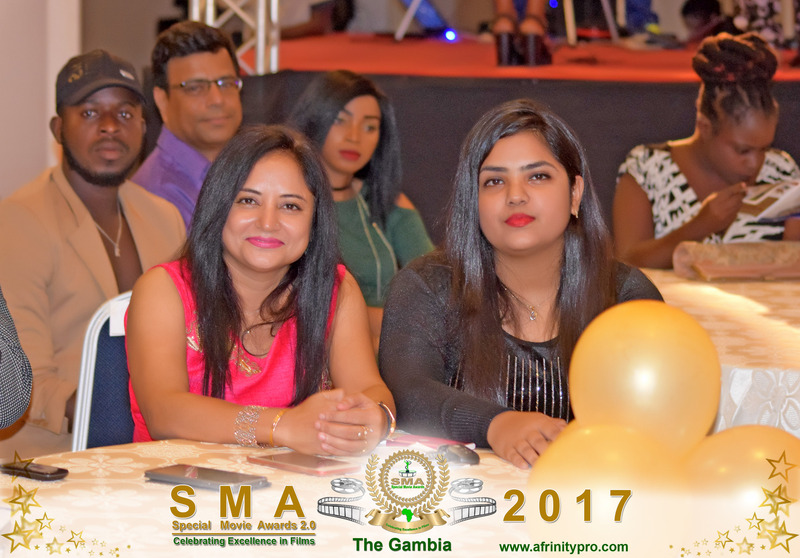 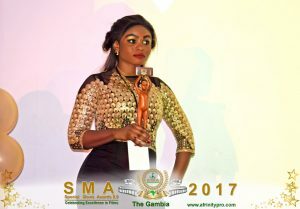 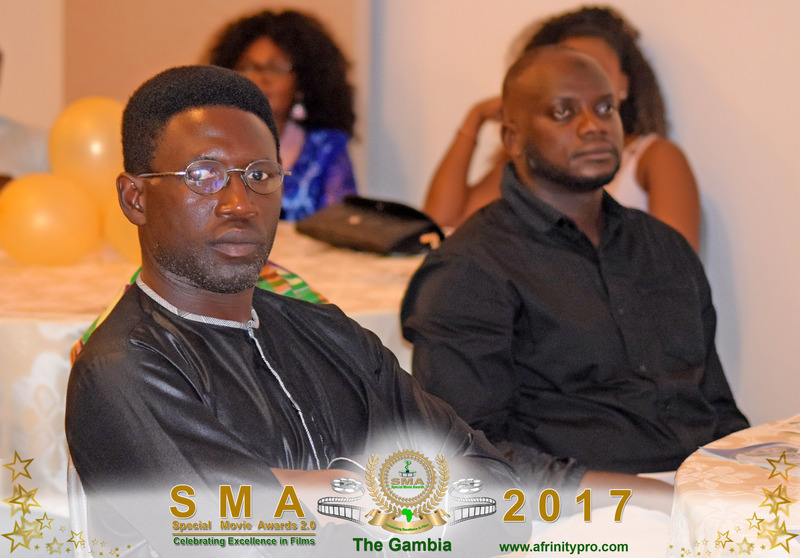 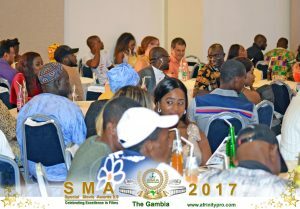 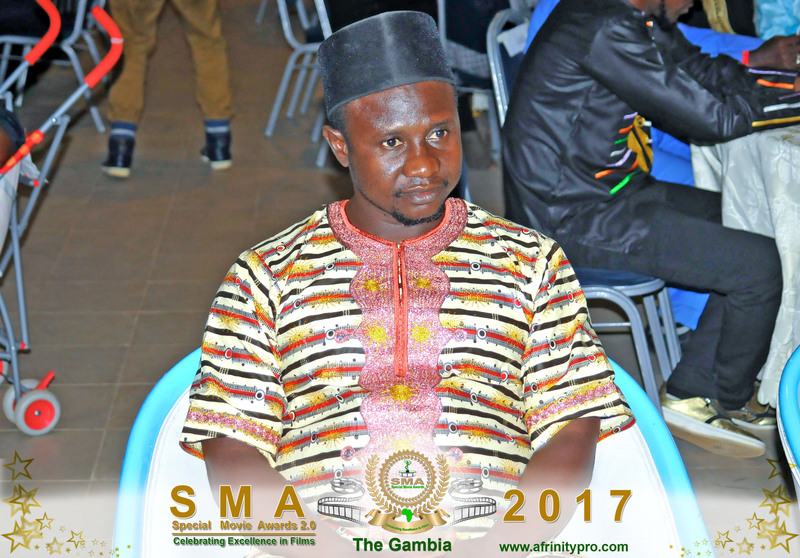 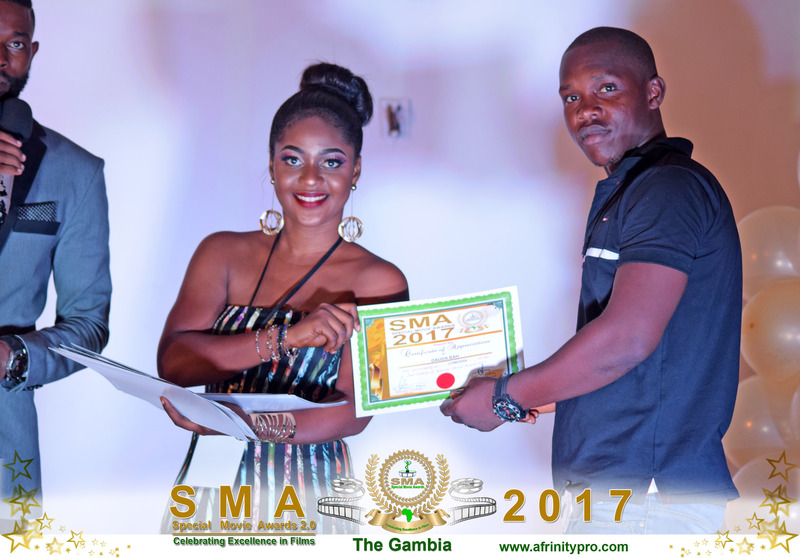 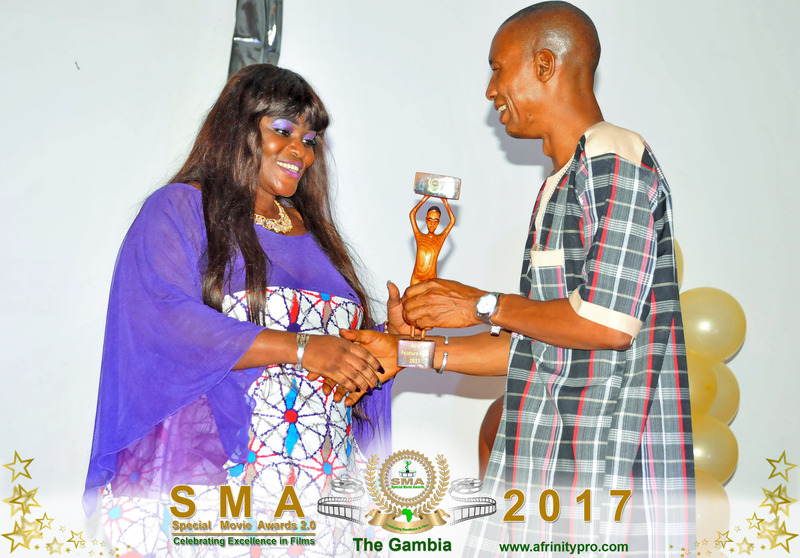 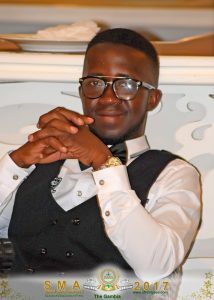 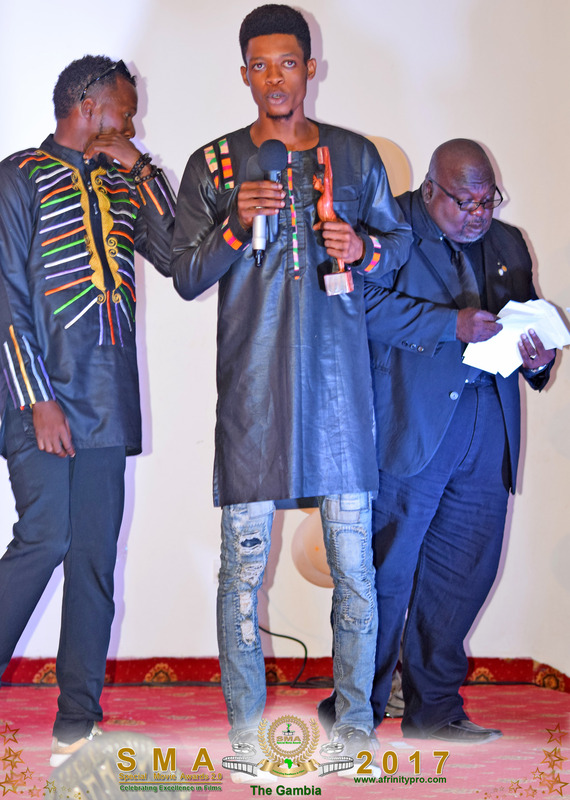 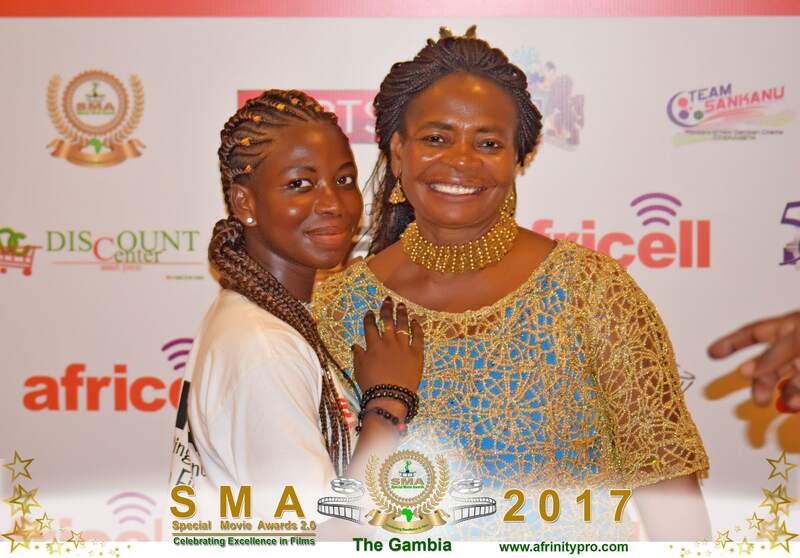 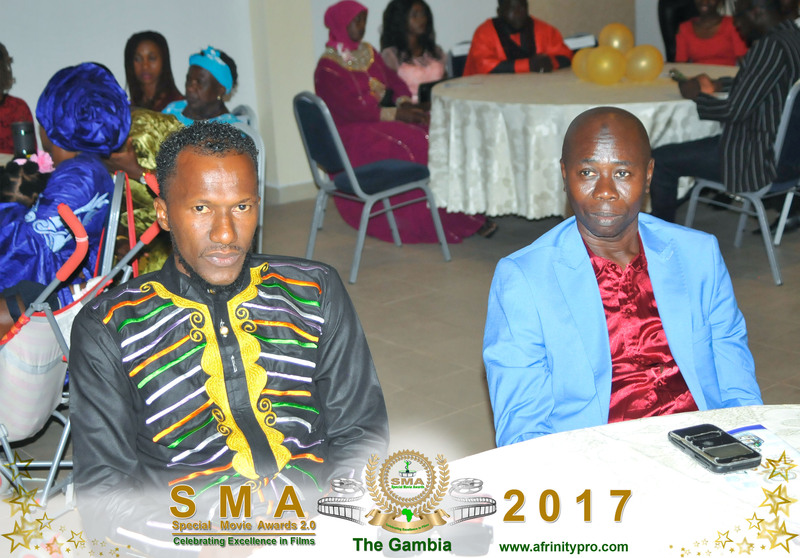 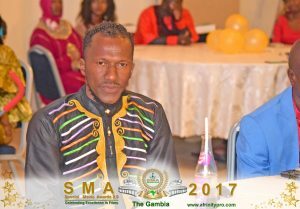 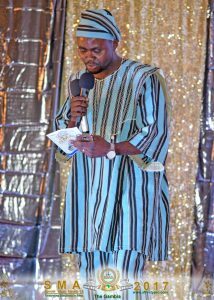 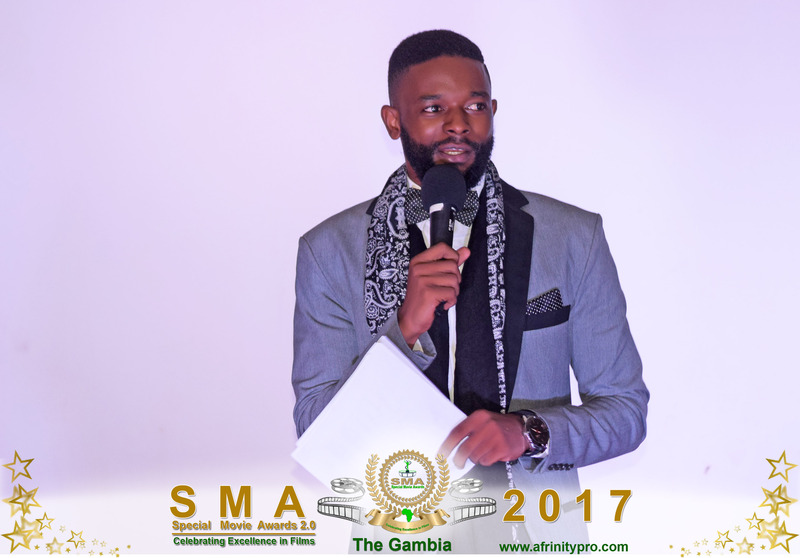 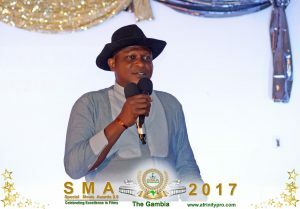 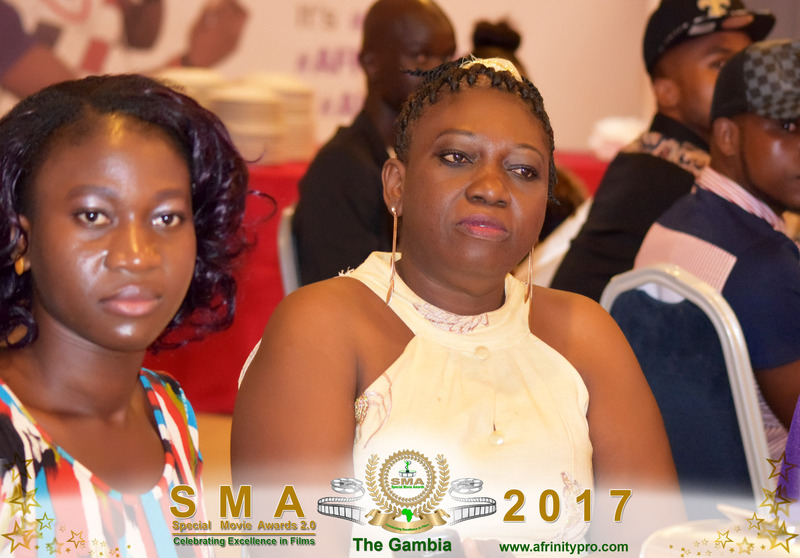 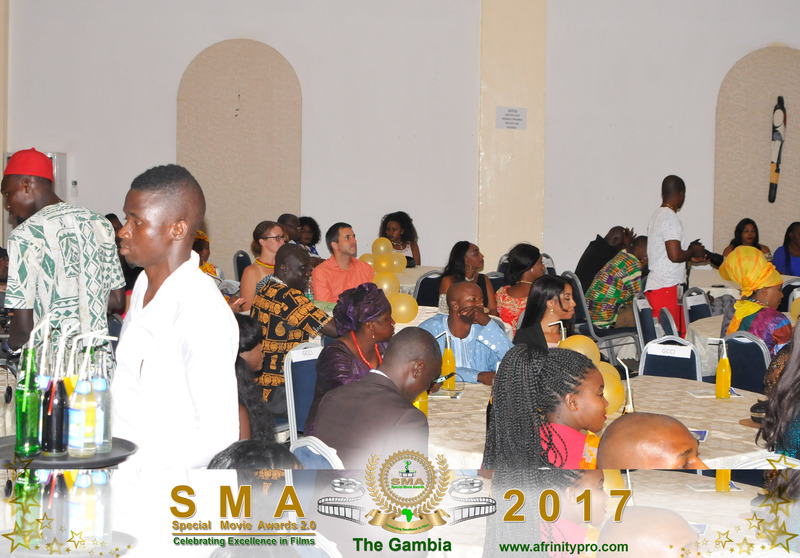 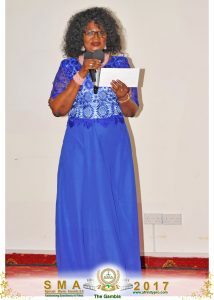 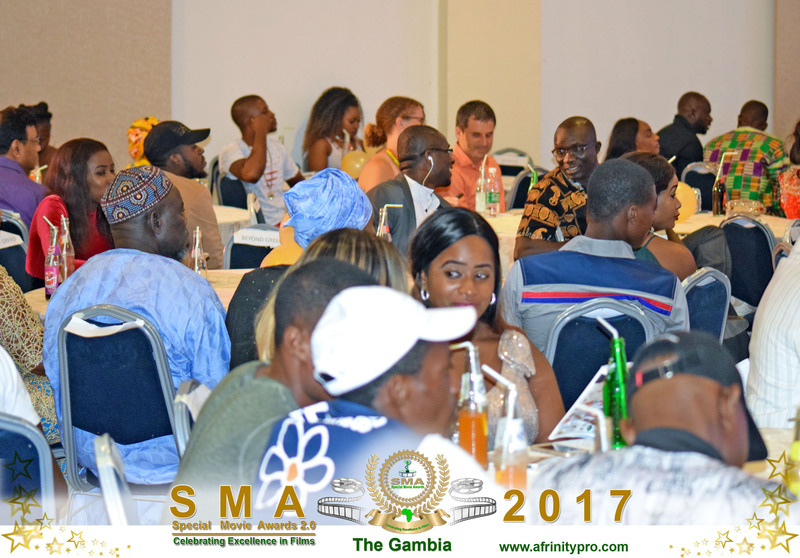 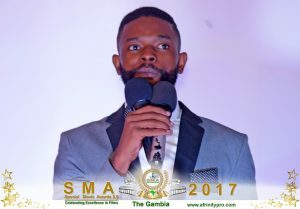 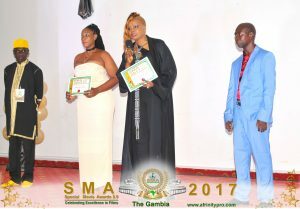 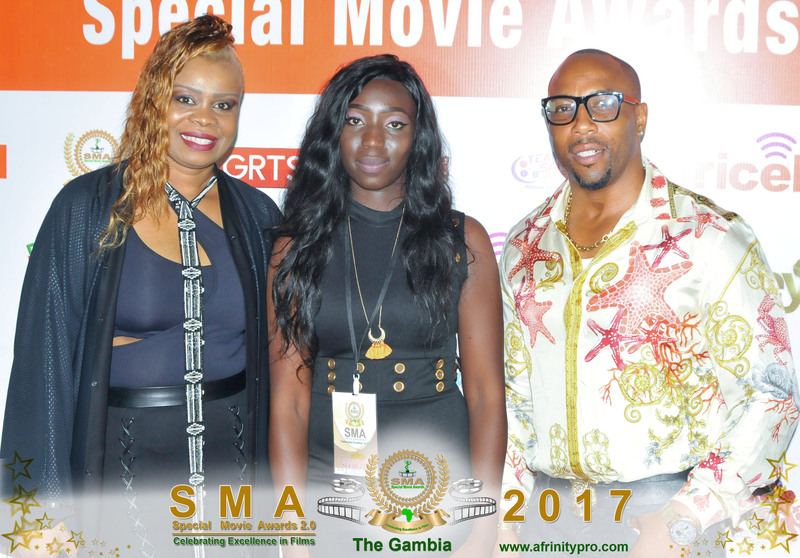 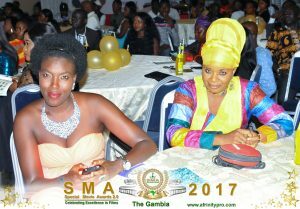 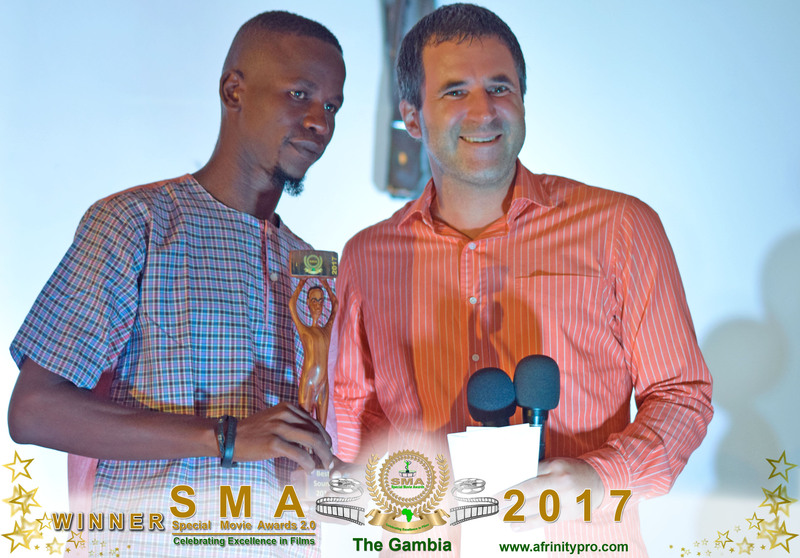 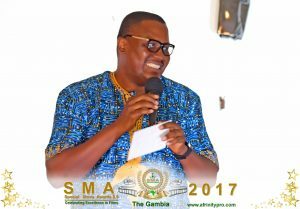 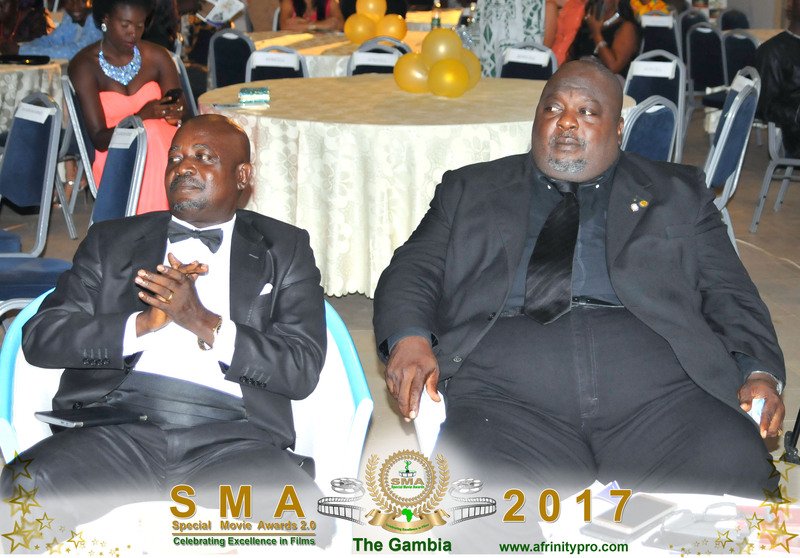 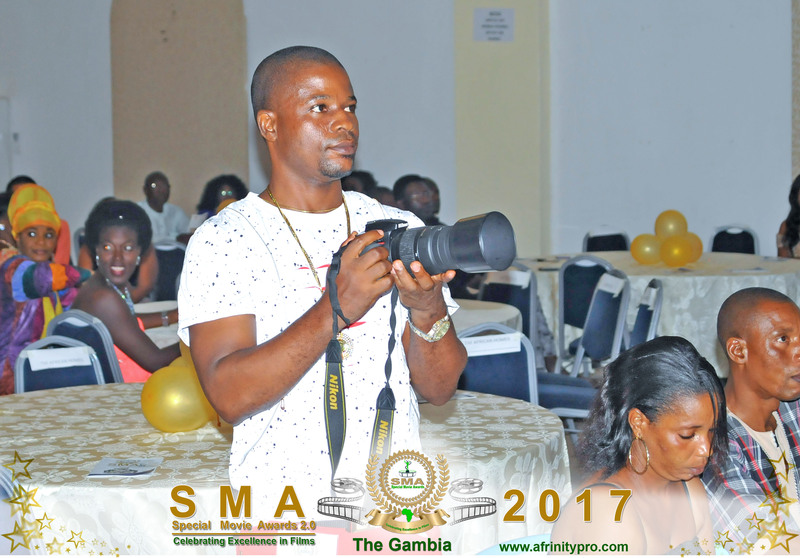 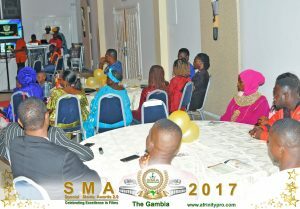 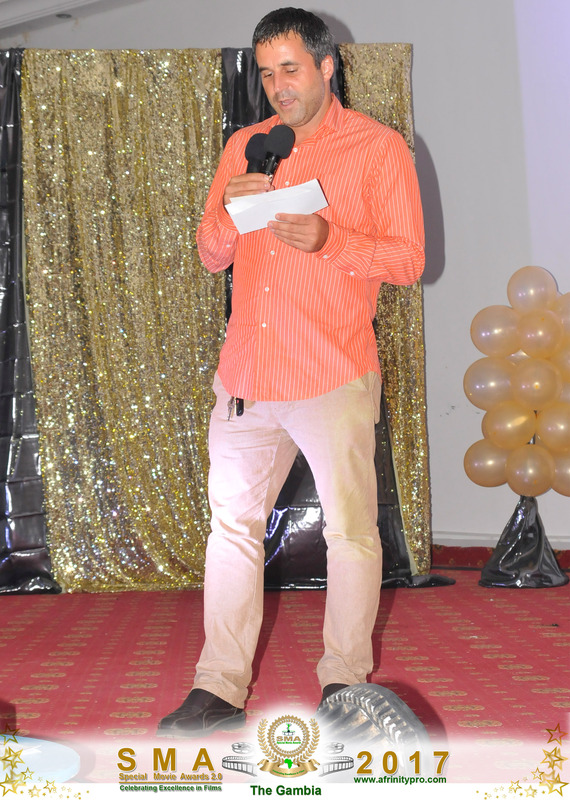 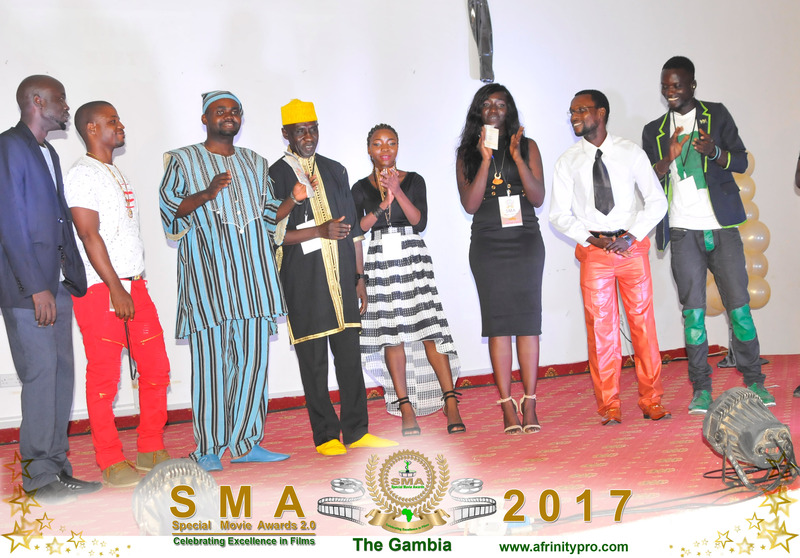 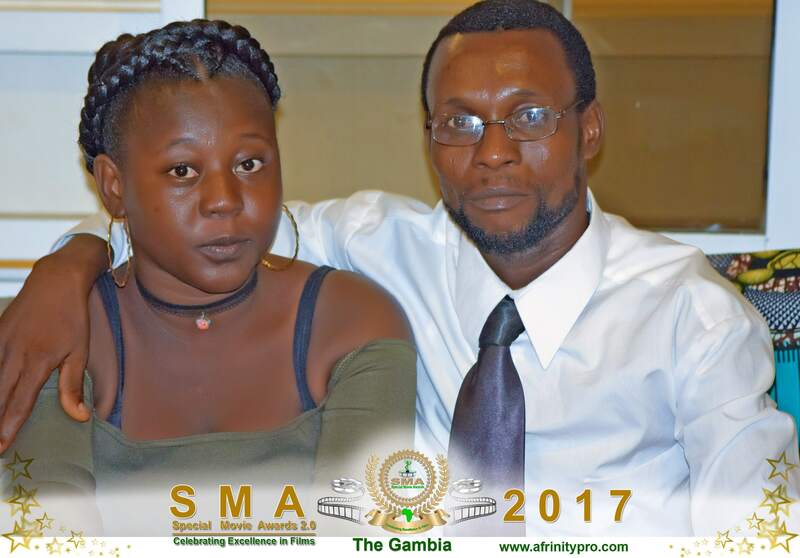 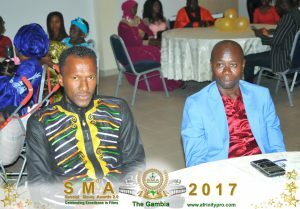 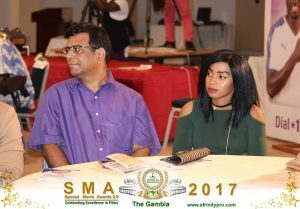 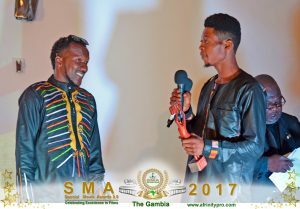 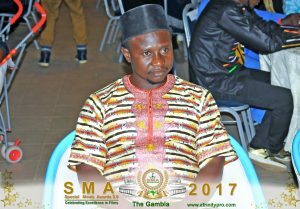 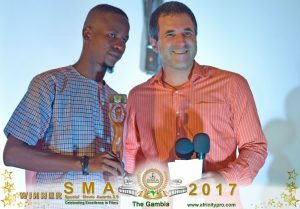 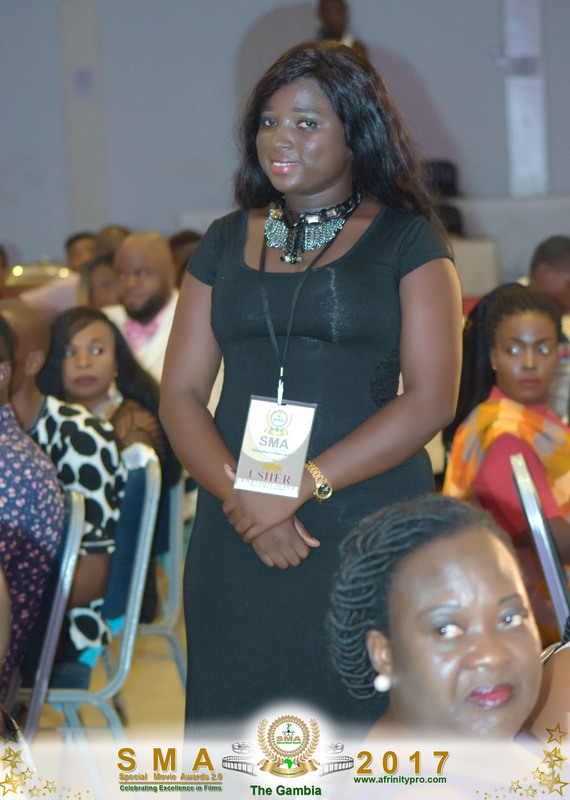 Special Movie Awards second edition was a great success on the 30th of September 2017 at Djembe hotel Senegambia. 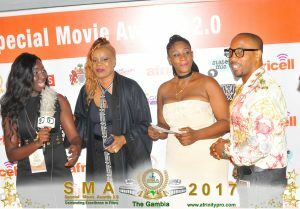 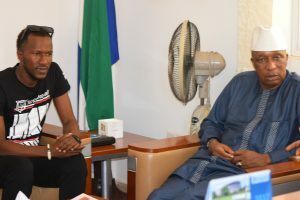 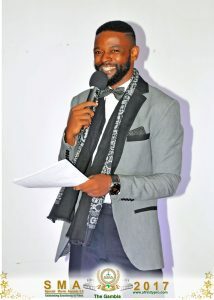 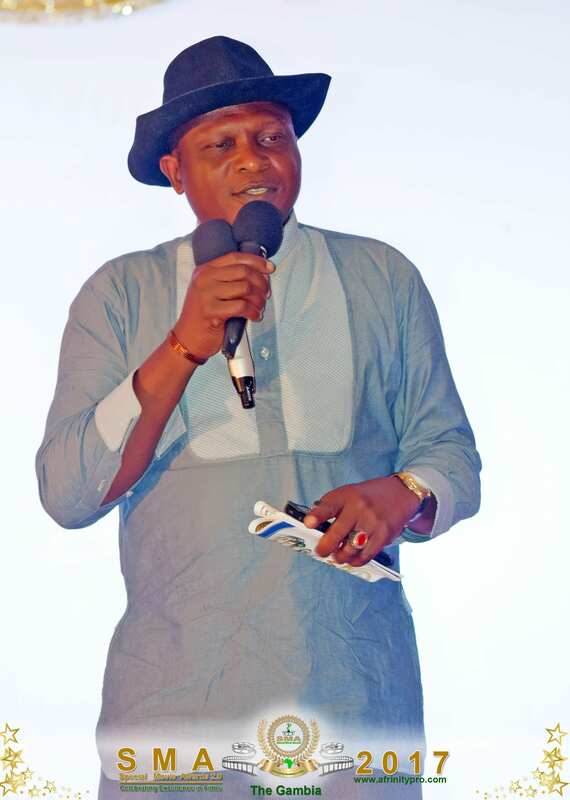 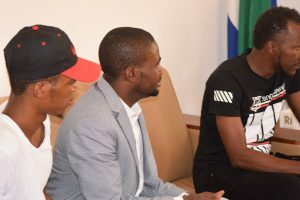 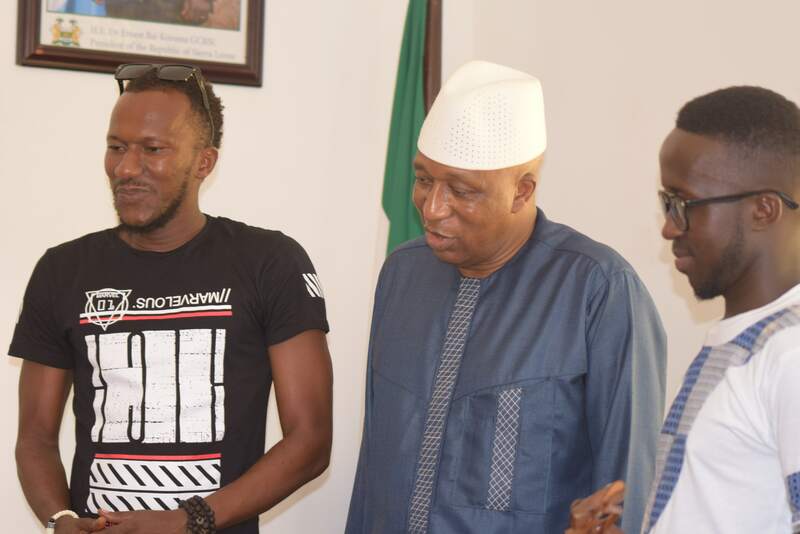 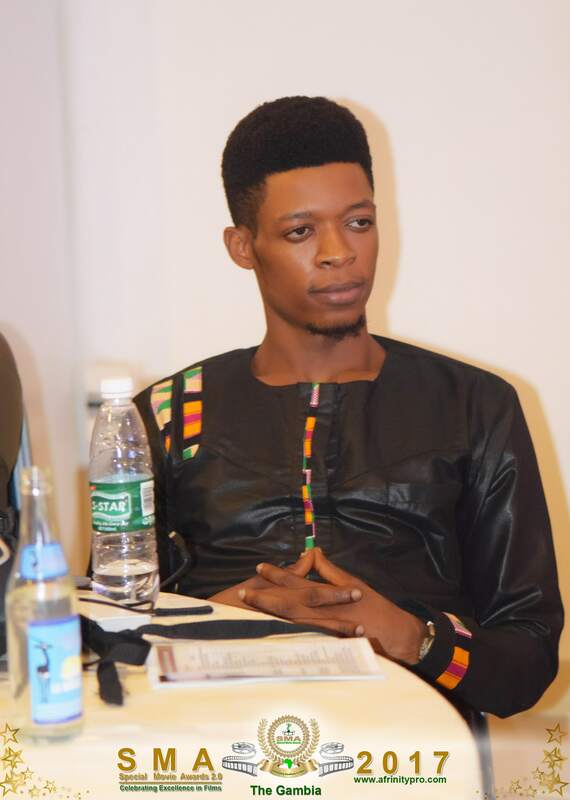 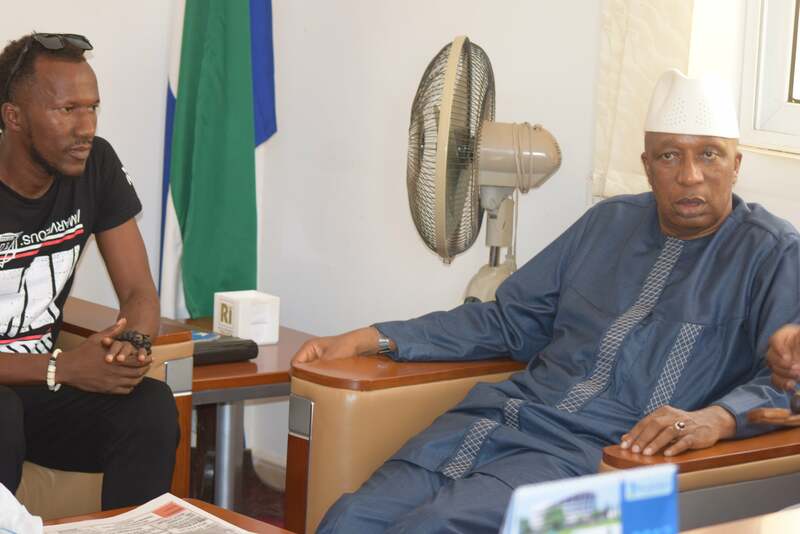 The event was graced by Government officials, Film Makers, Actors and Actresses, Heads of institution, Private/ cooperate bodies and other sophisticated guests. 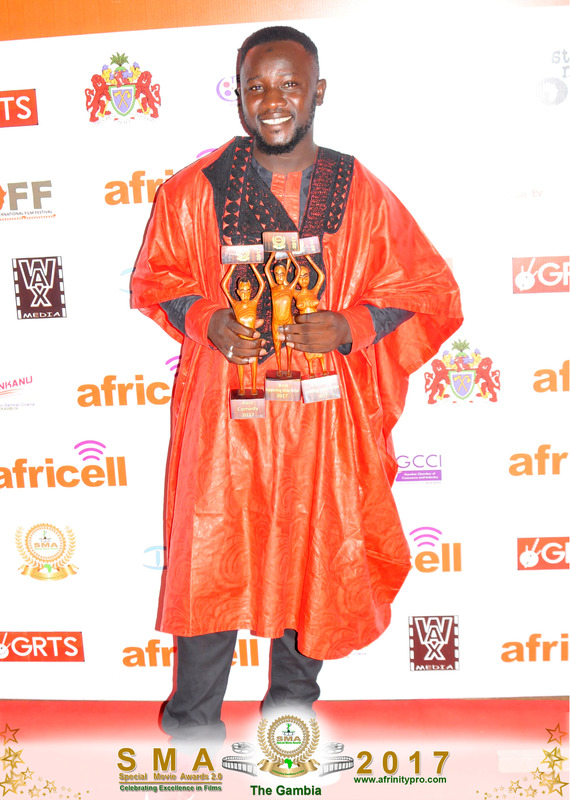 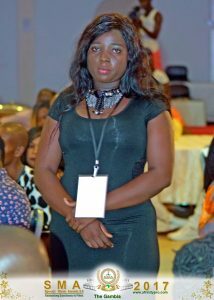 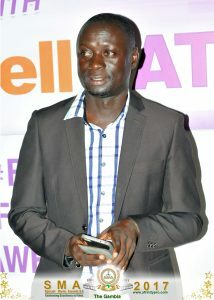 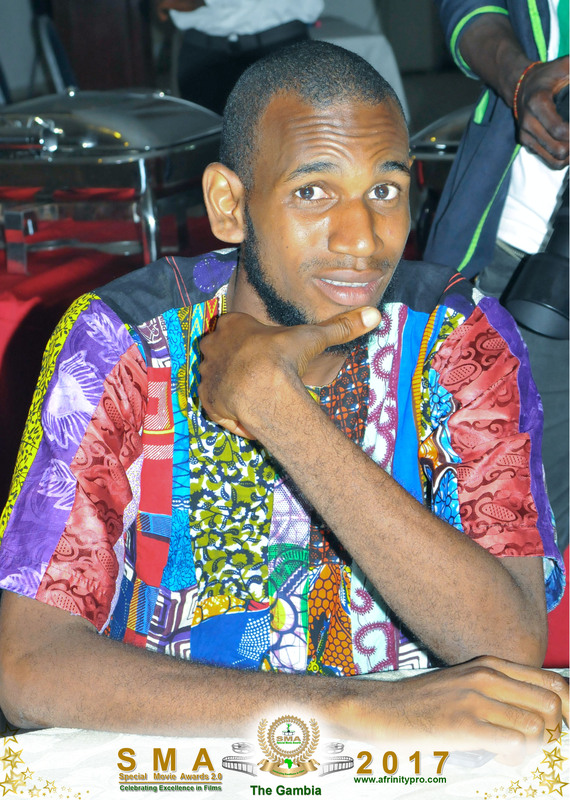 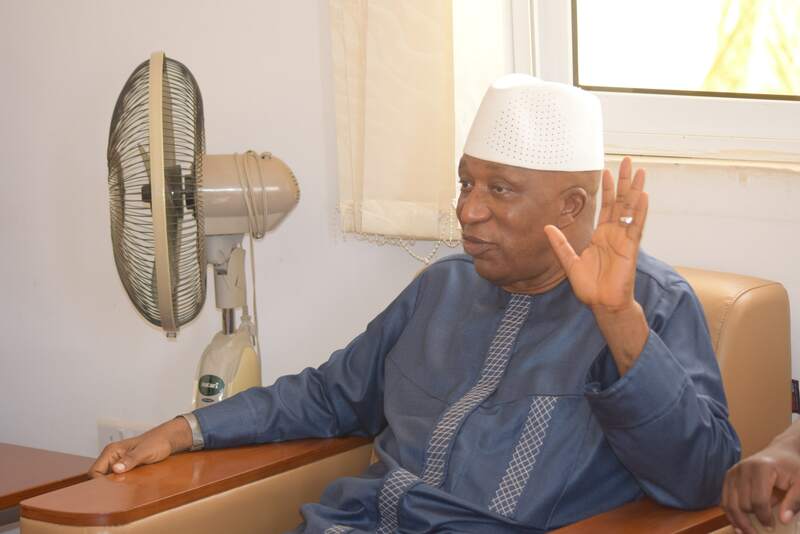 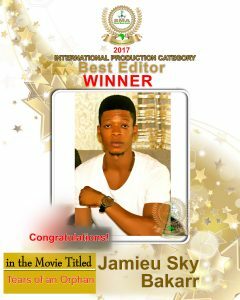 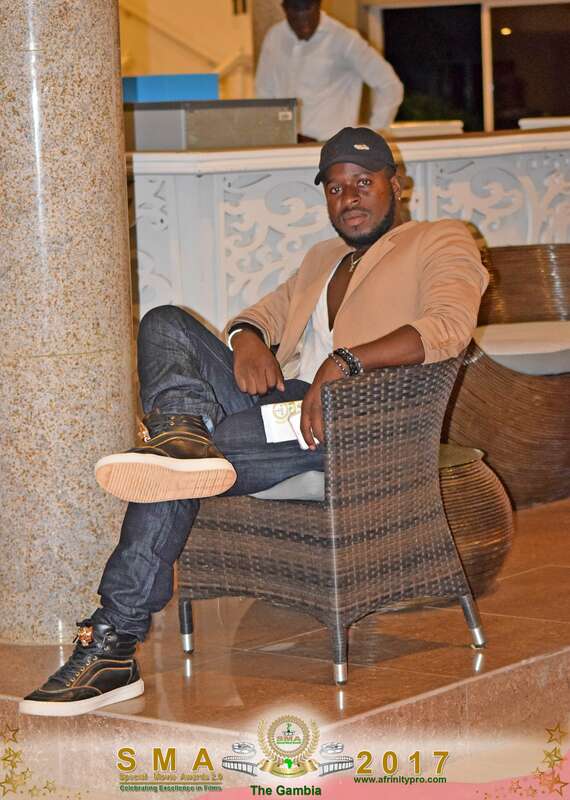 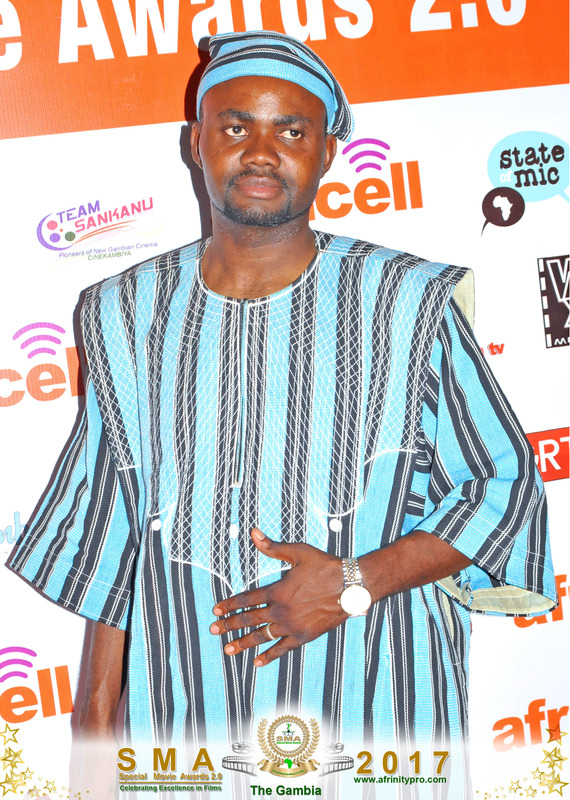 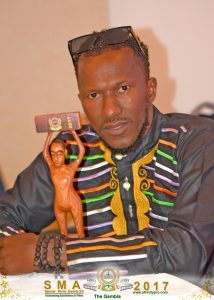 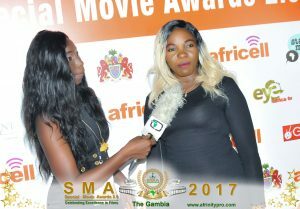 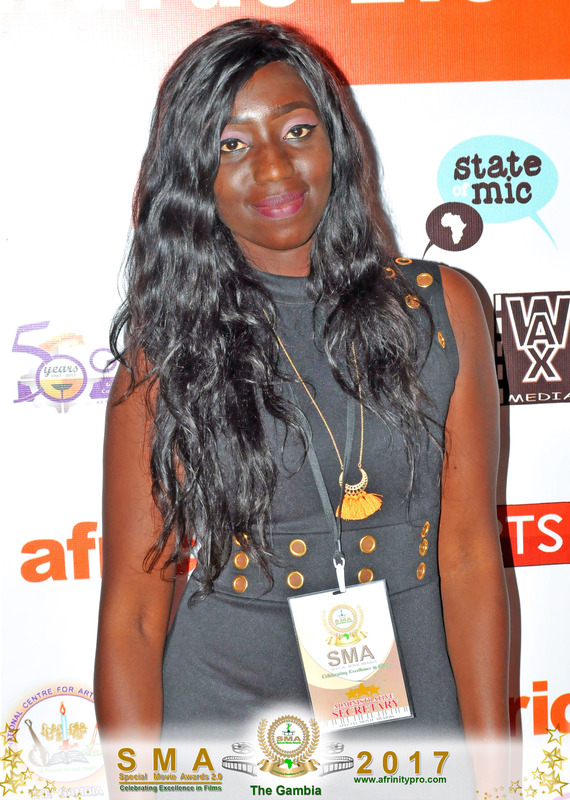 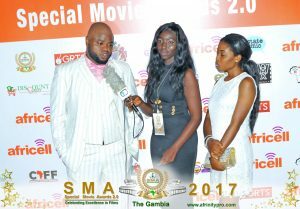 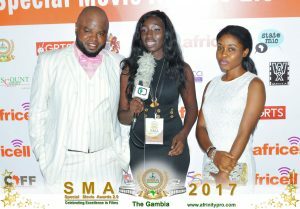 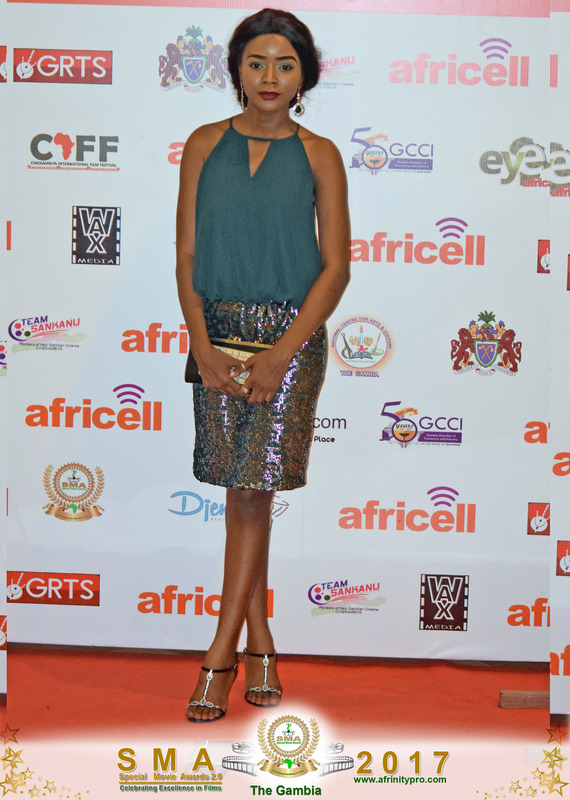 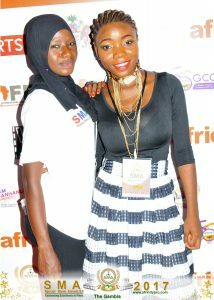 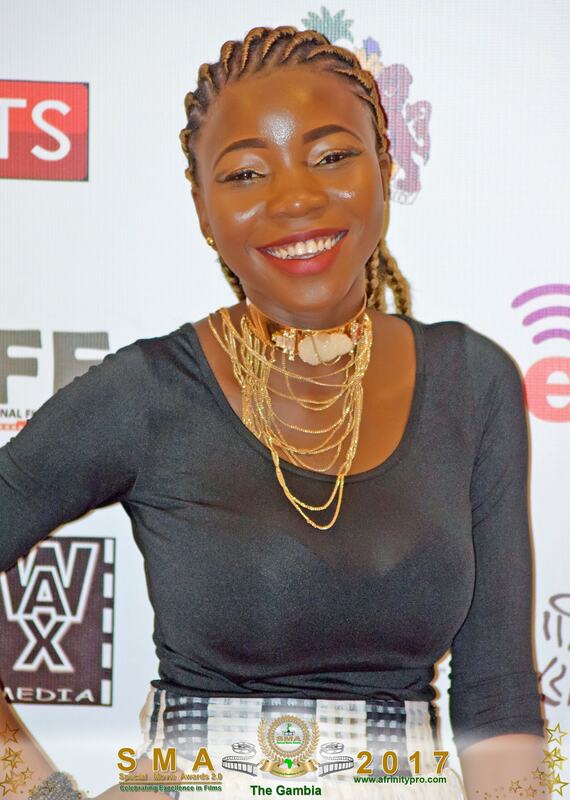 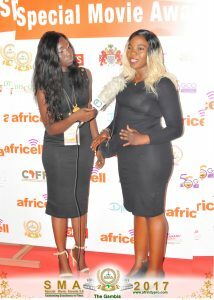 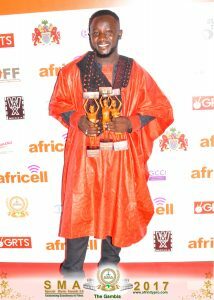 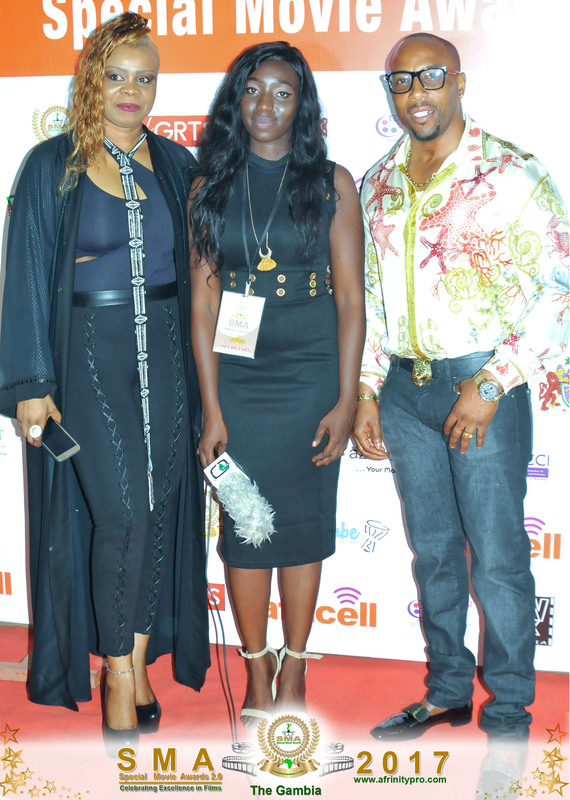 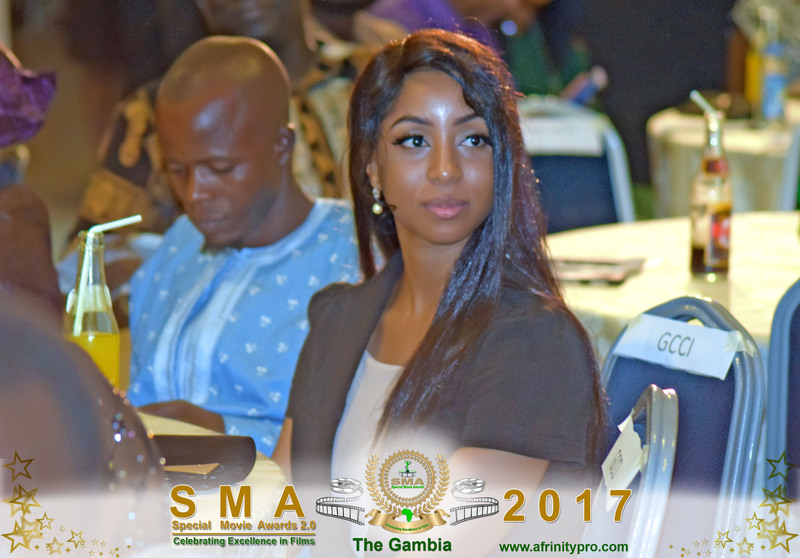 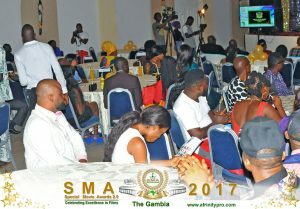 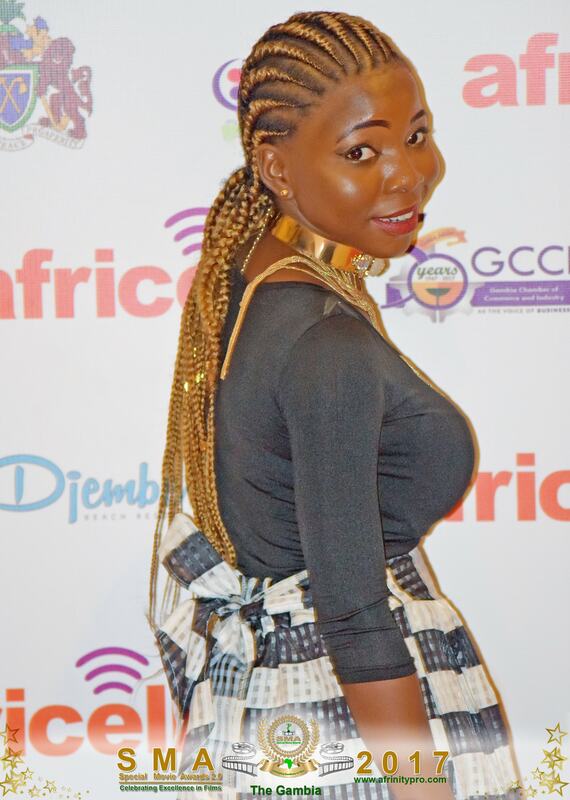 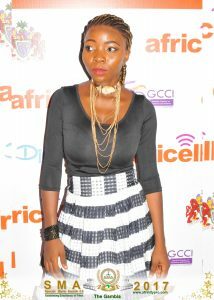 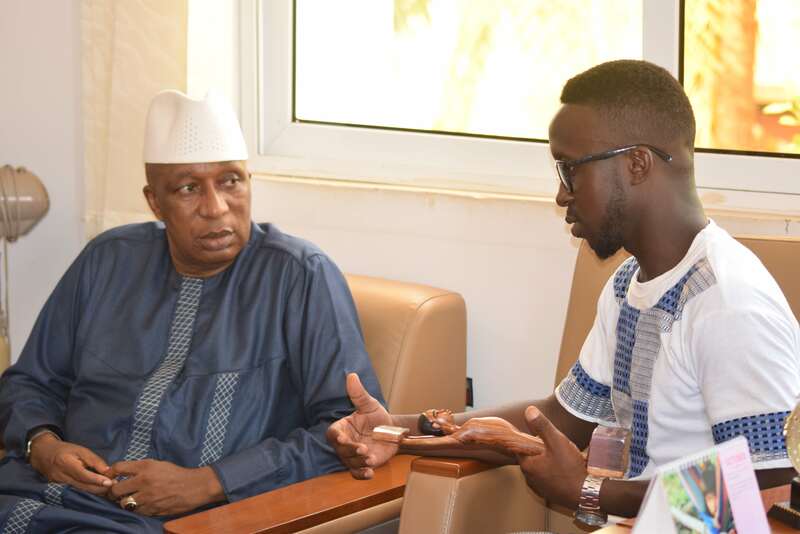 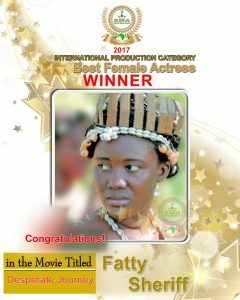 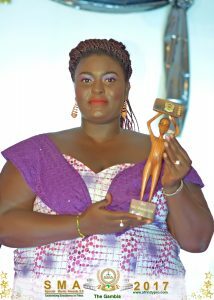 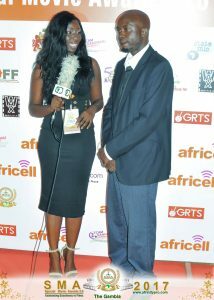 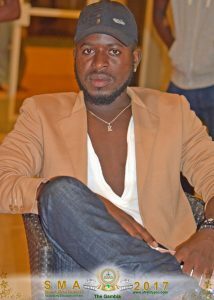 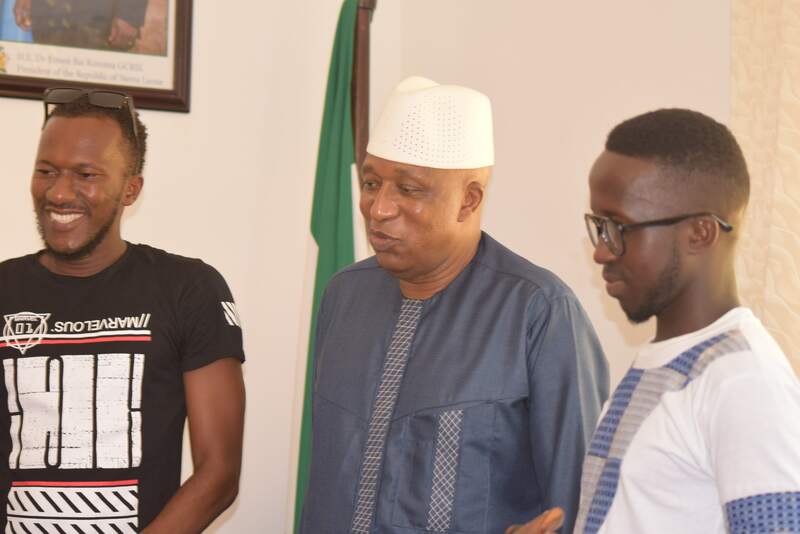 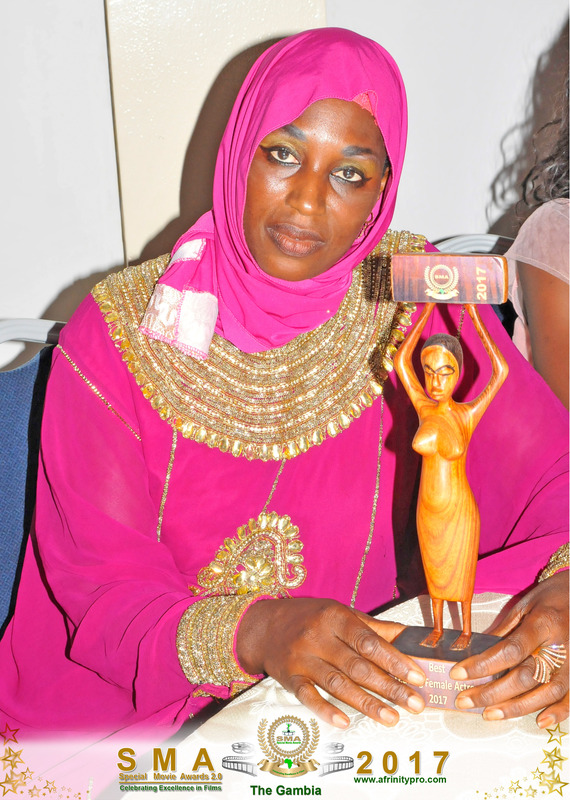 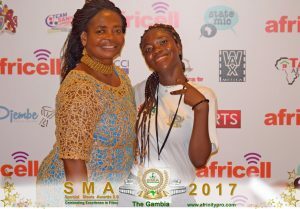 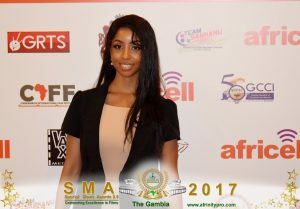 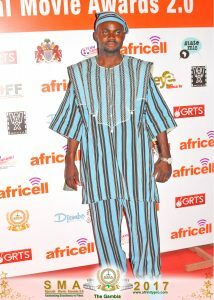 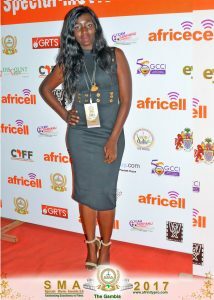 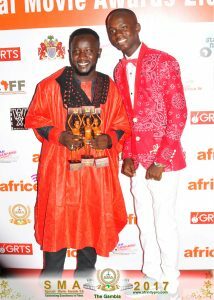 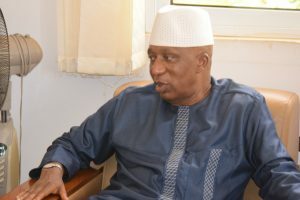 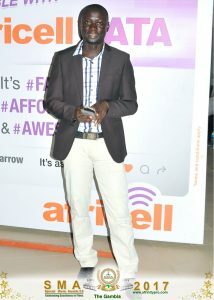 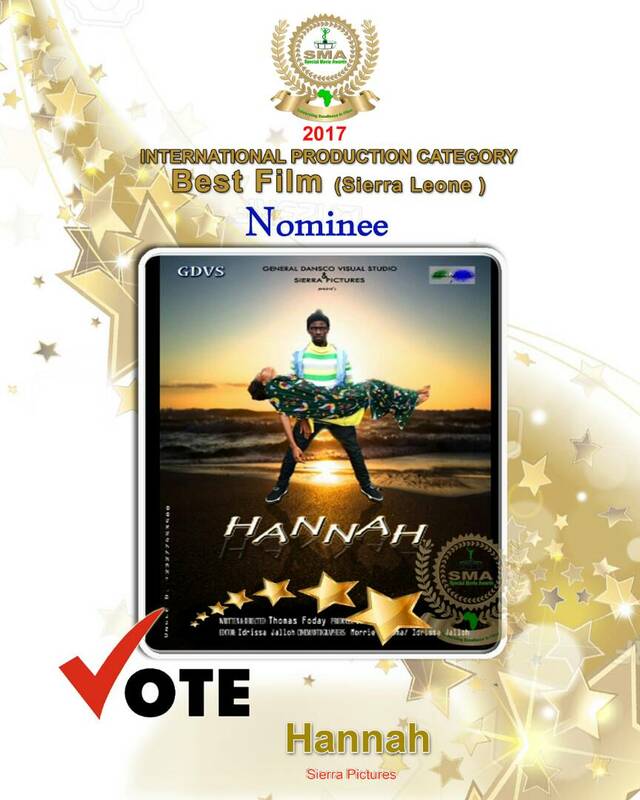 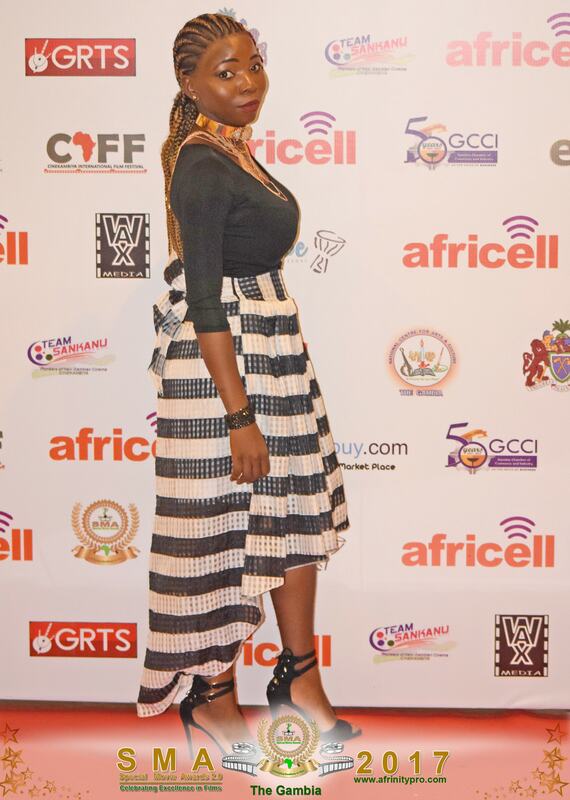 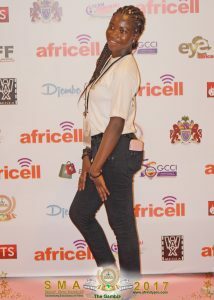 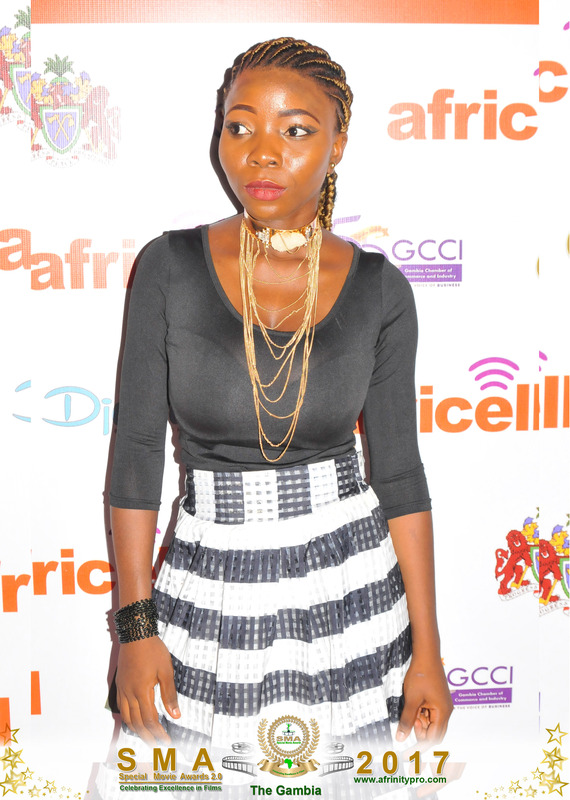 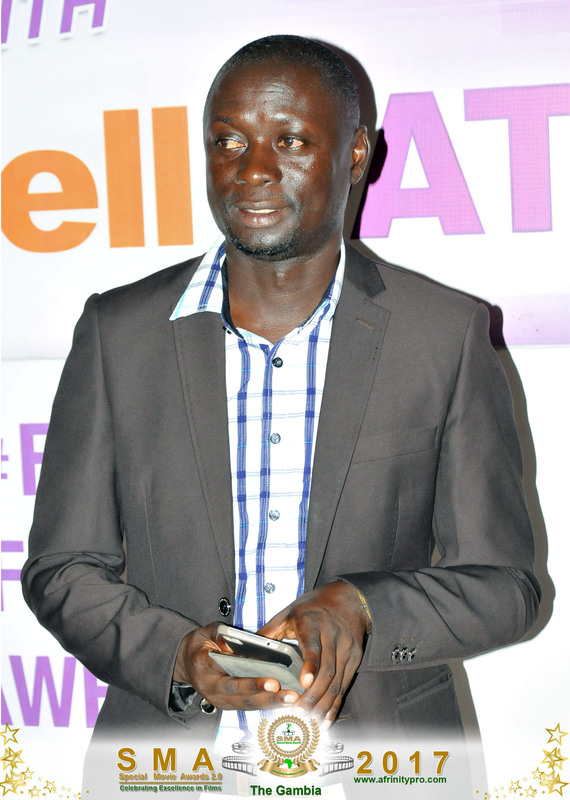 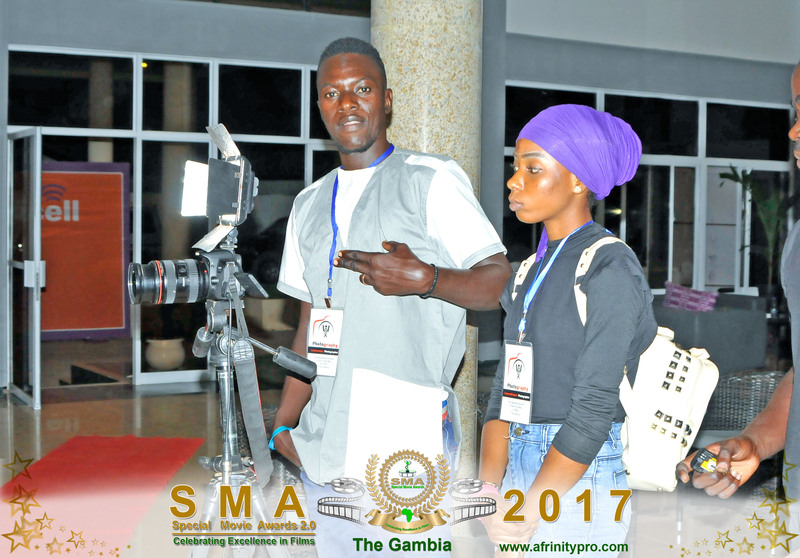 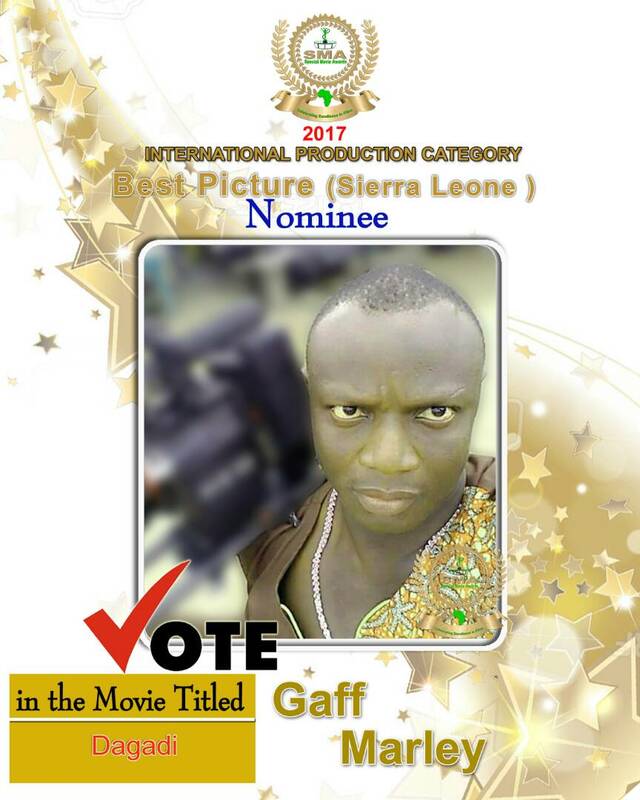 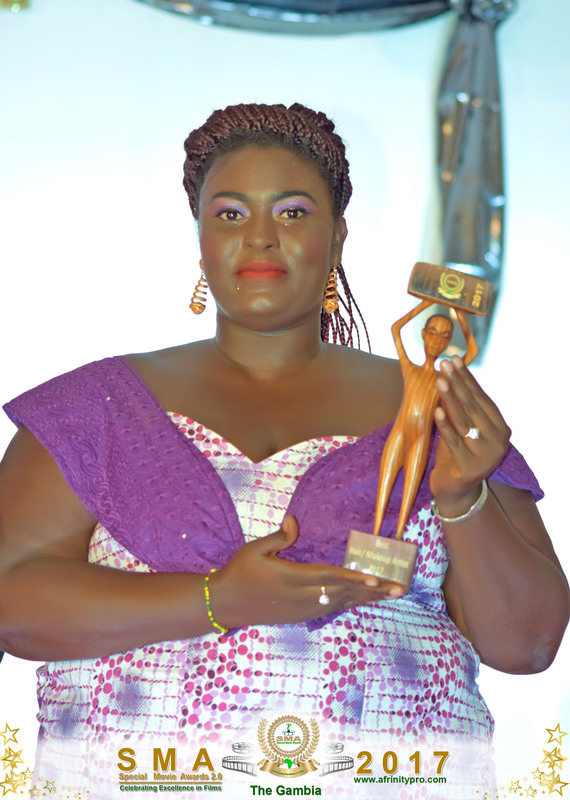 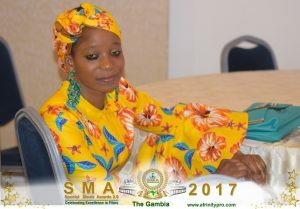 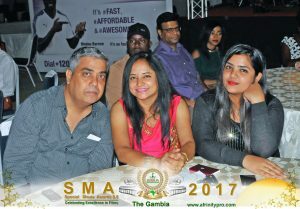 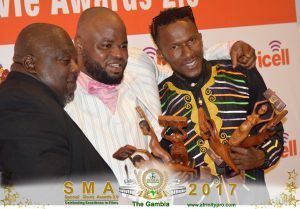 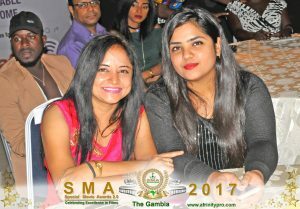 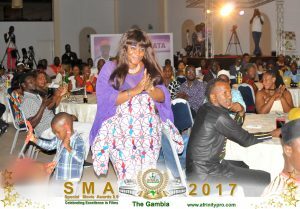 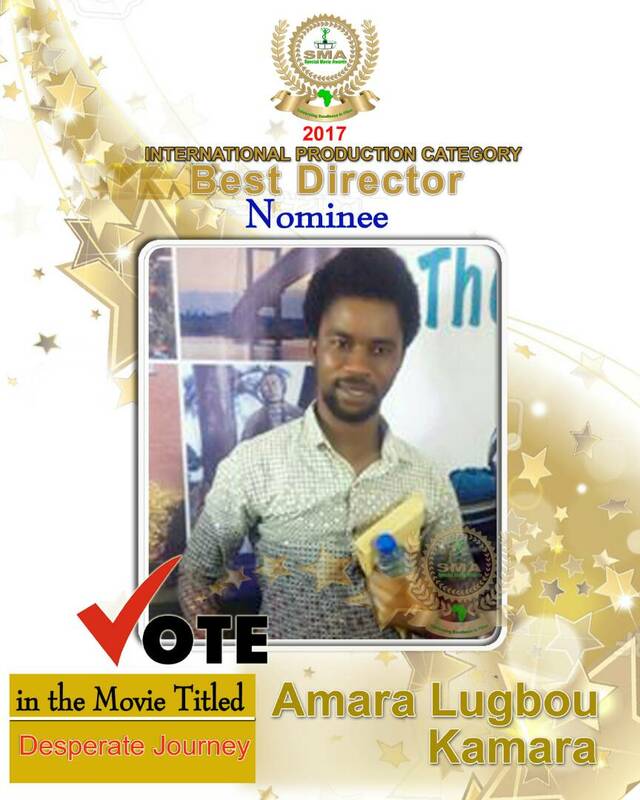 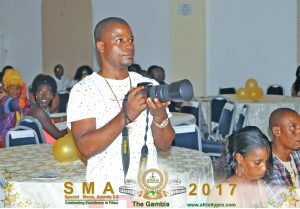 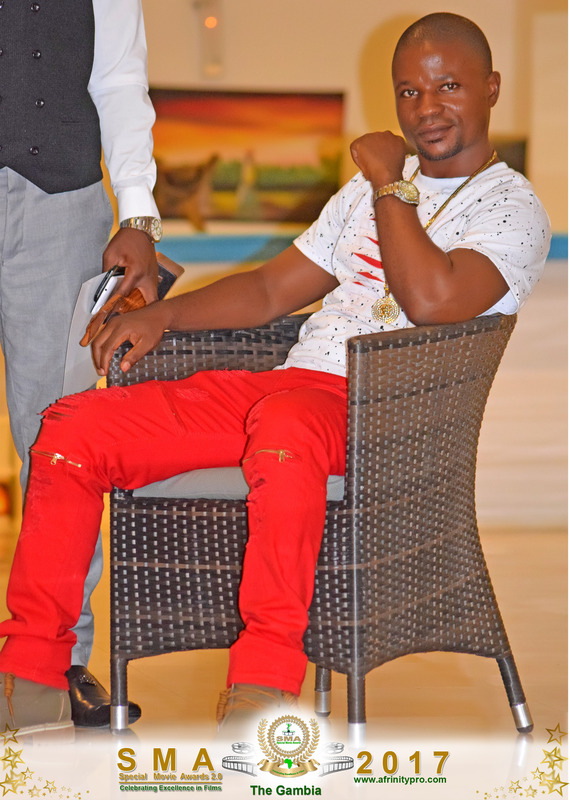 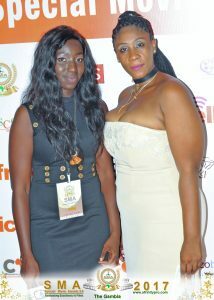 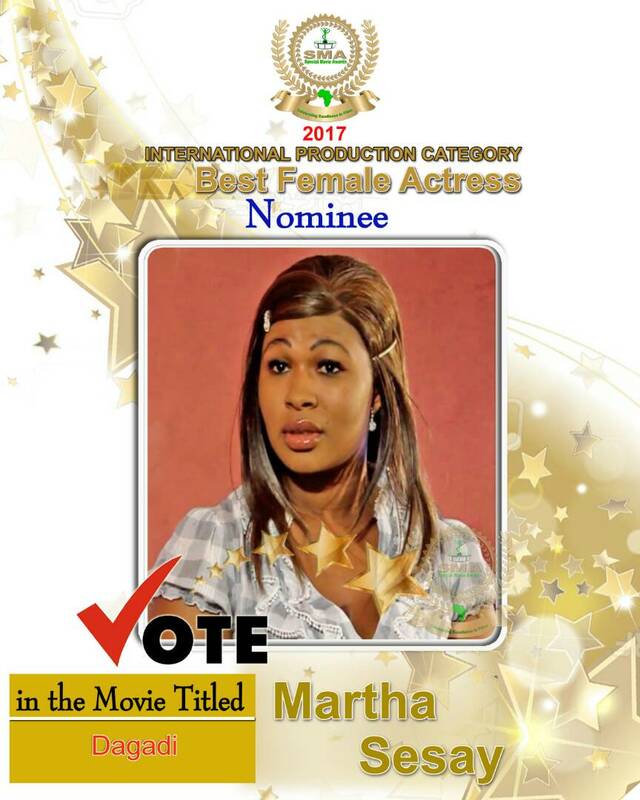 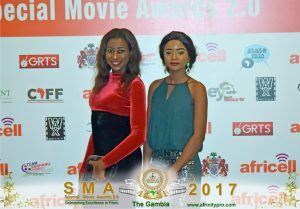 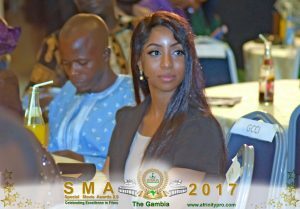 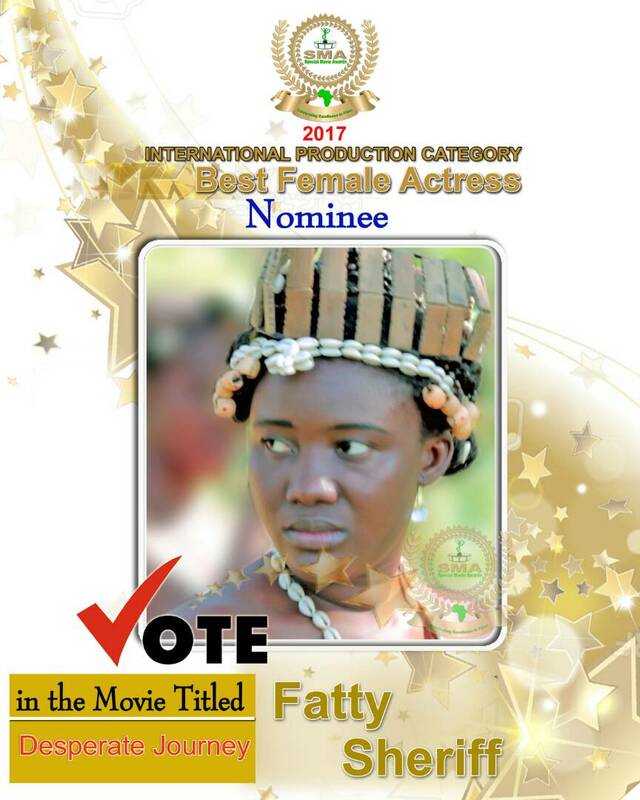 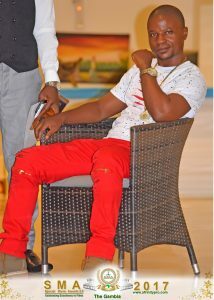 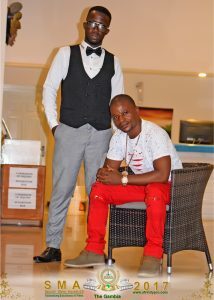 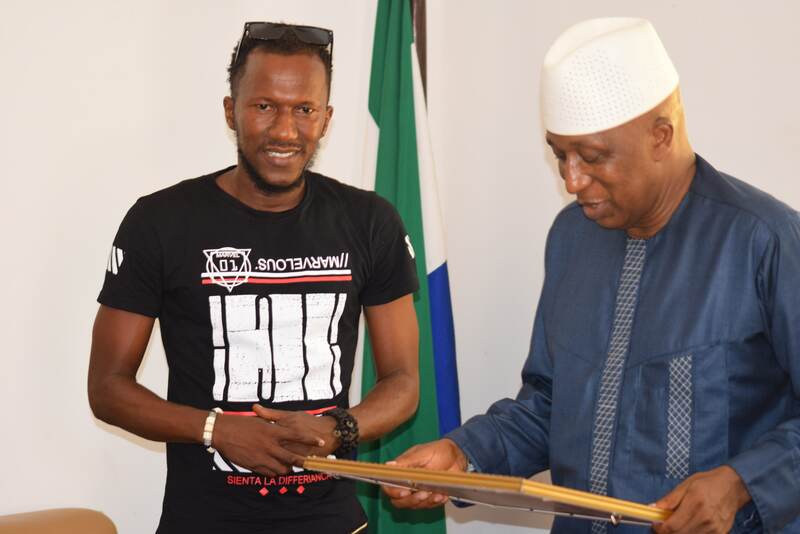 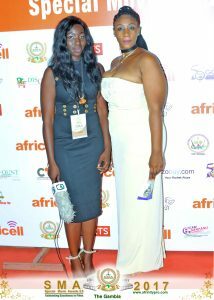 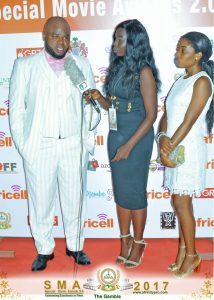 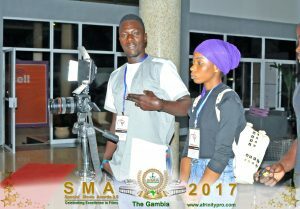 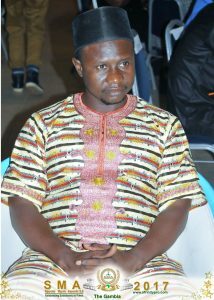 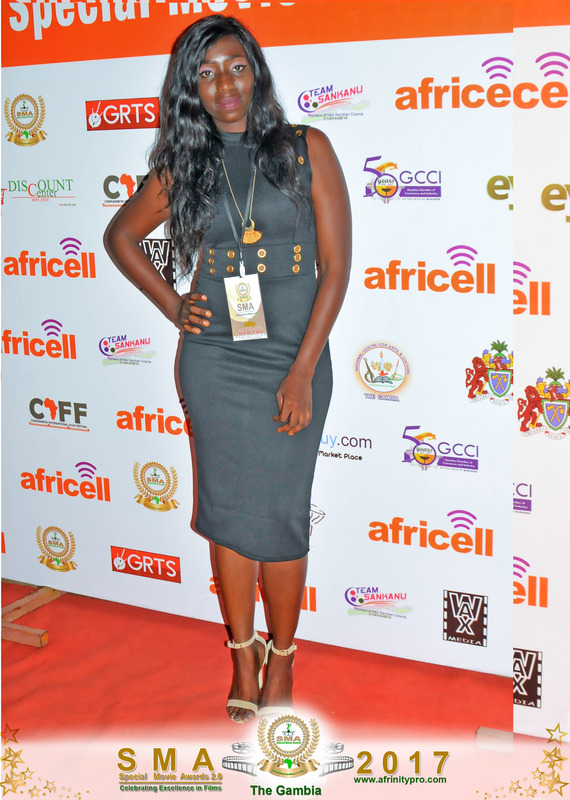 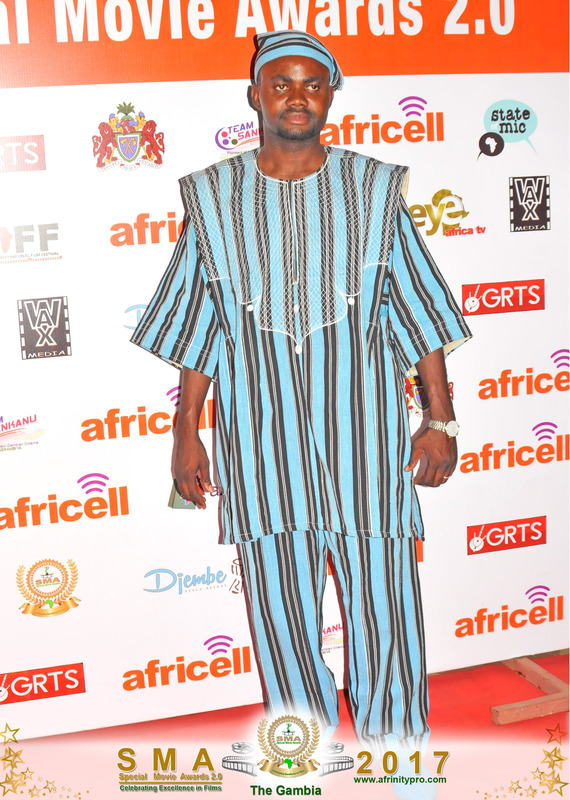 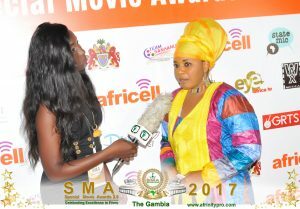 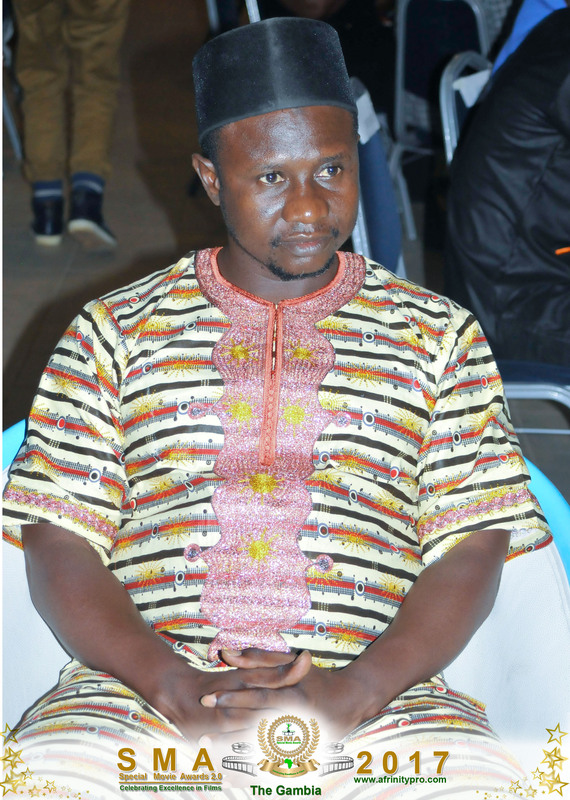 The memorable night was filled glitz, glamour and paparazzi as it generated a fantastic exposure for movie makers in the Gambia and beyond. 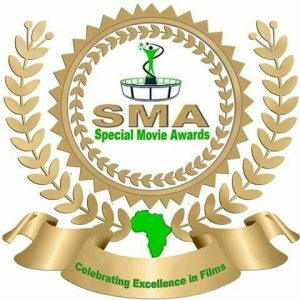 Out of 48 nominees, 16 lucky winners went home with beautiful SMA awards for the 16 different categories. 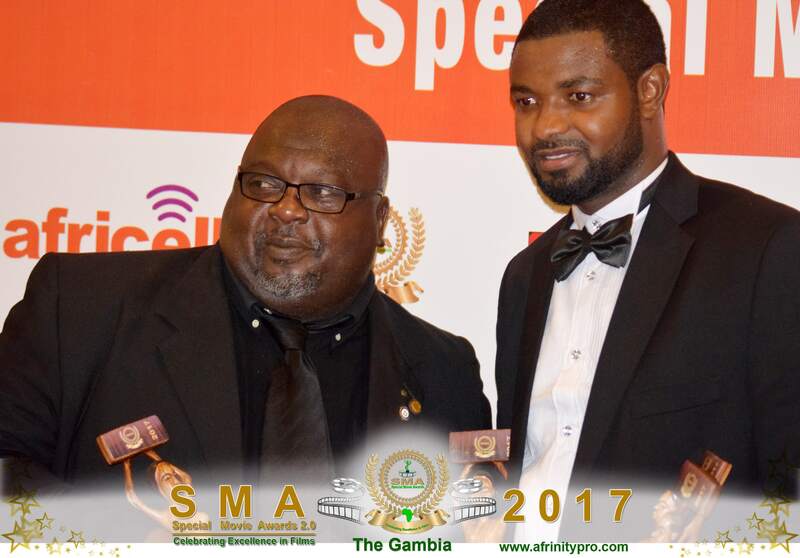 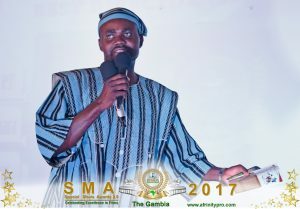 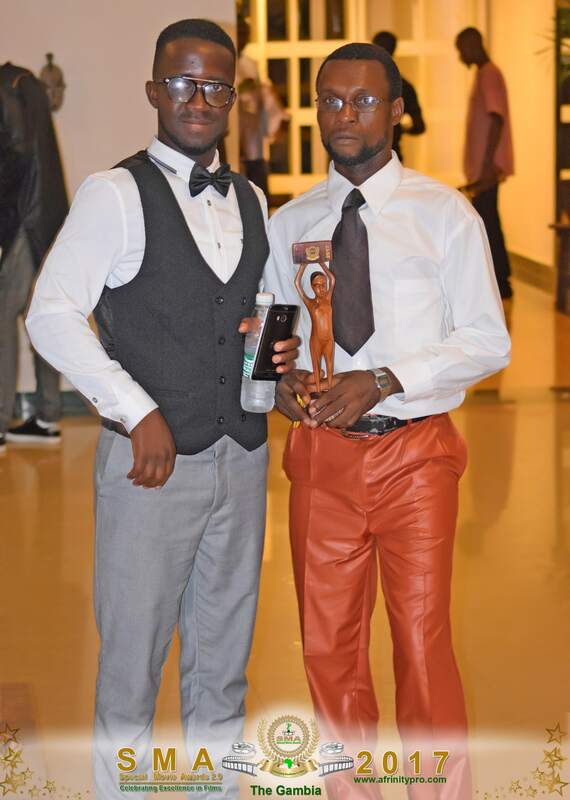 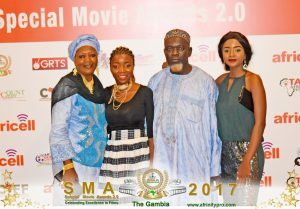 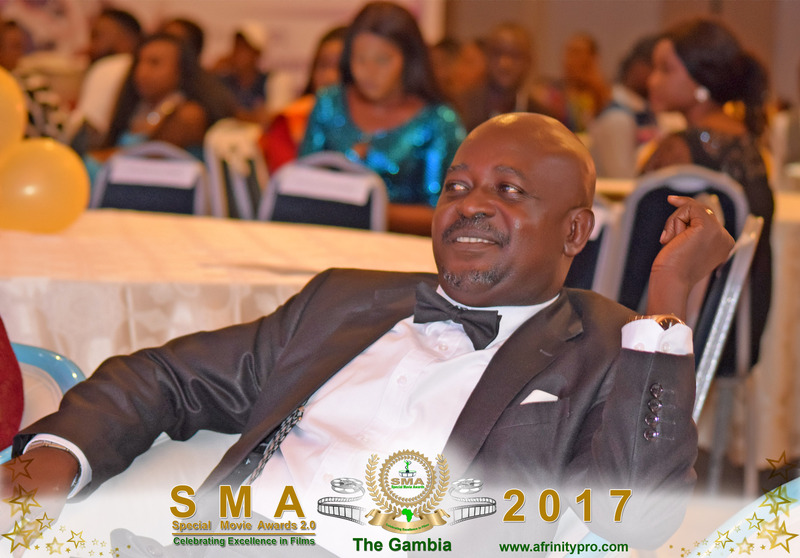 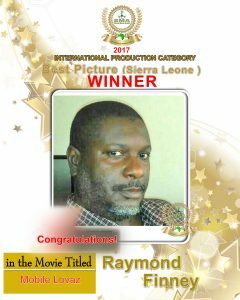 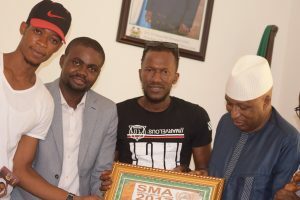 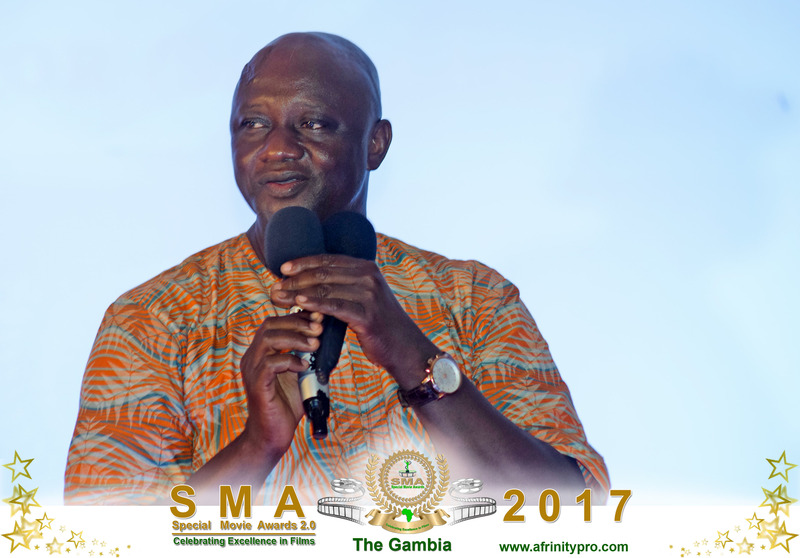 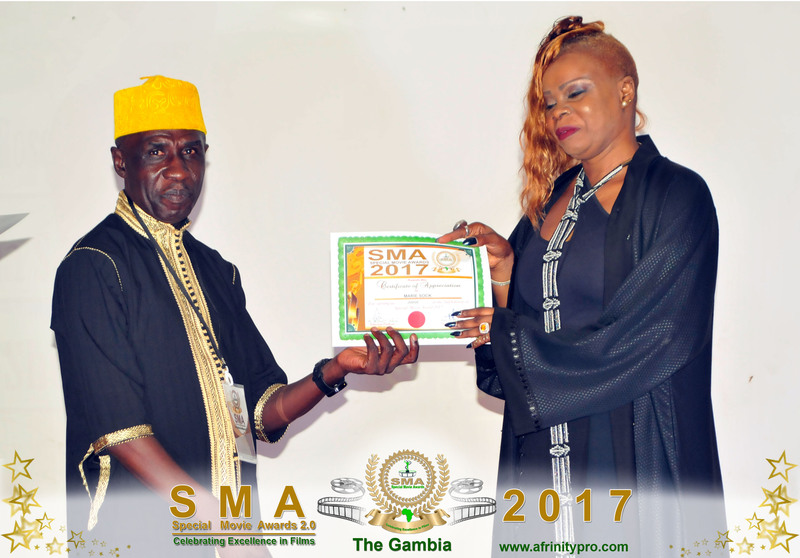 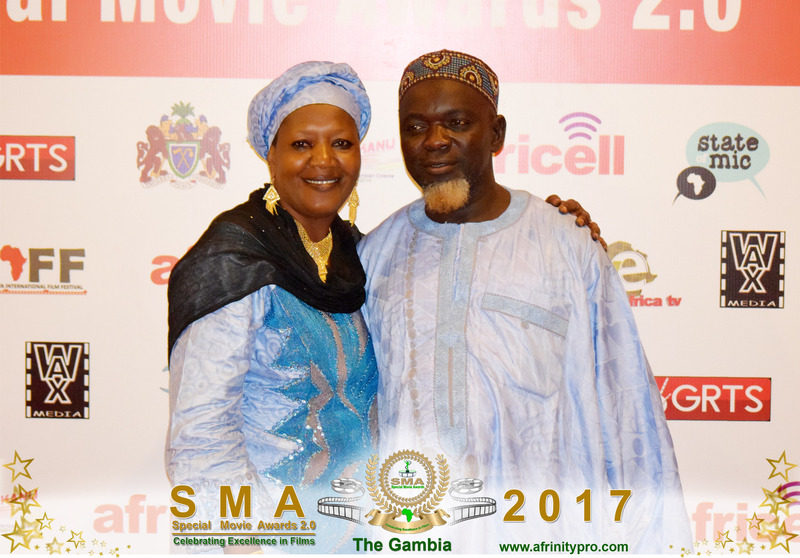 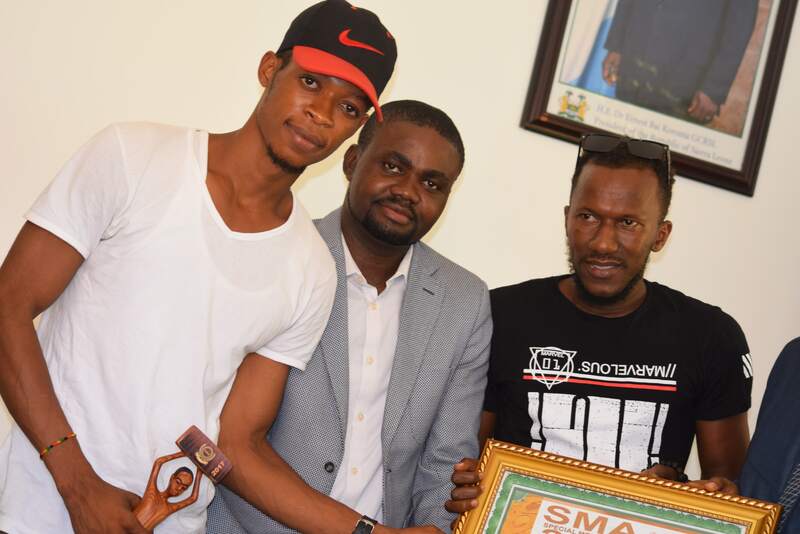 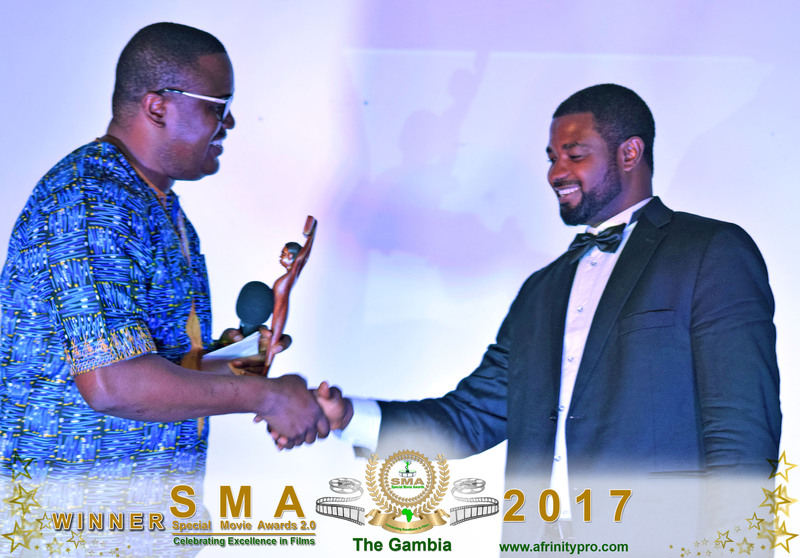 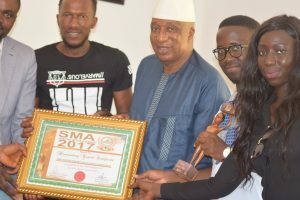 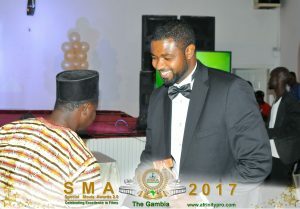 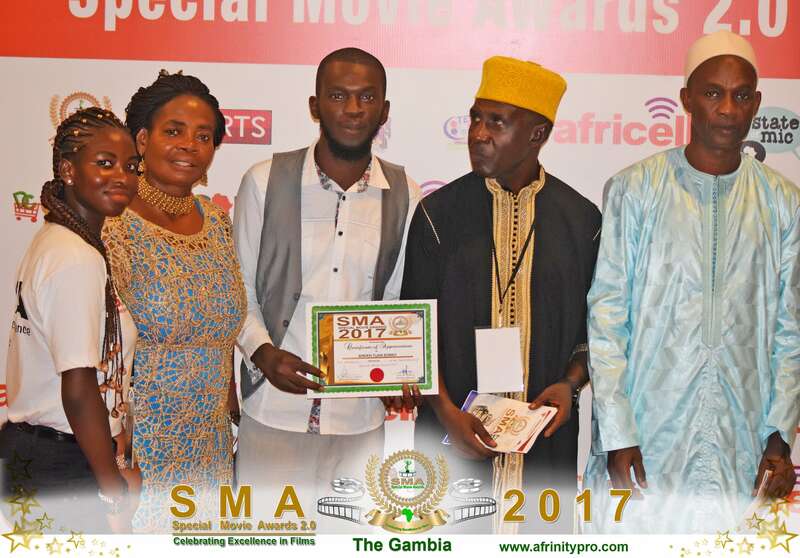 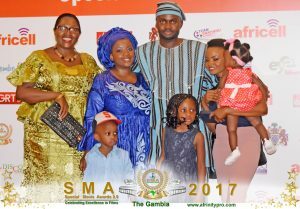 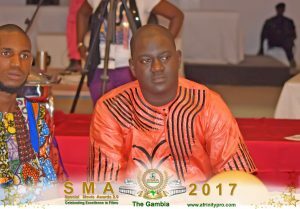 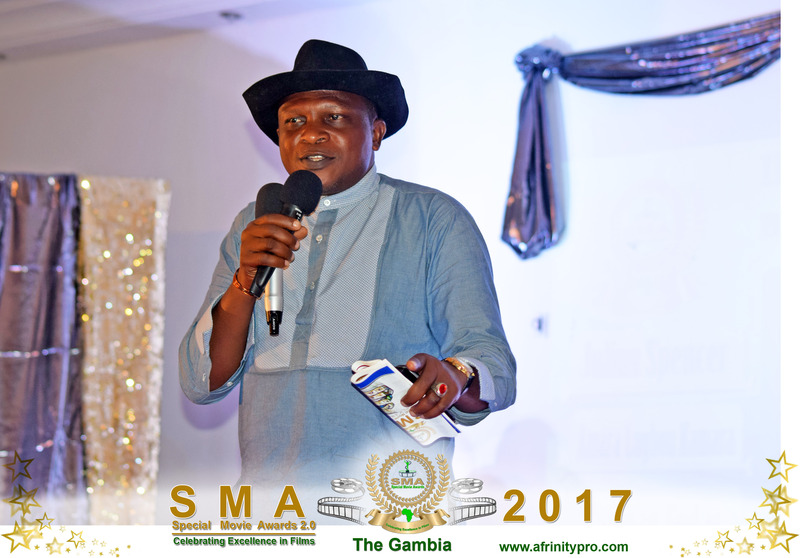 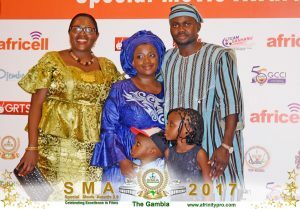 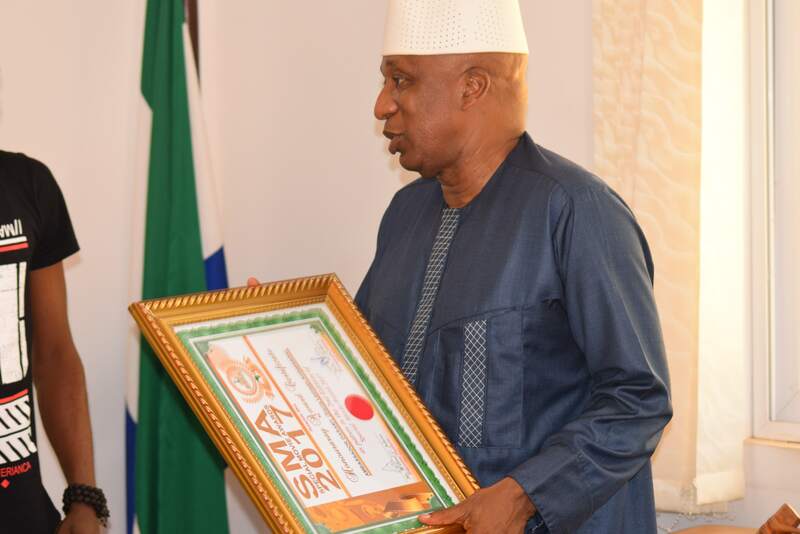 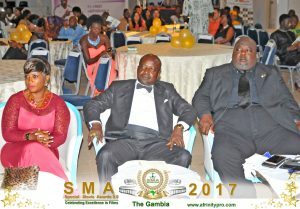 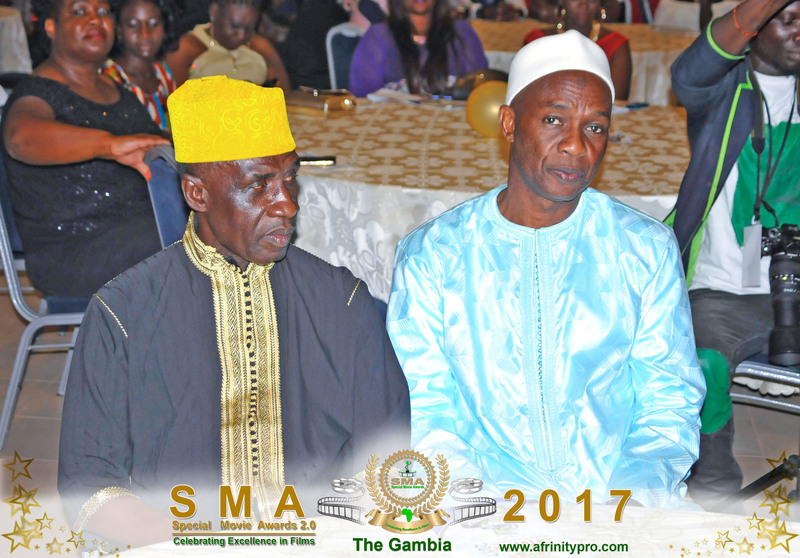 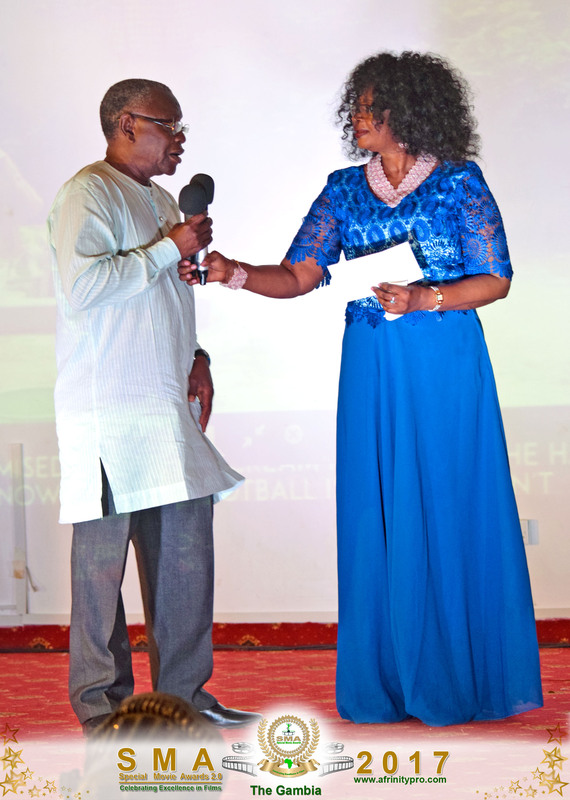 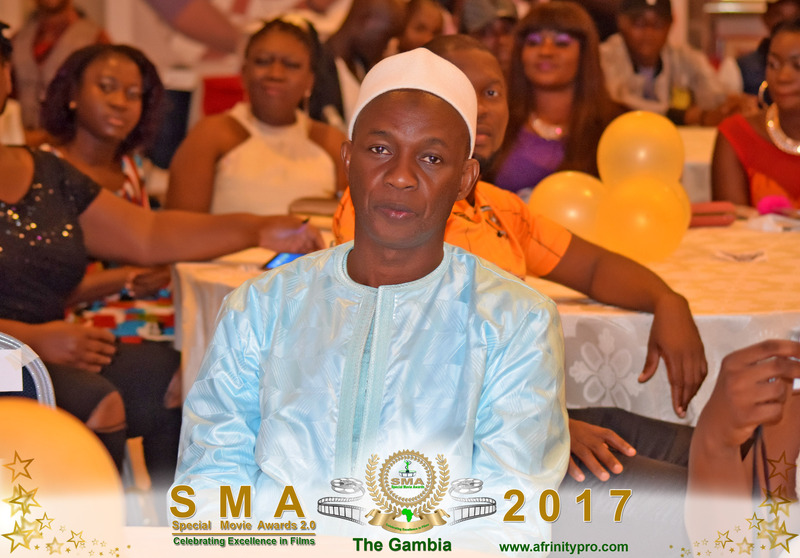 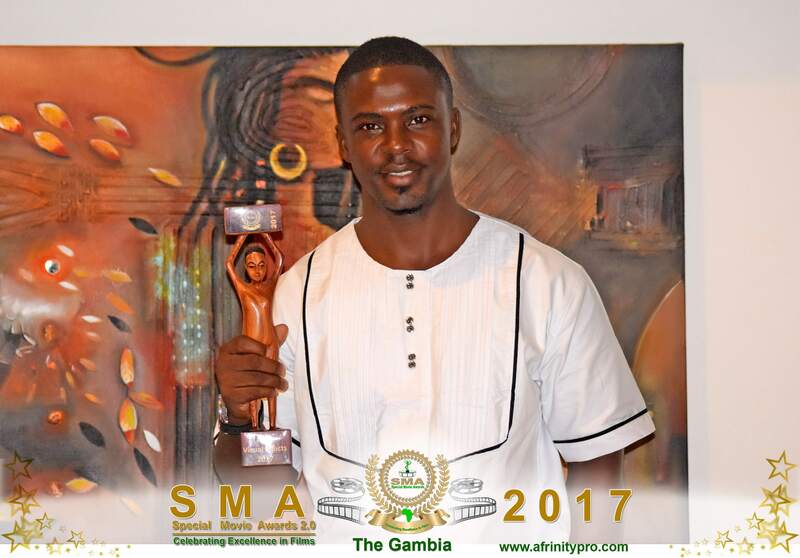 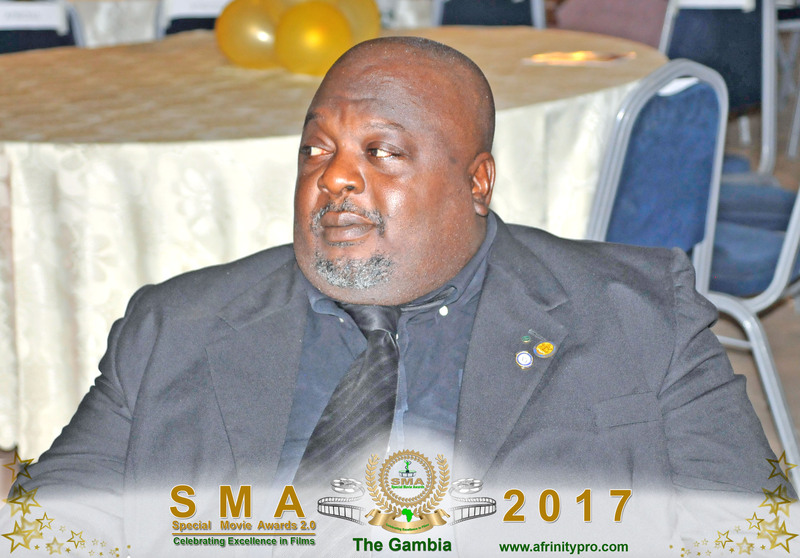 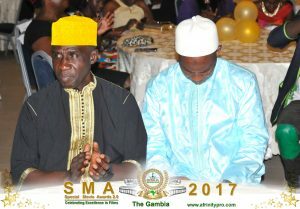 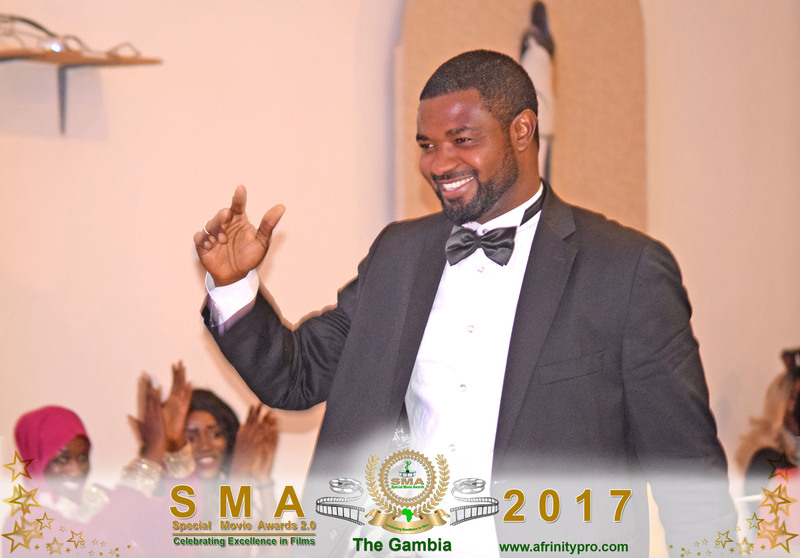 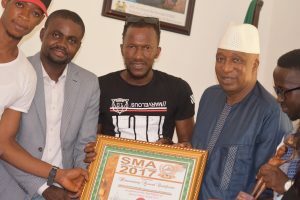 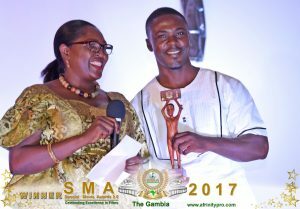 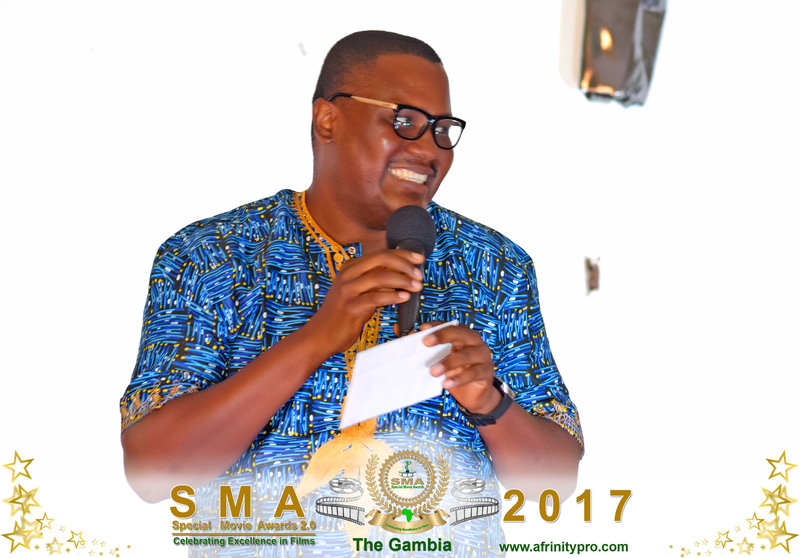 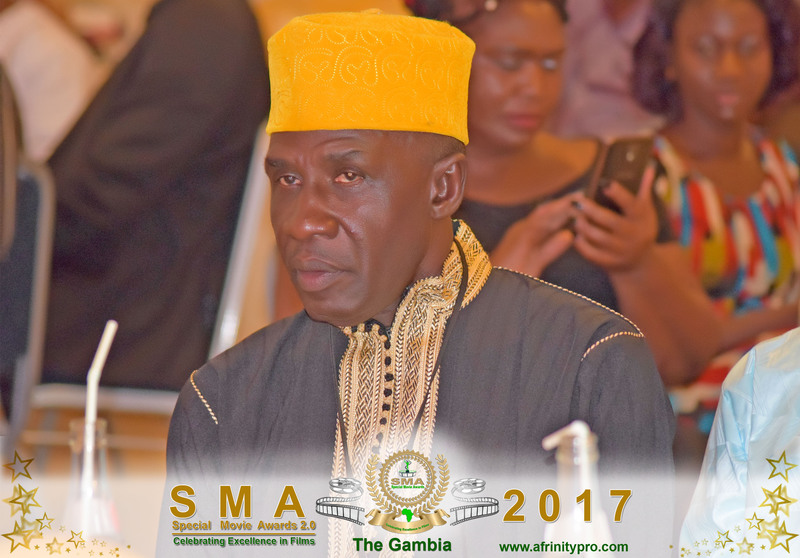 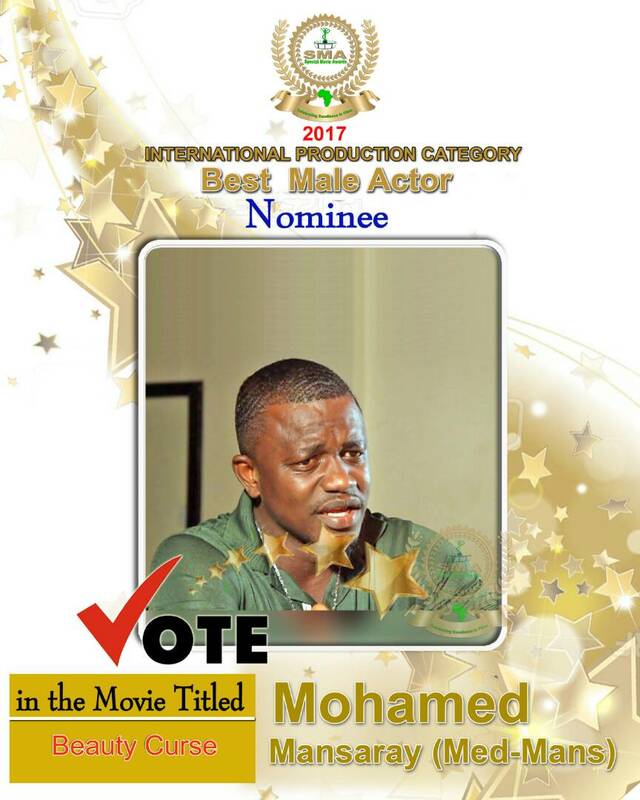 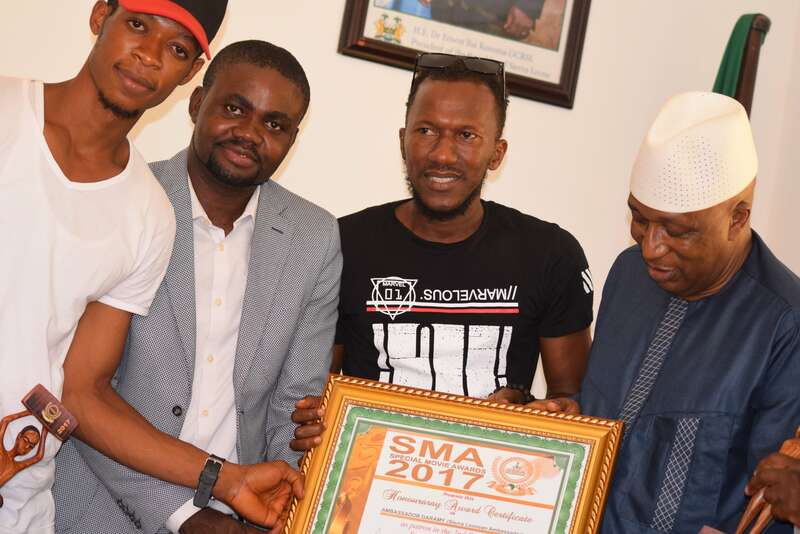 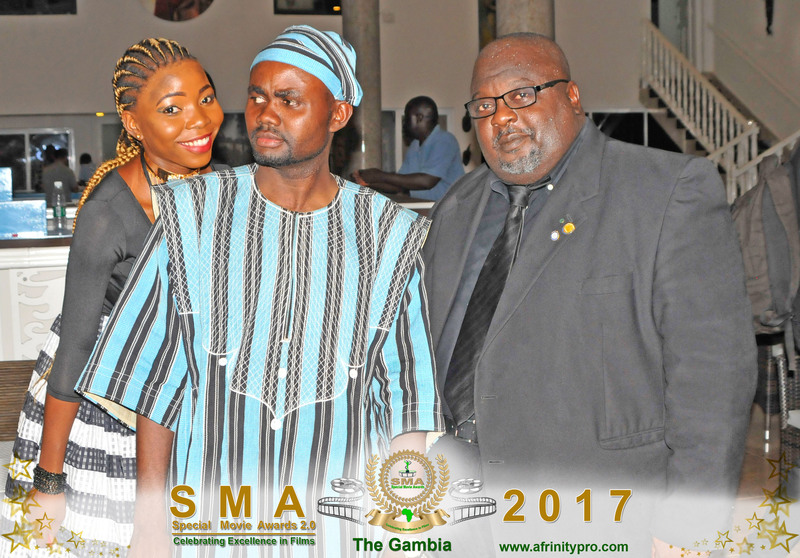 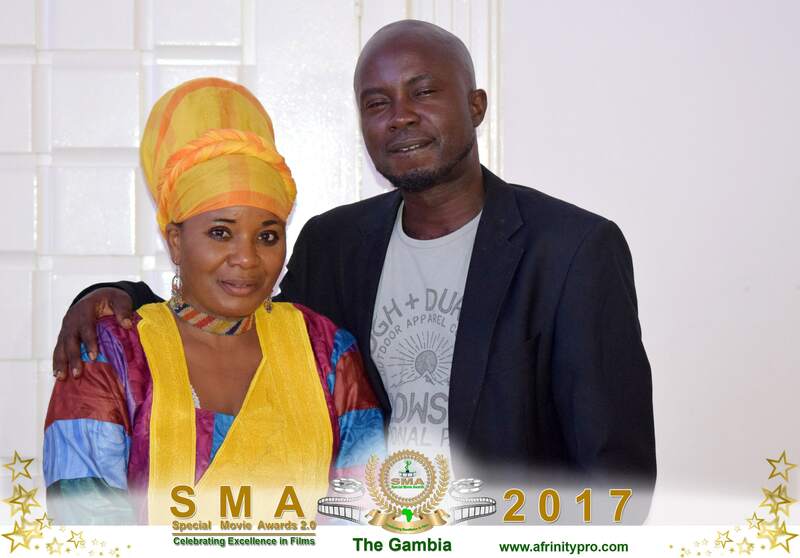 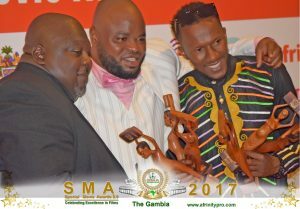 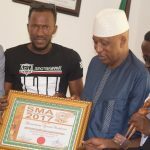 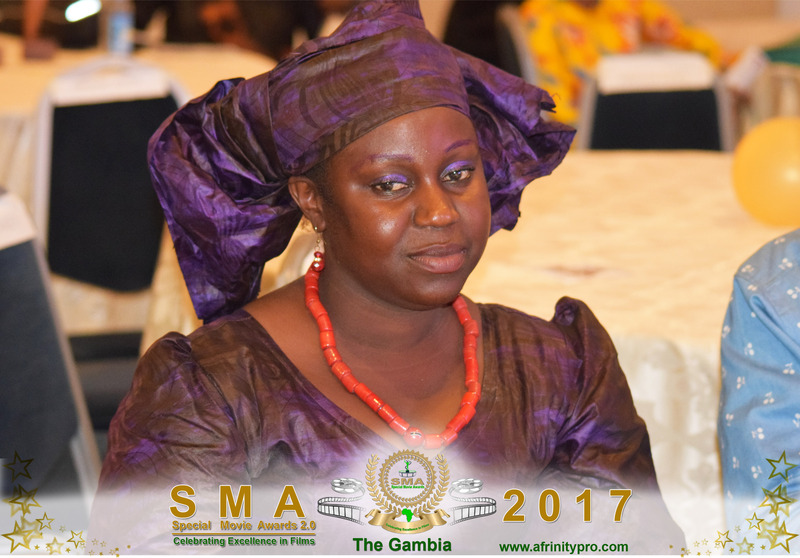 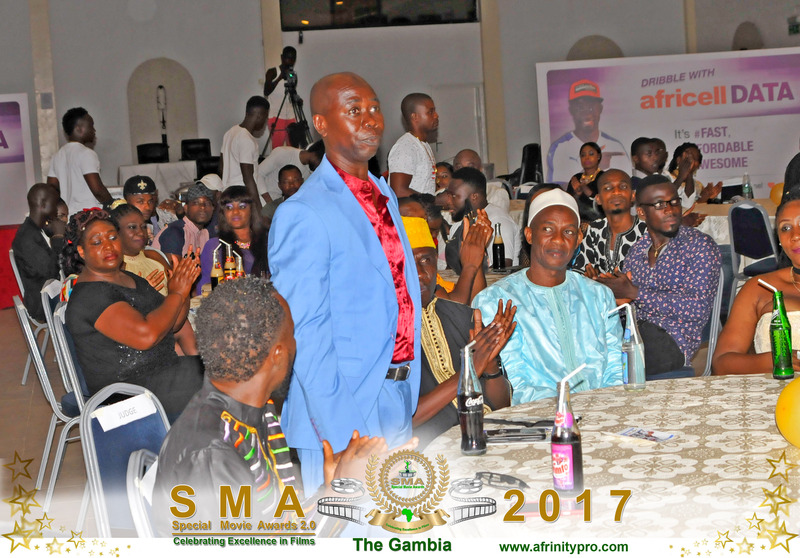 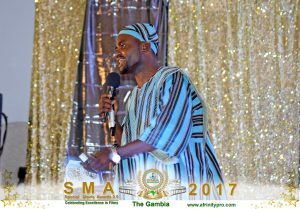 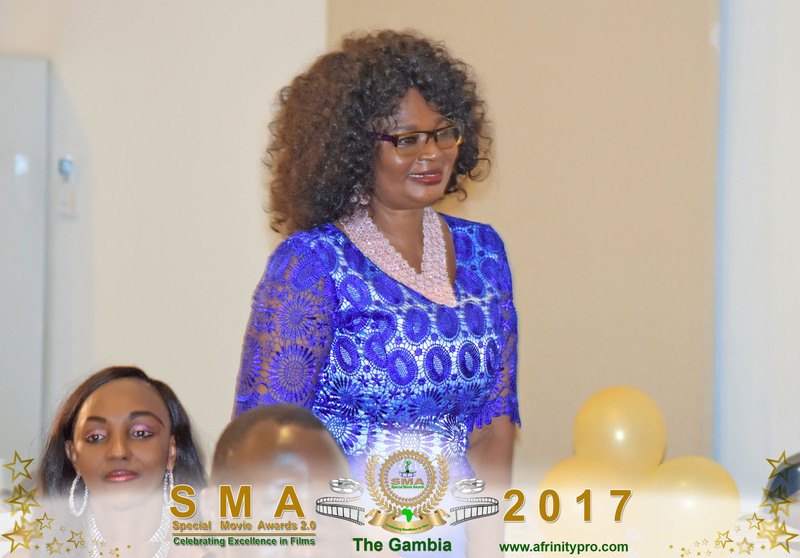 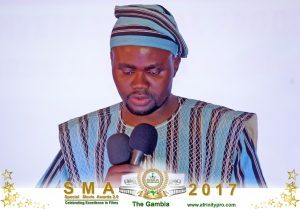 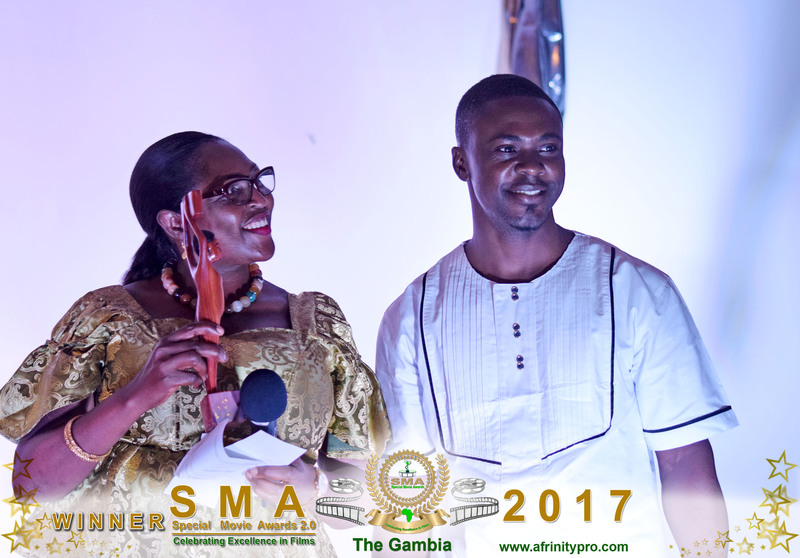 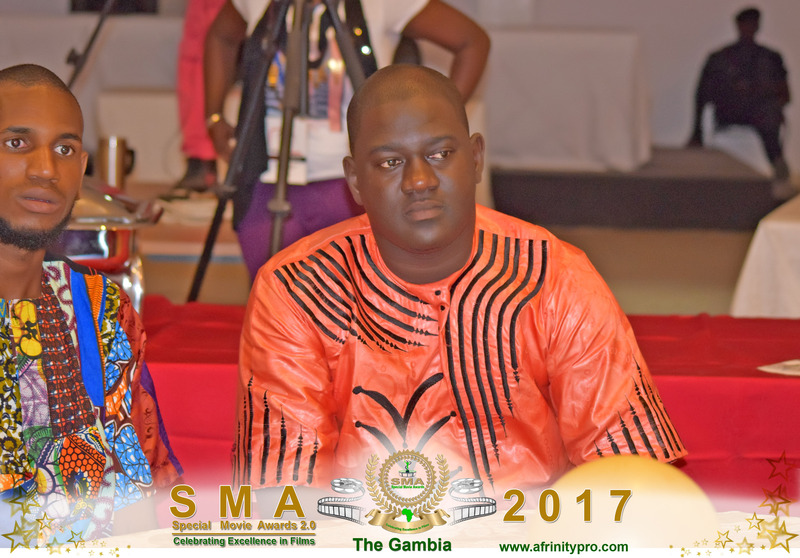 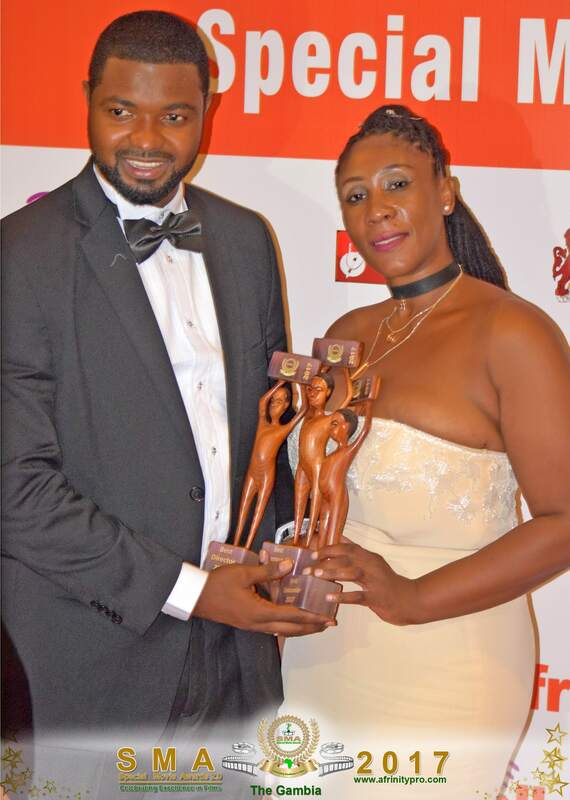 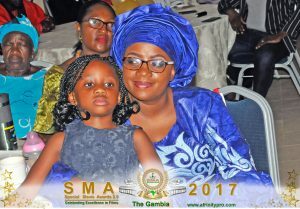 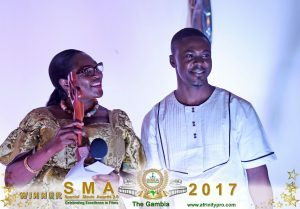 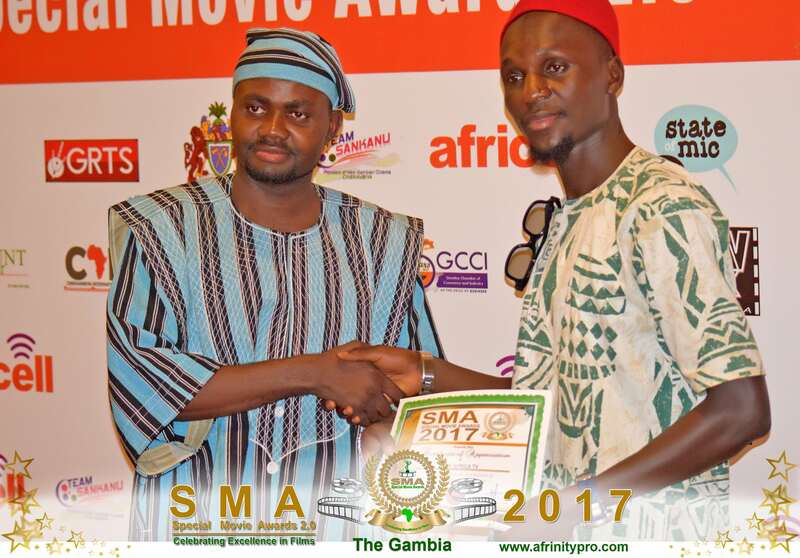 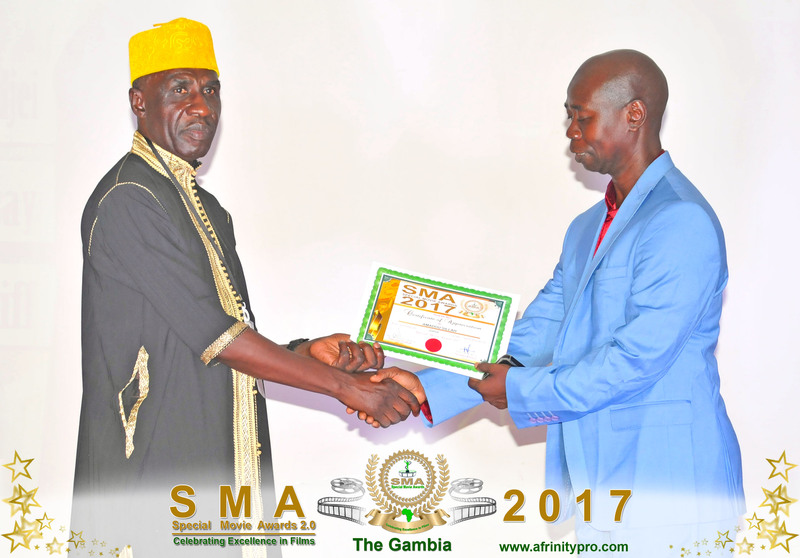 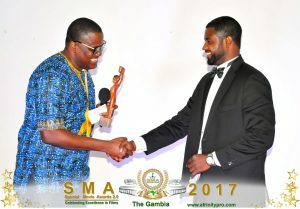 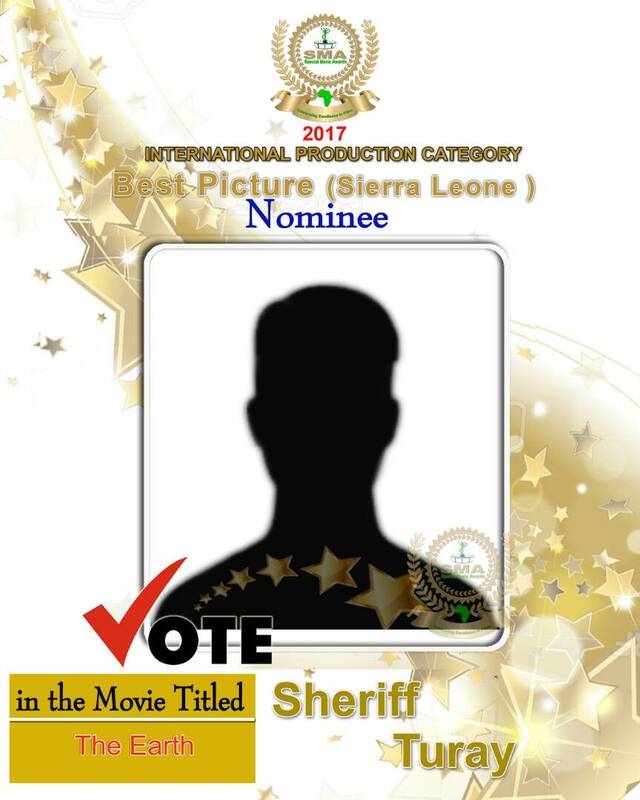 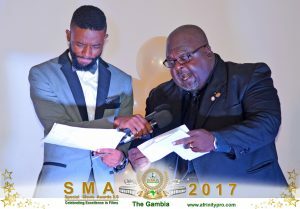 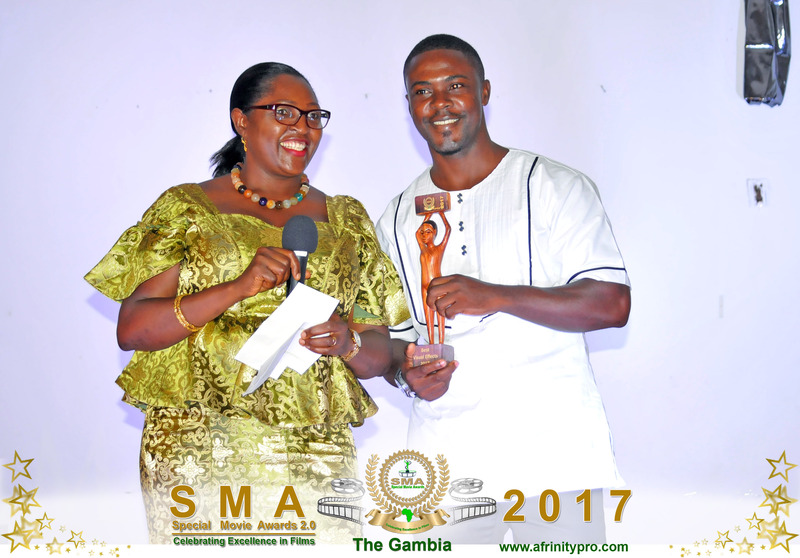 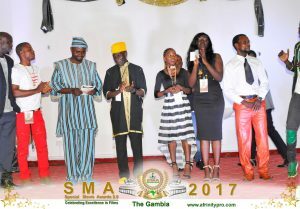 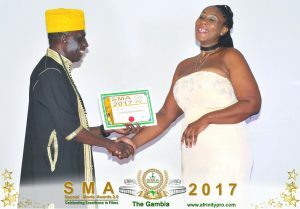 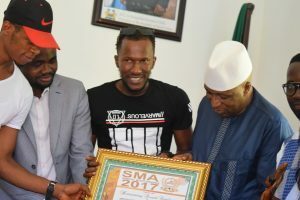 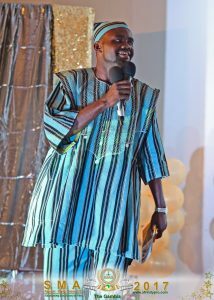 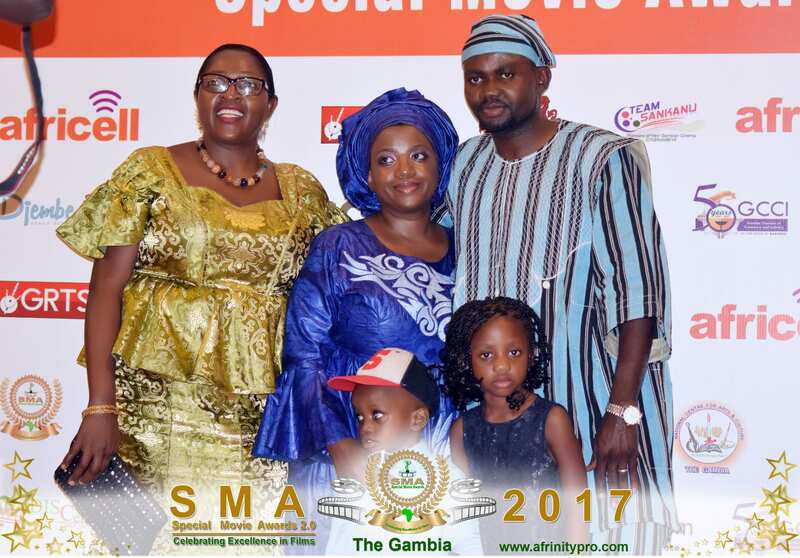 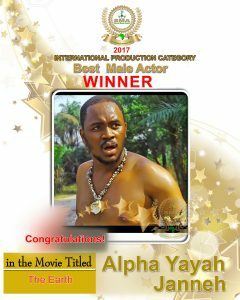 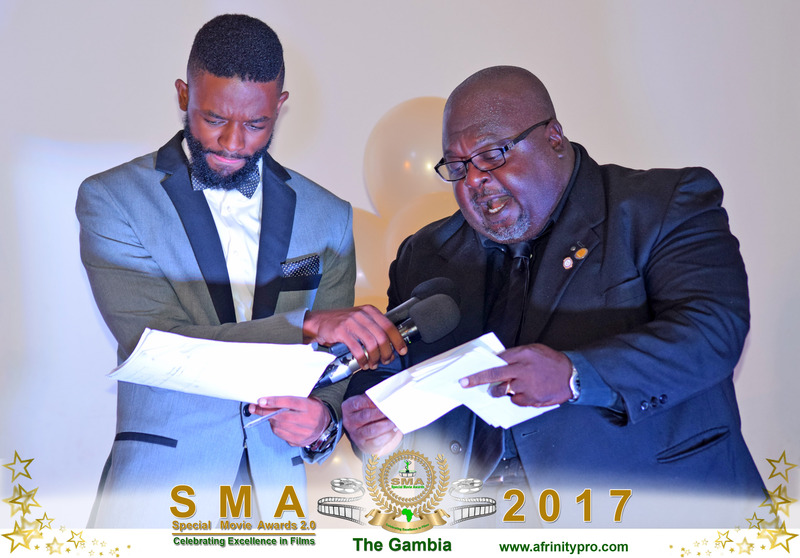 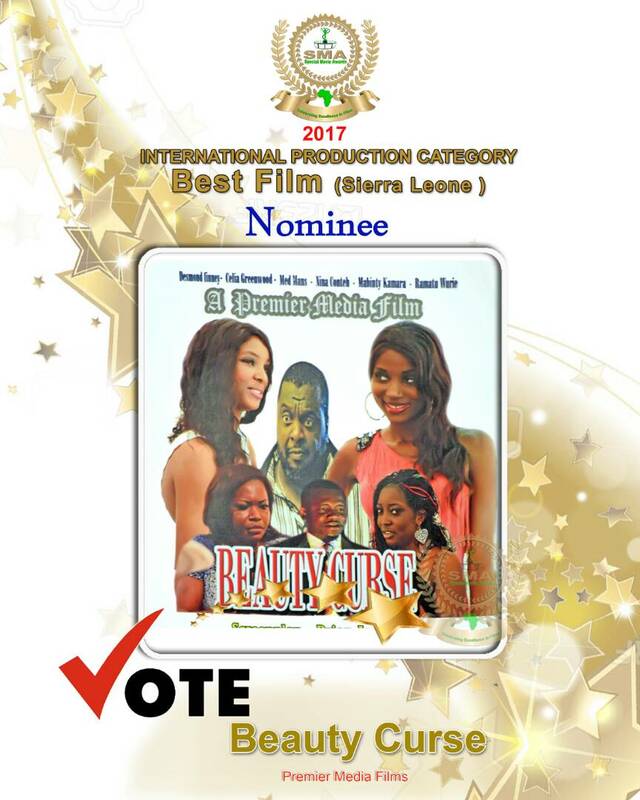 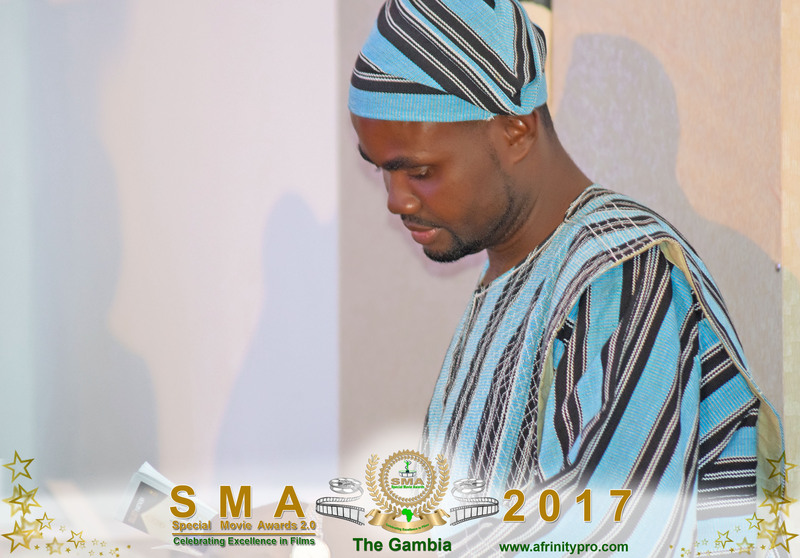 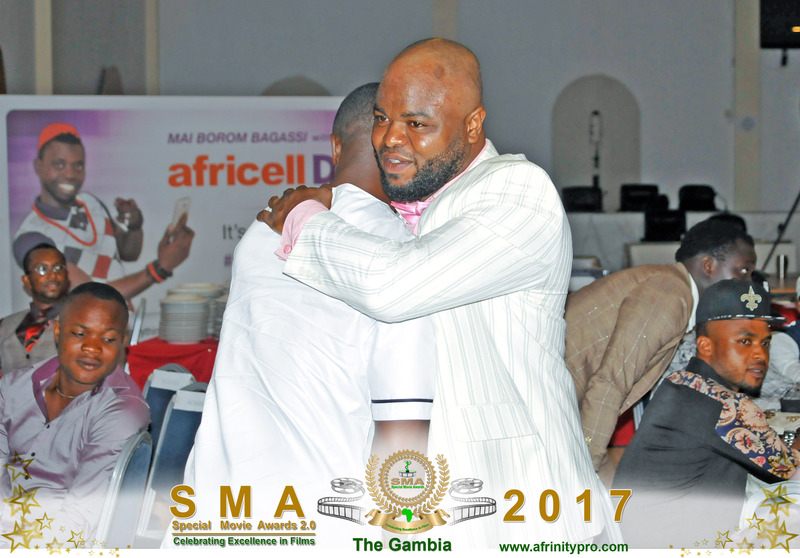 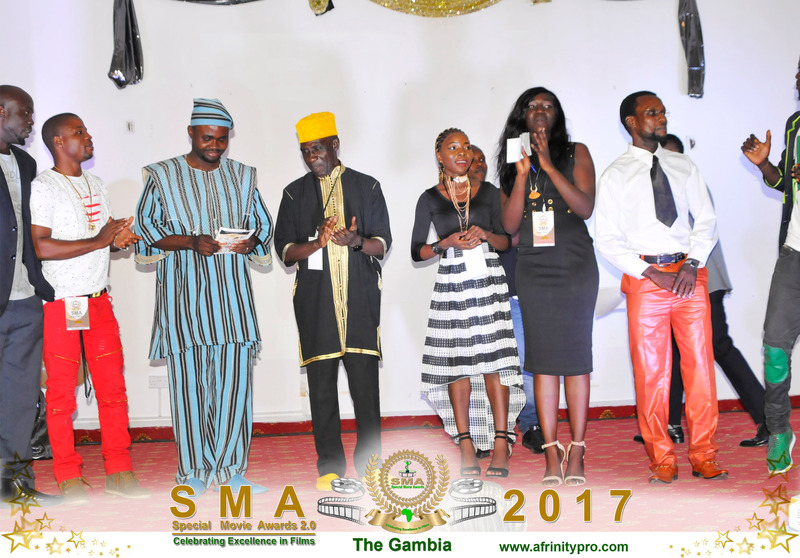 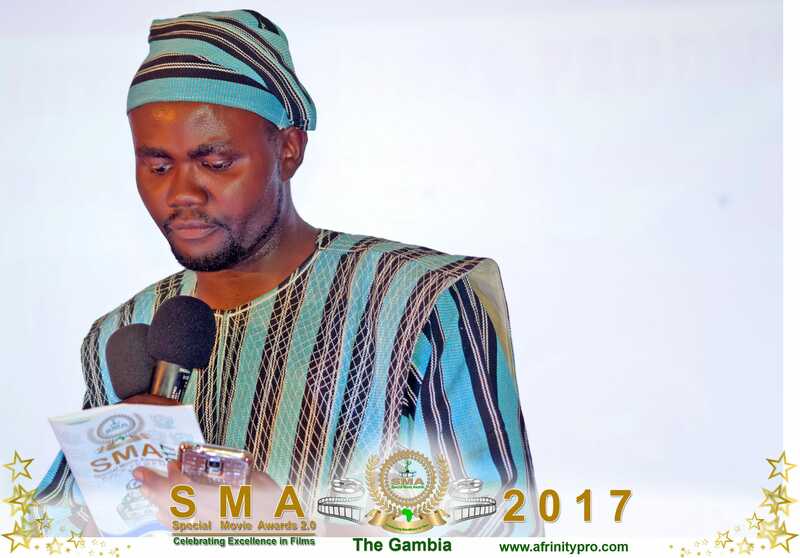 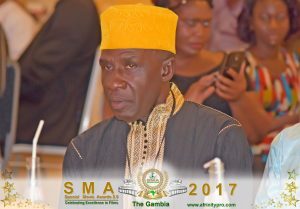 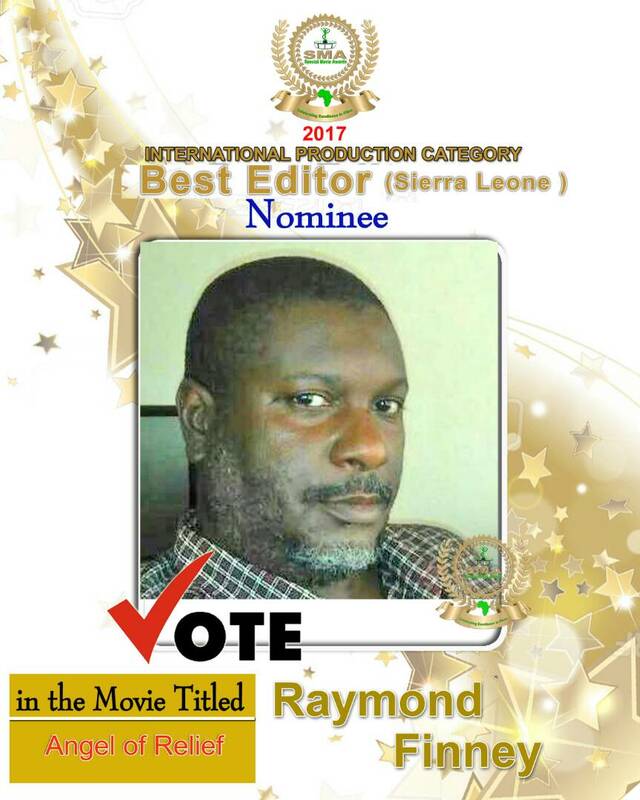 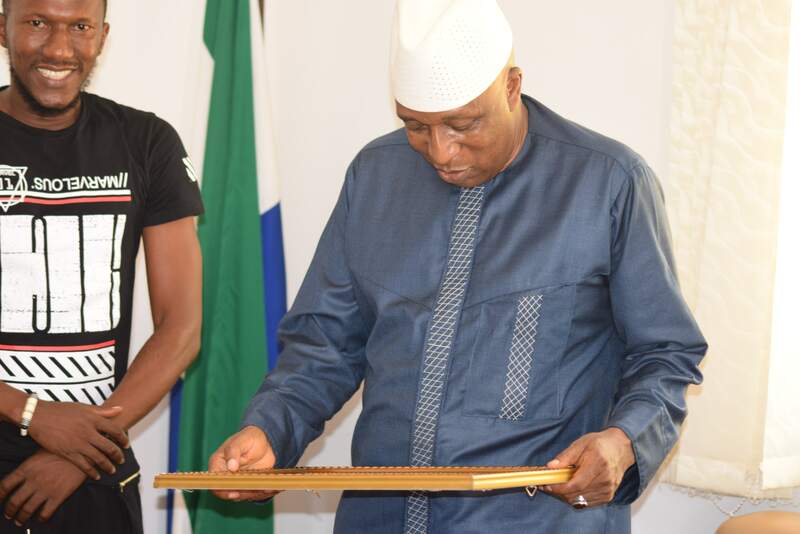 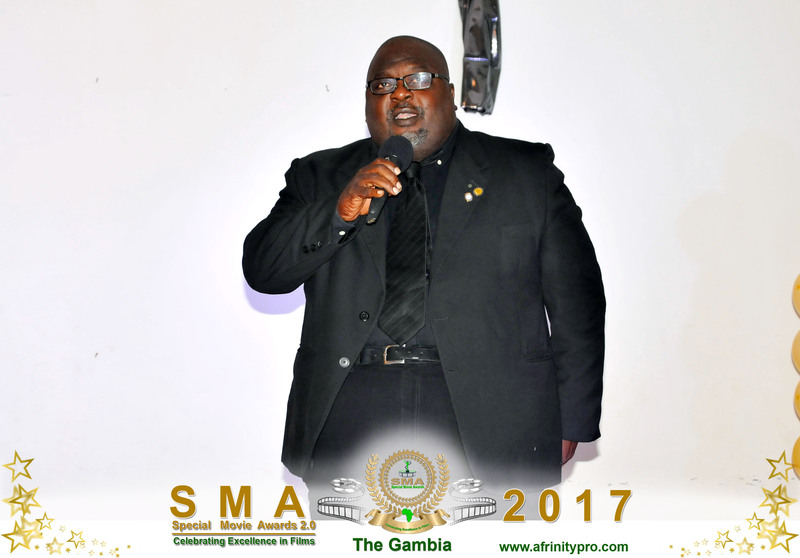 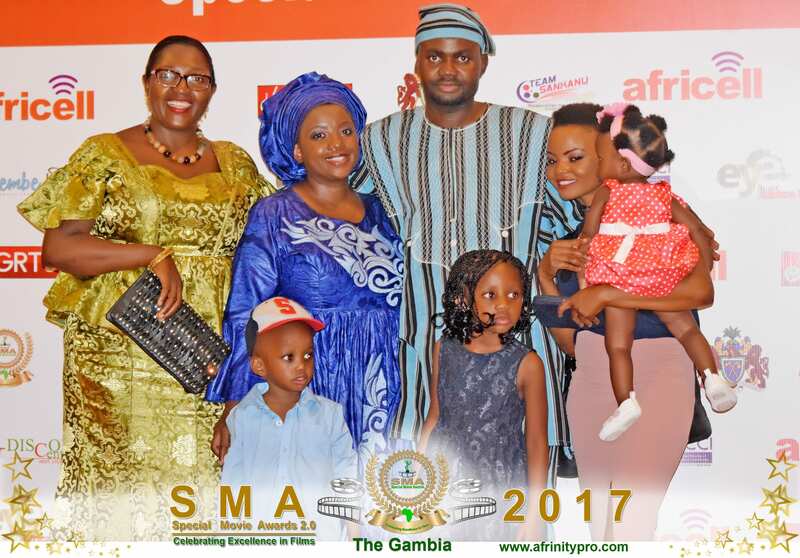 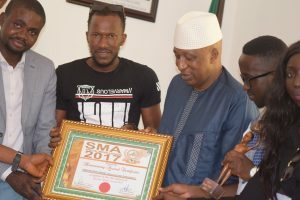 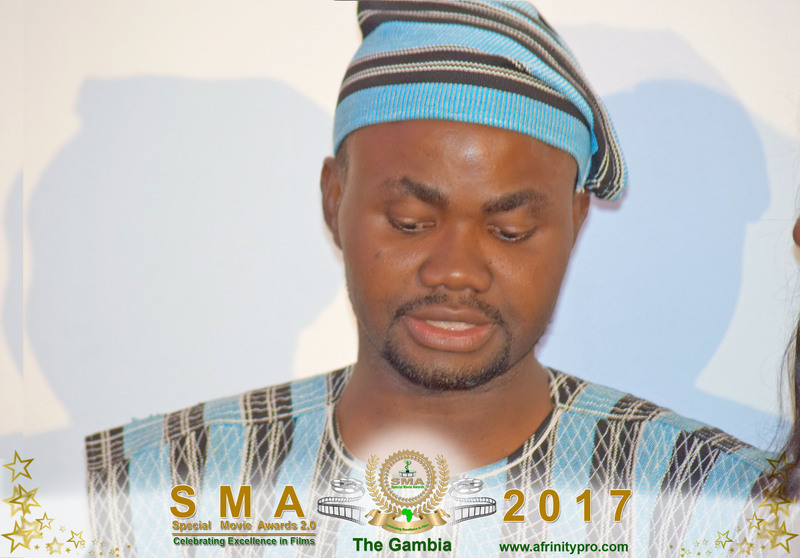 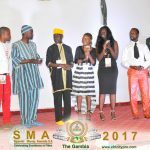 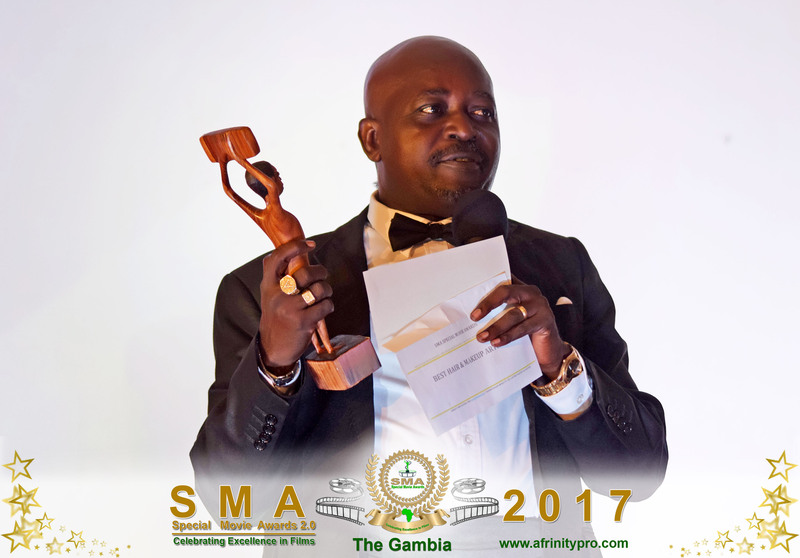 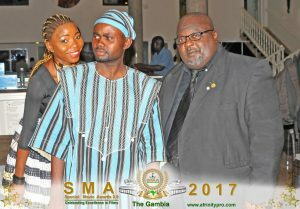 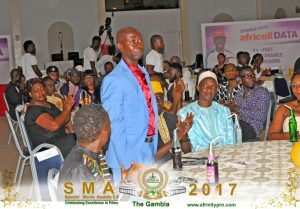 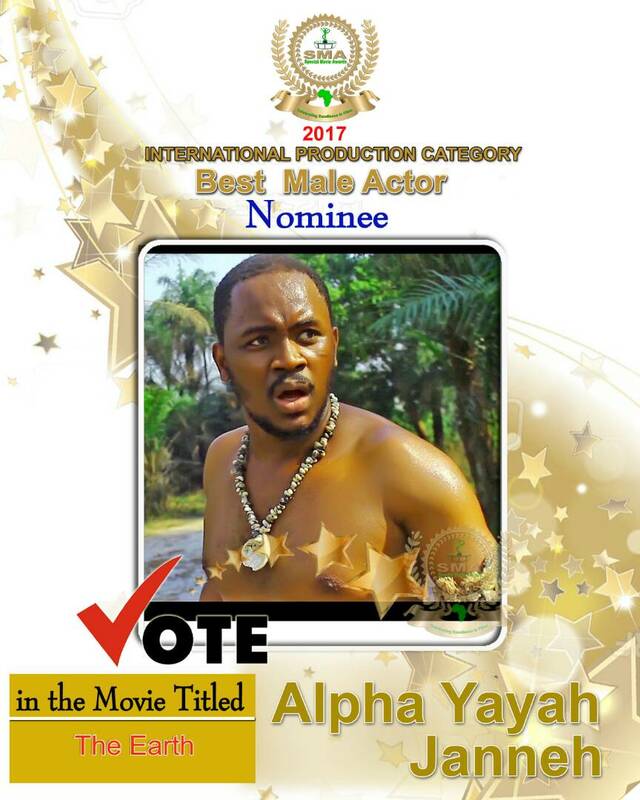 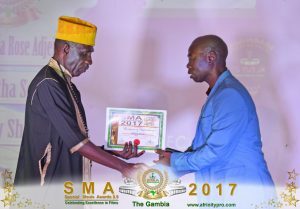 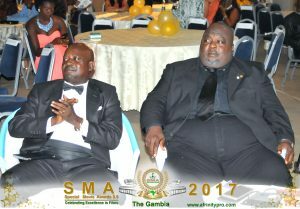 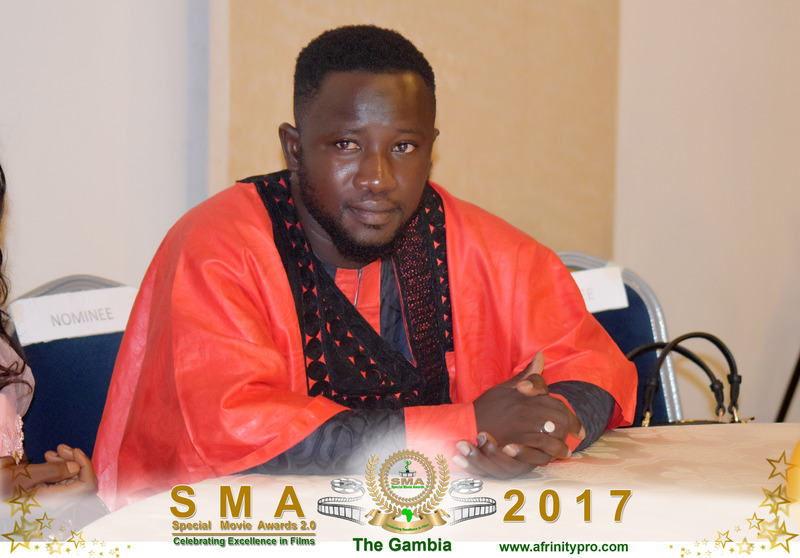 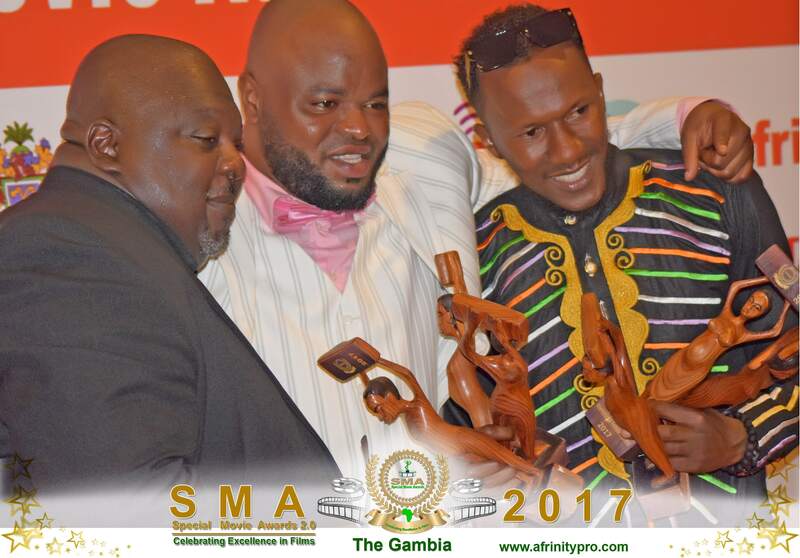 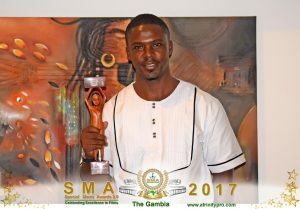 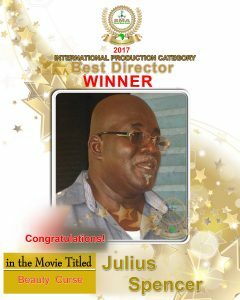 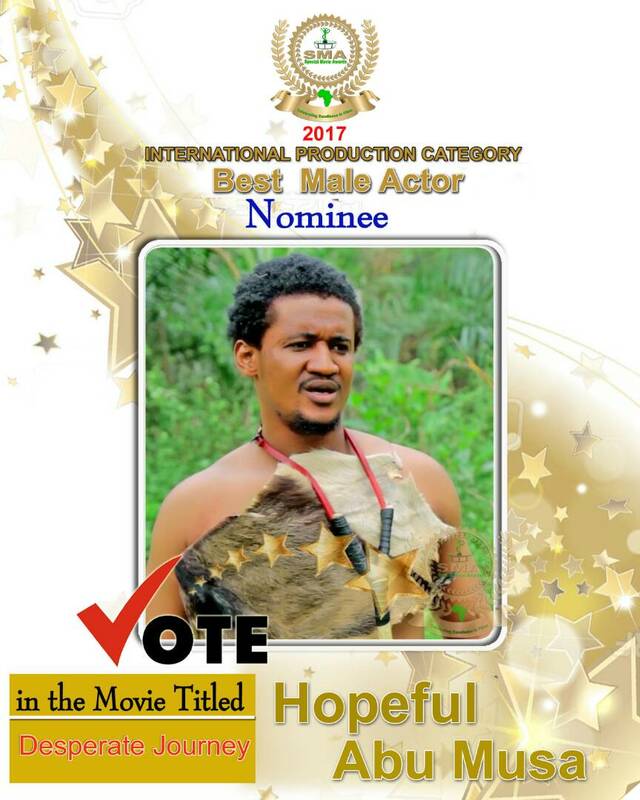 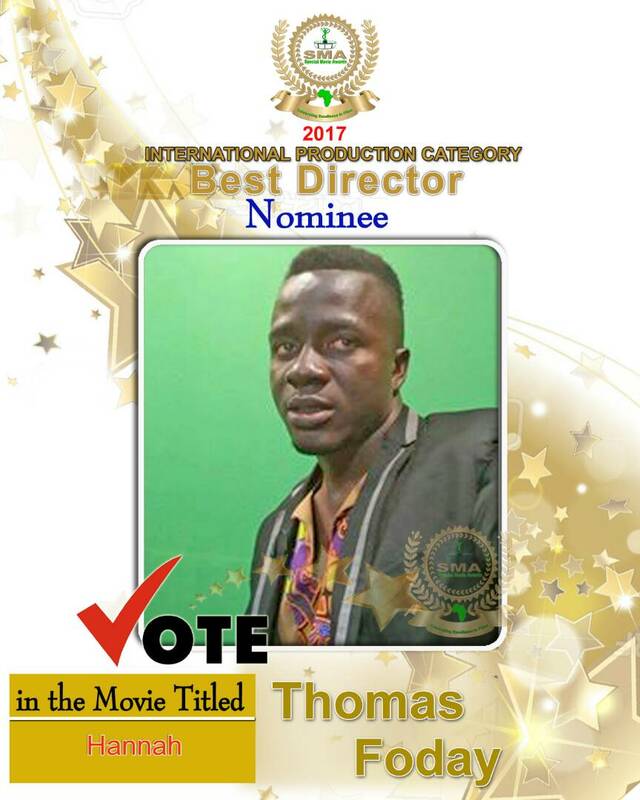 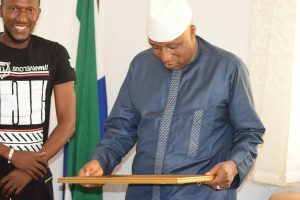 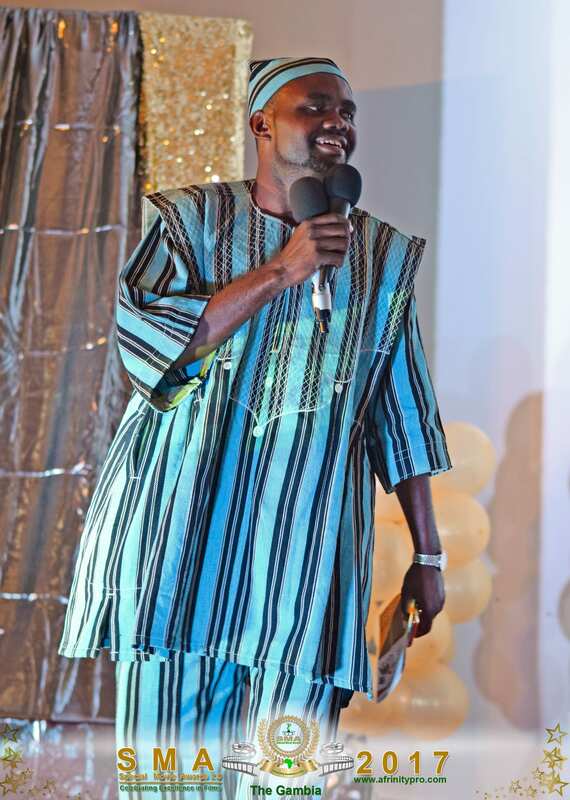 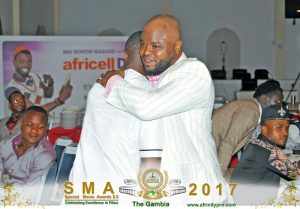 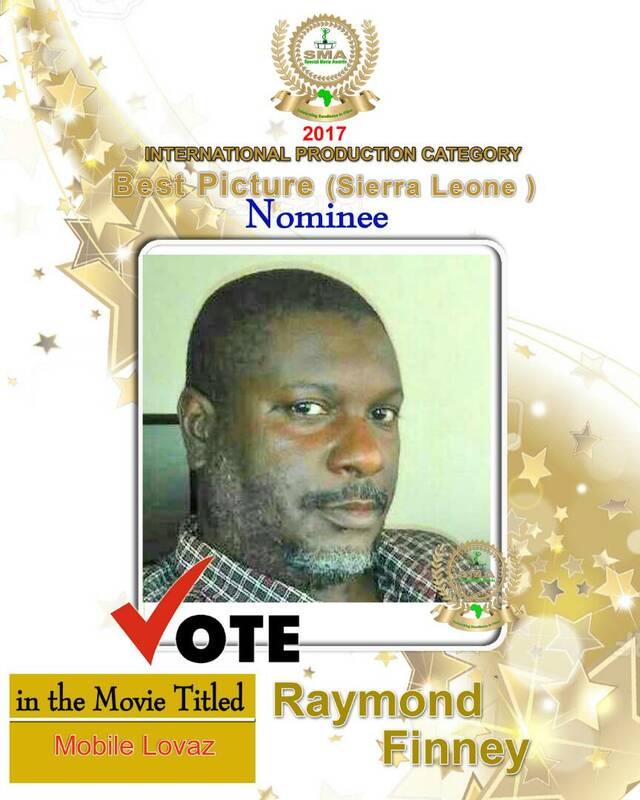 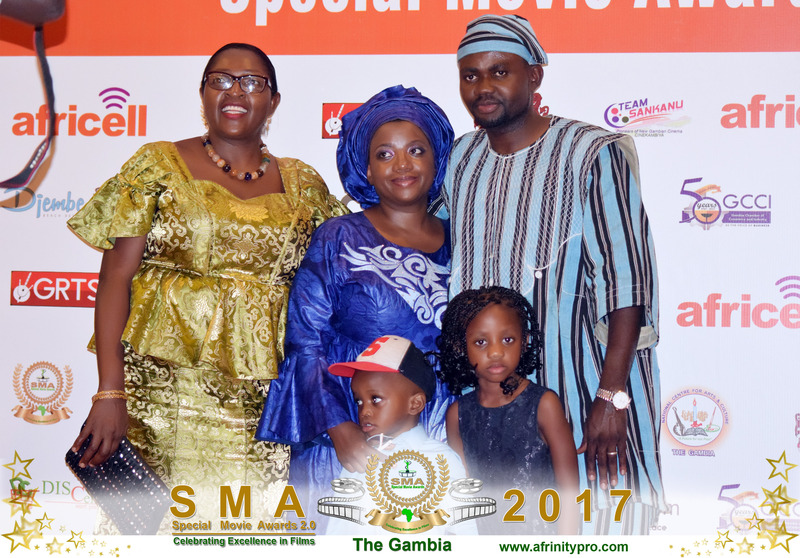 His Excellency Adama Barrow, The President of the republic of The Gambia was awarded “Pillar of SMA 2017” and Desmond B. Finney a veteran Sierra Leonean actor received a Life Time Achievement Award. 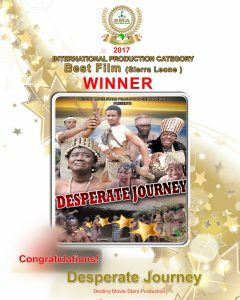 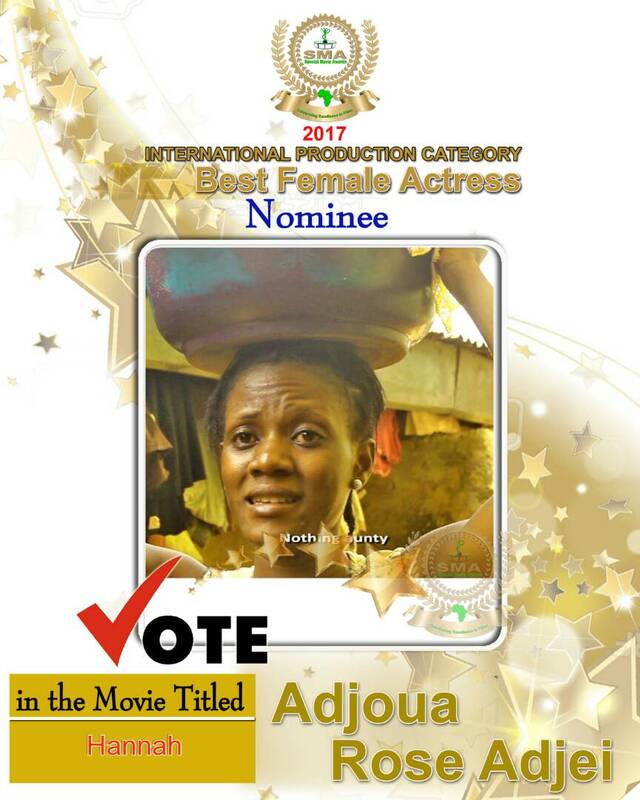 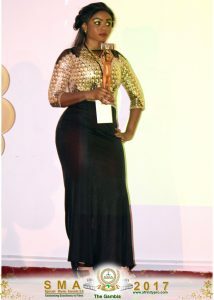 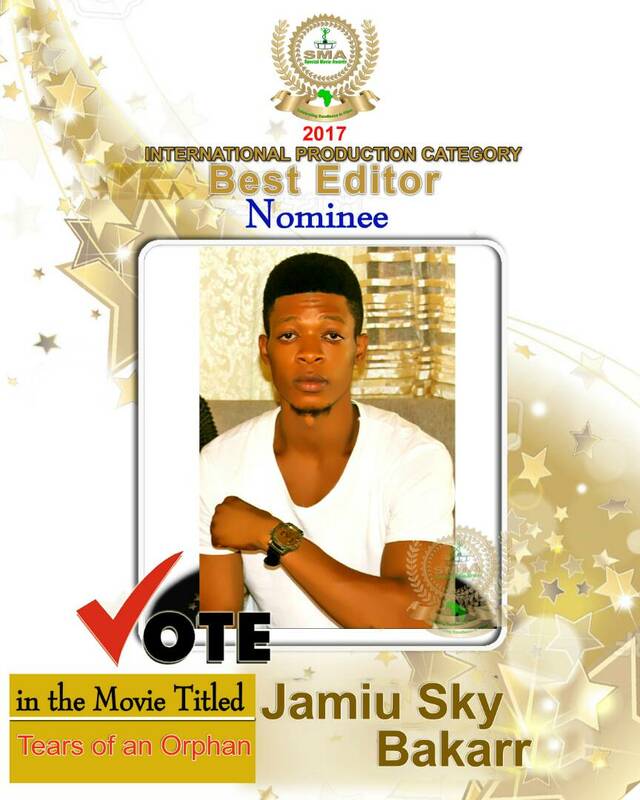 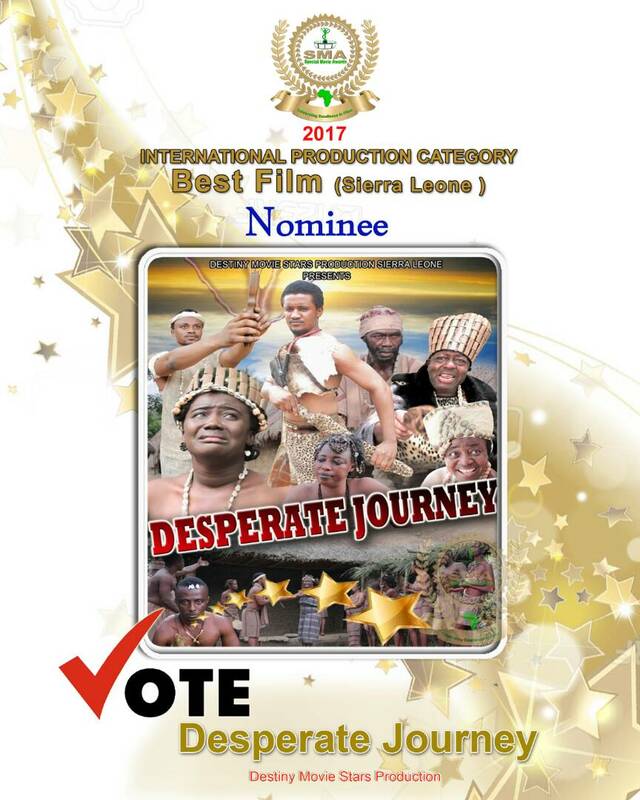 6 Awards were also won for the international category out of 18 nominees.